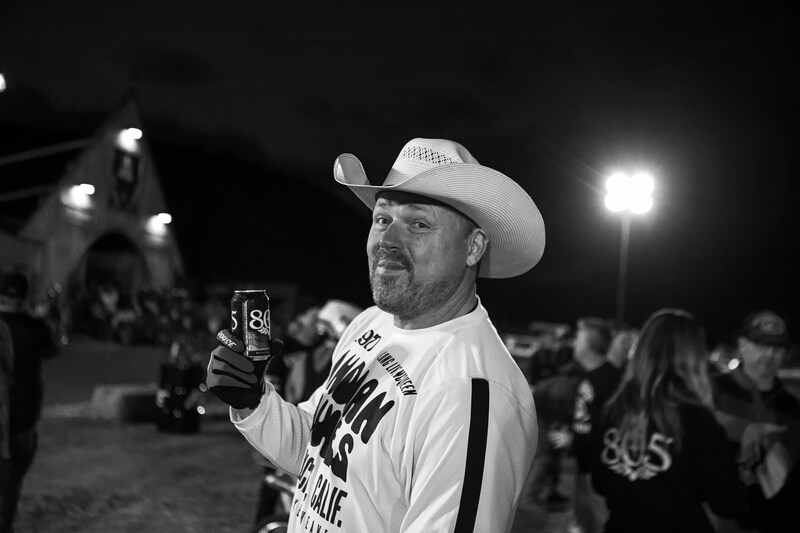 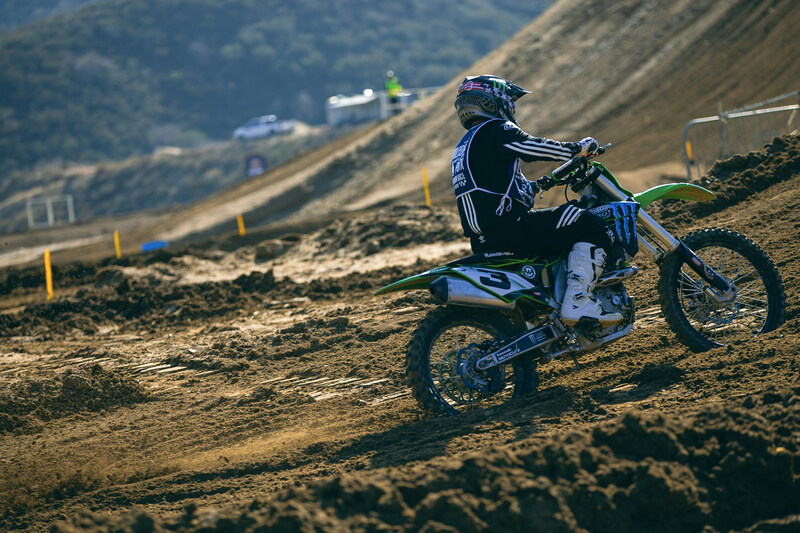 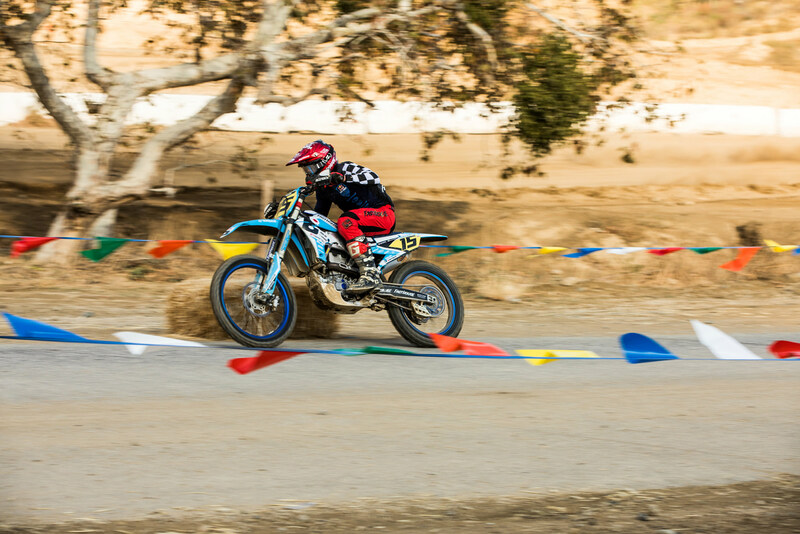 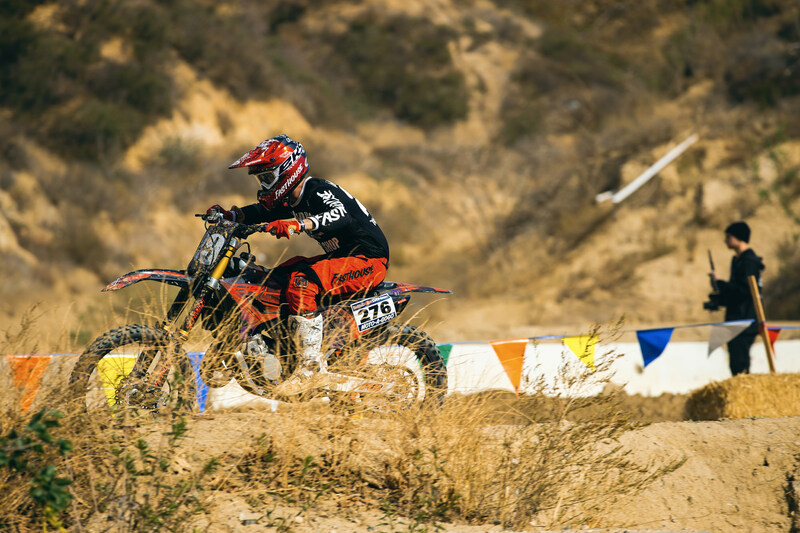 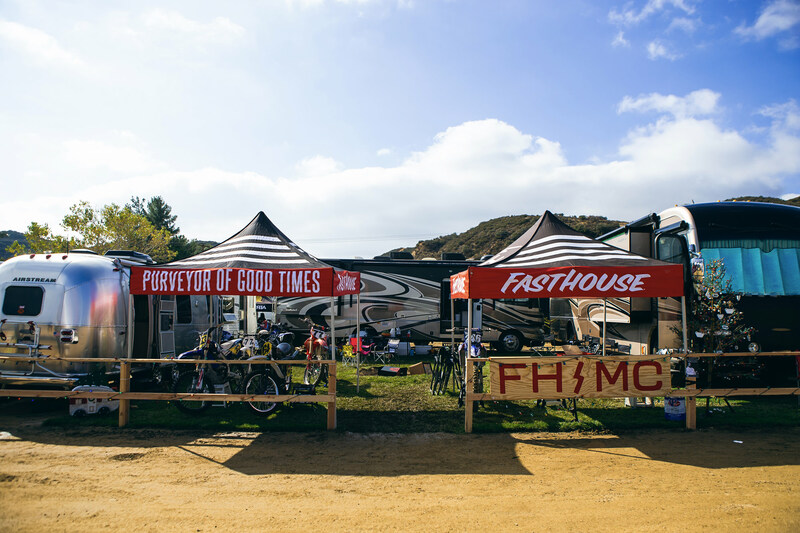 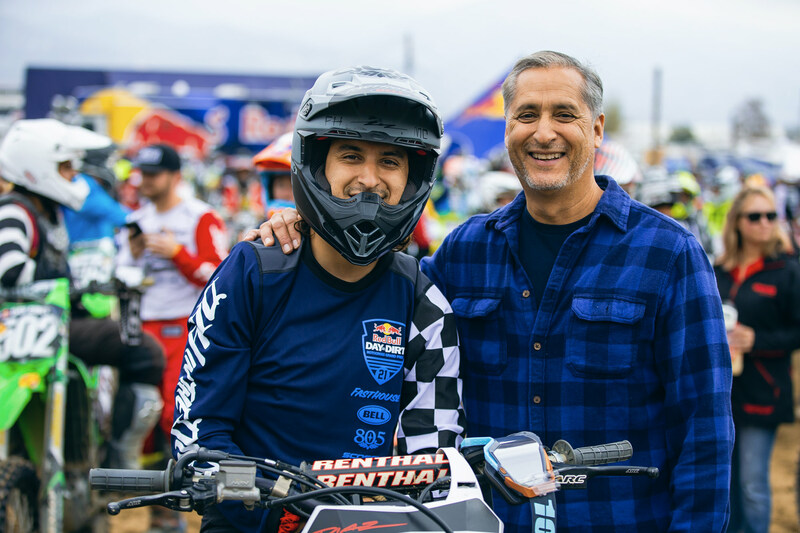 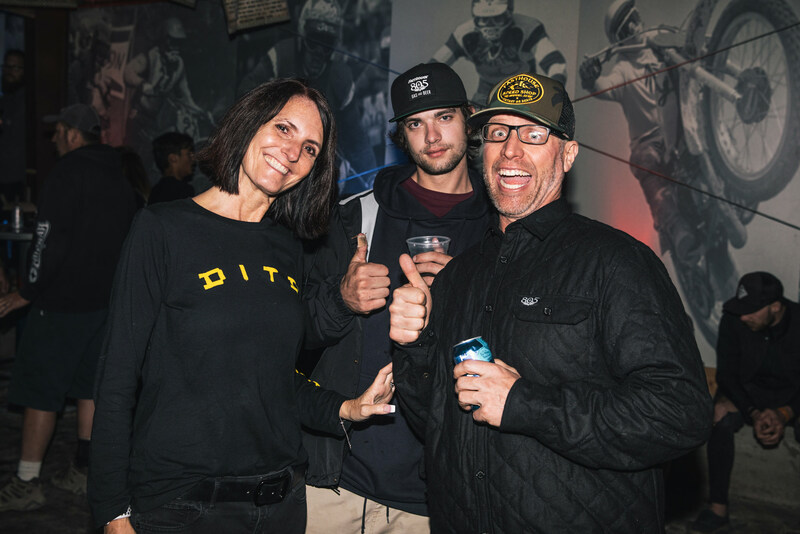 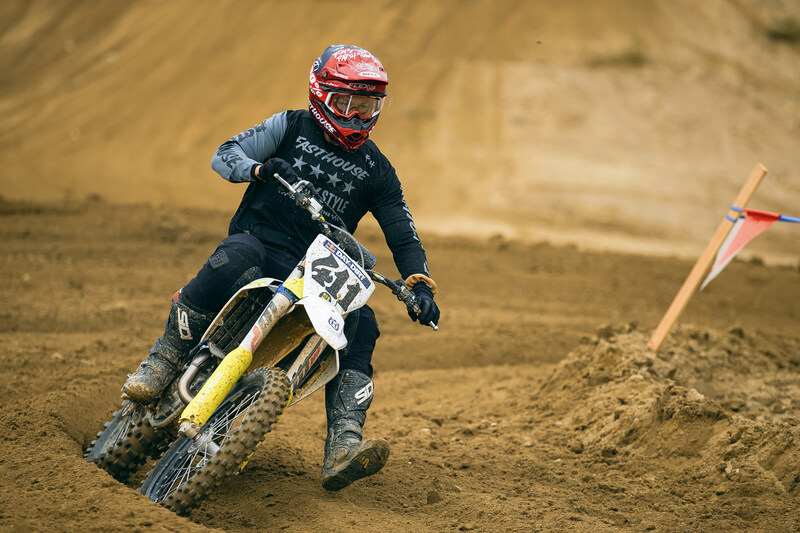 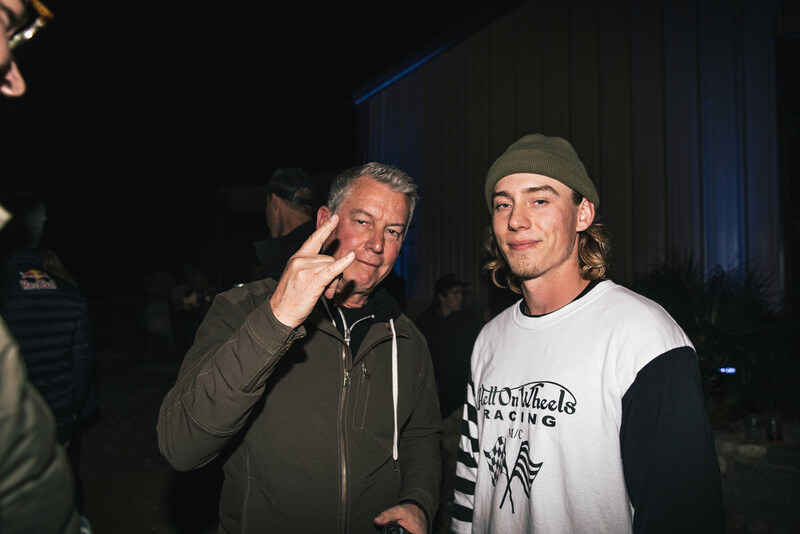 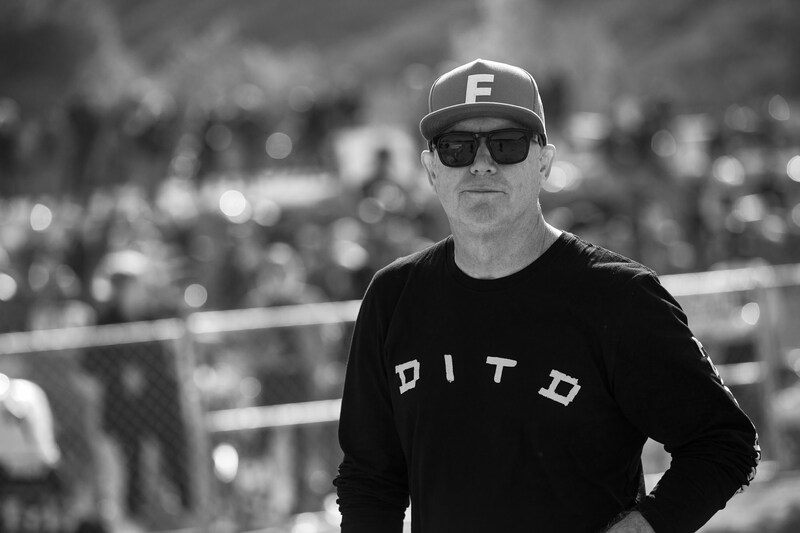 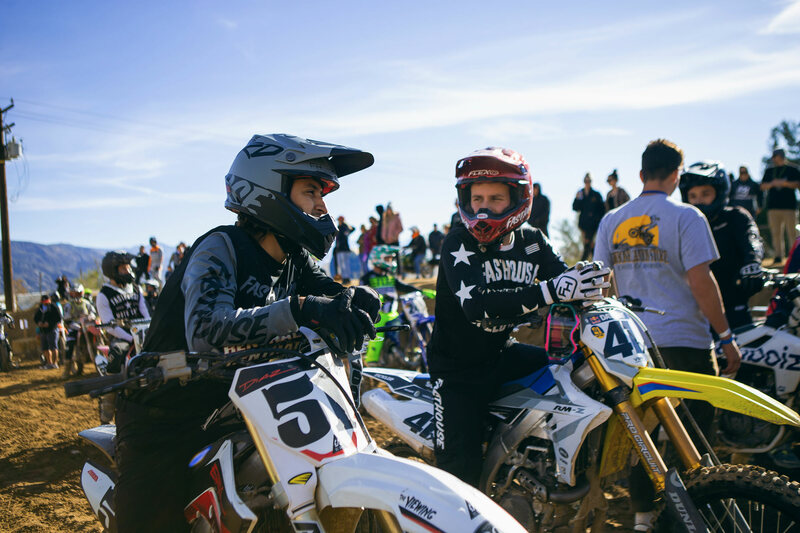 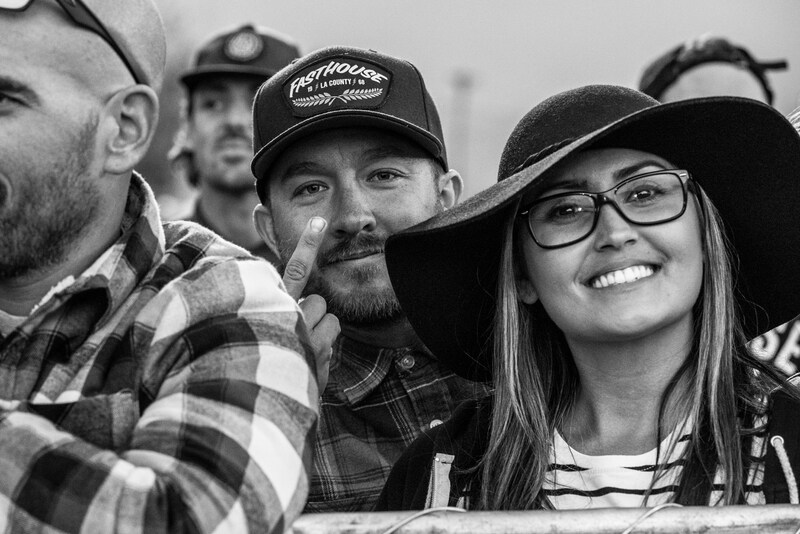 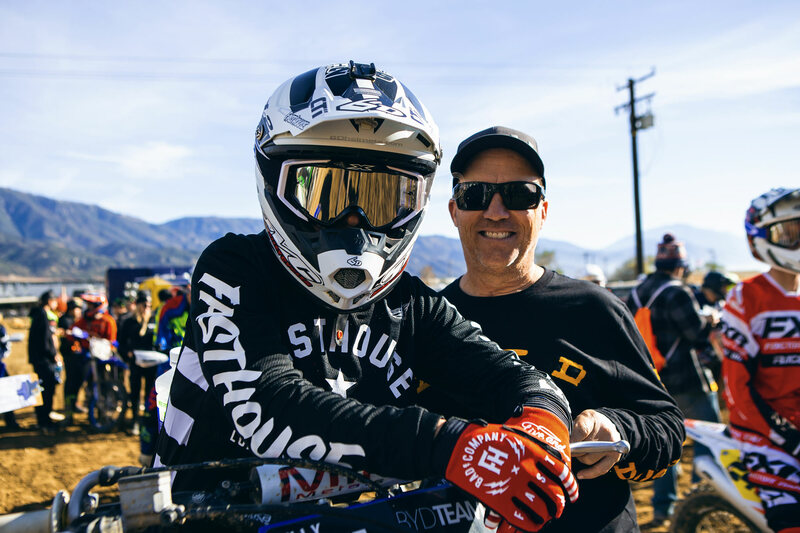 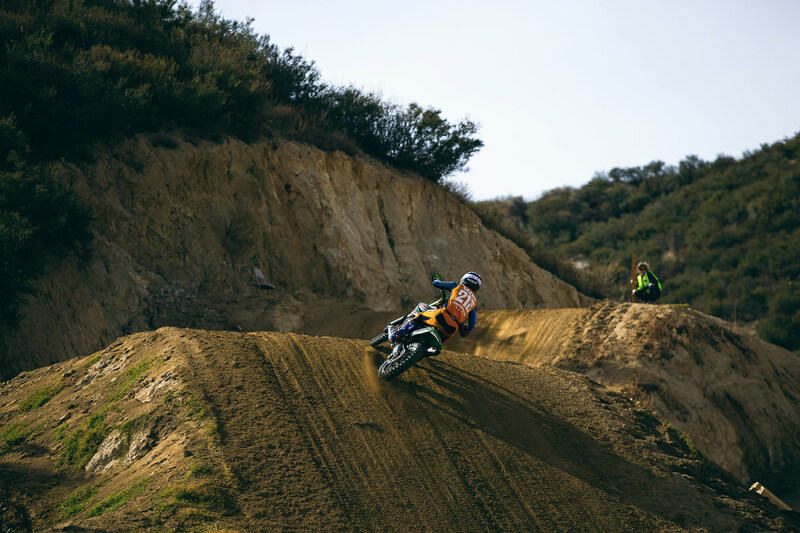 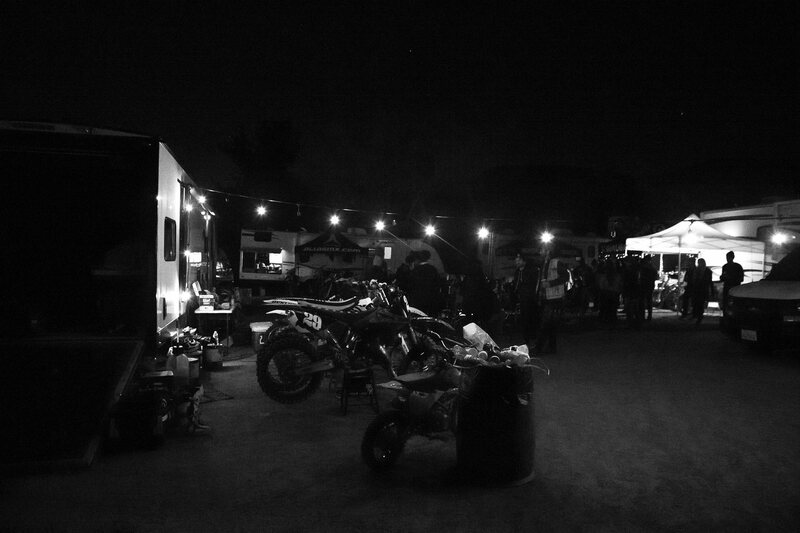 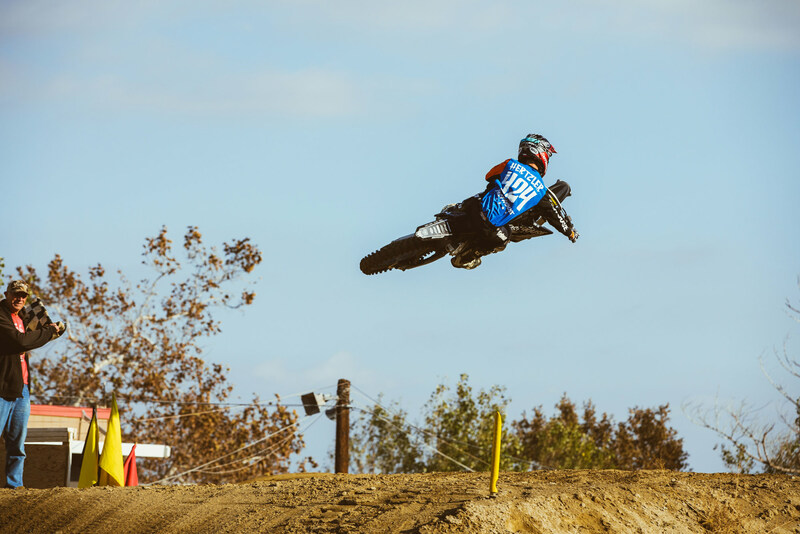 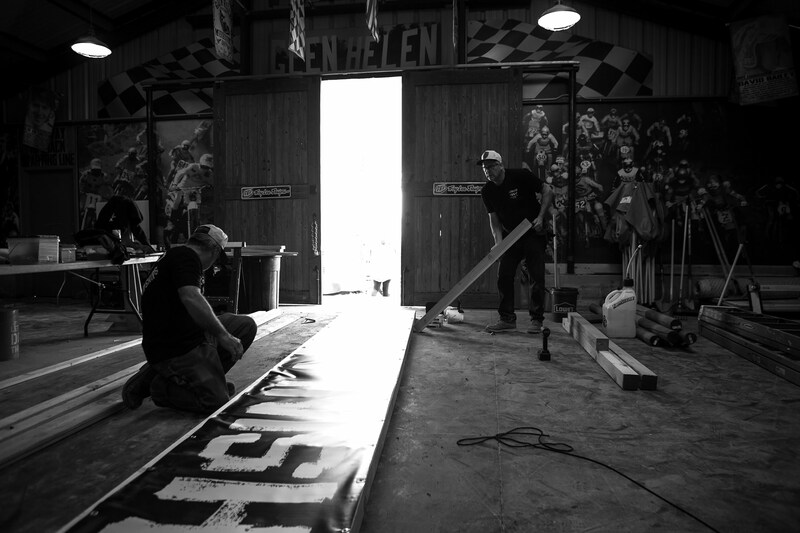 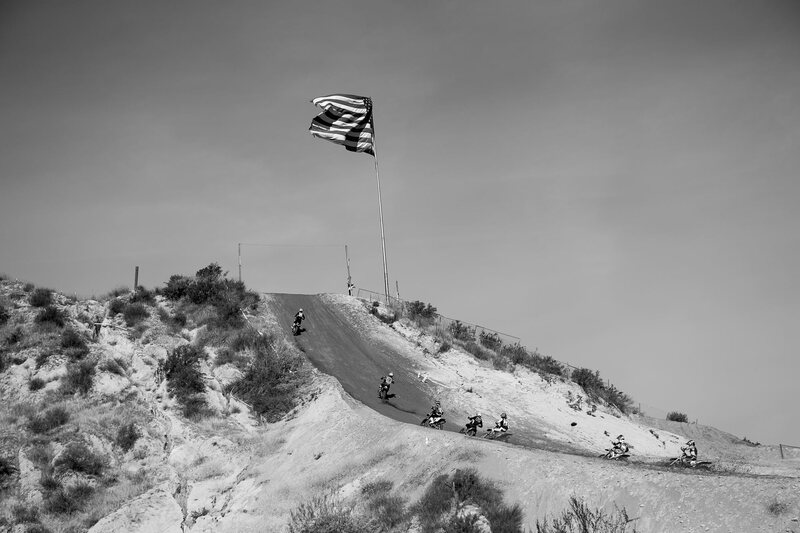 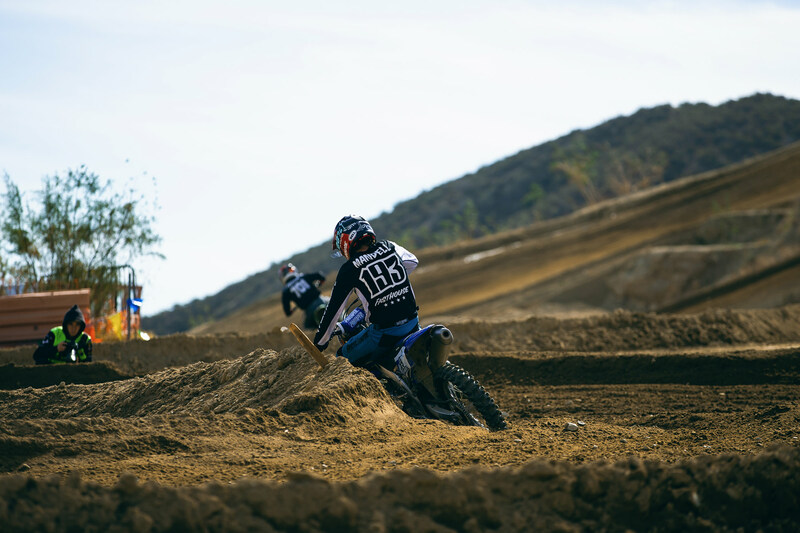 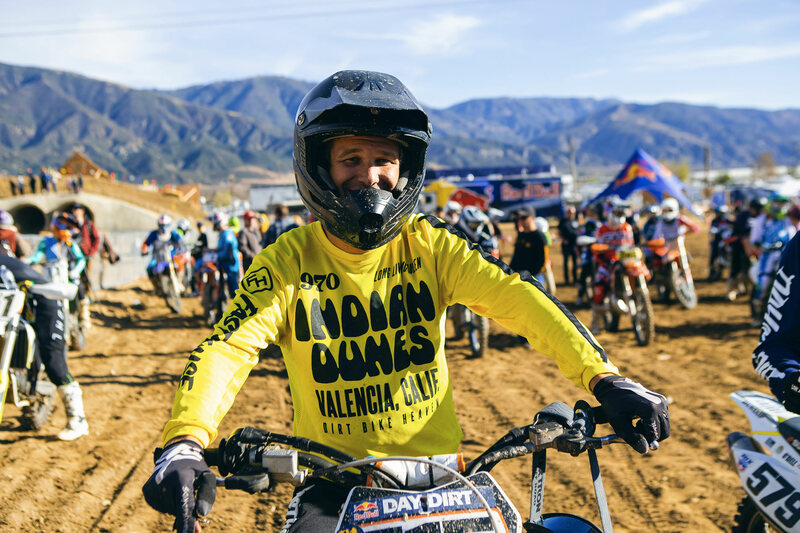 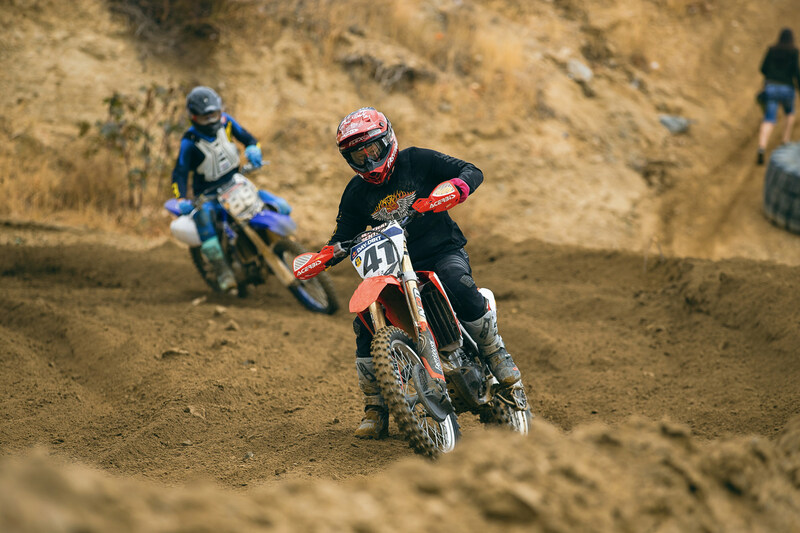 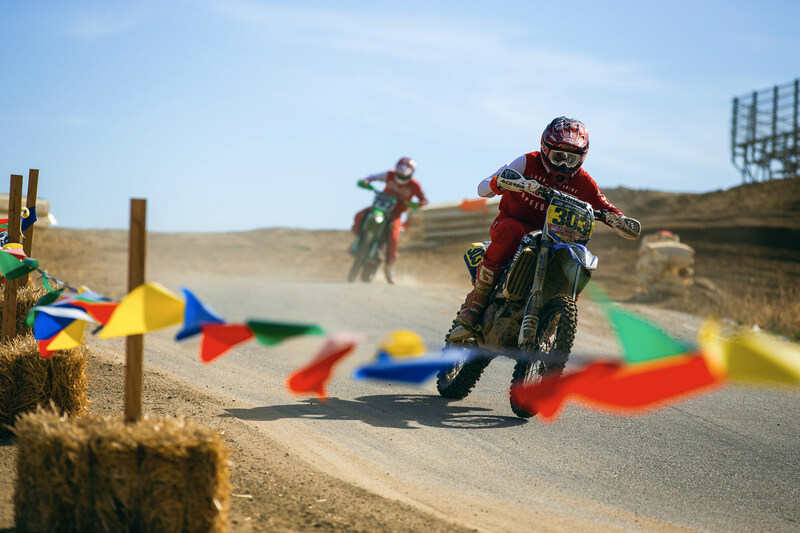 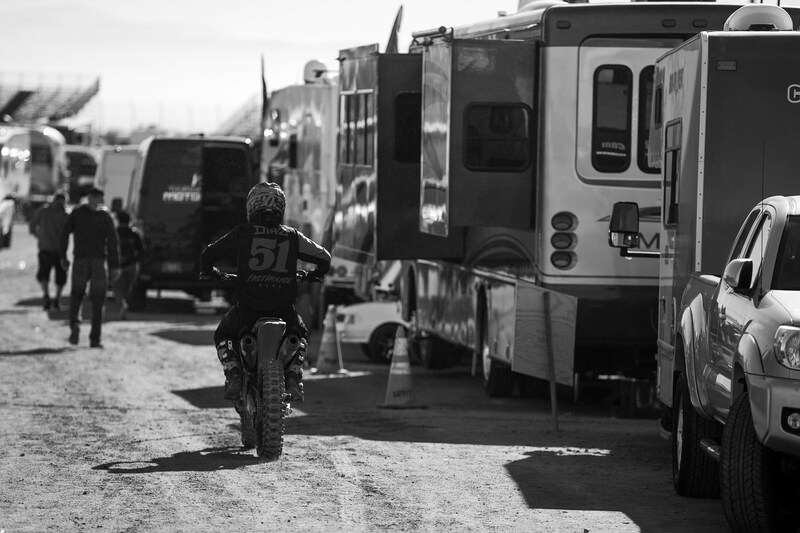 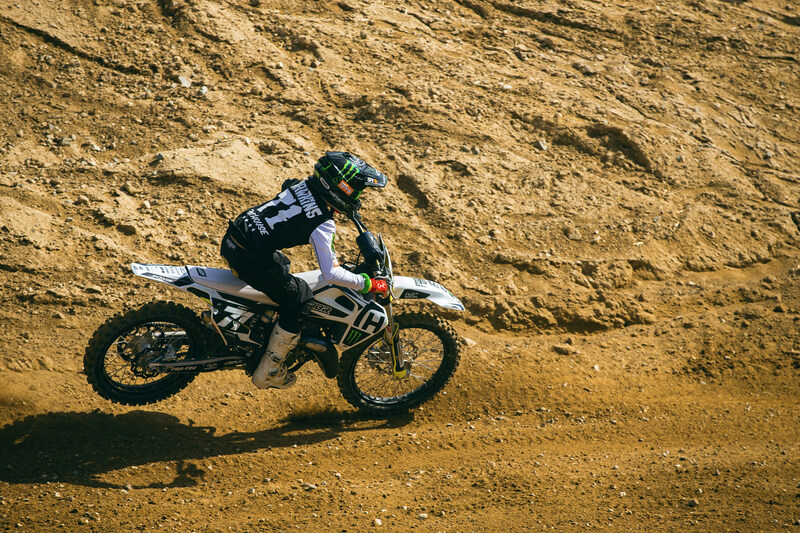 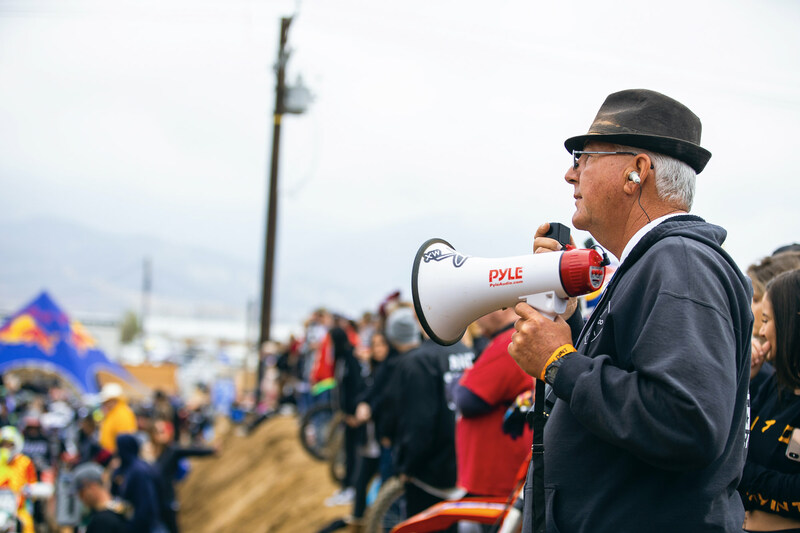 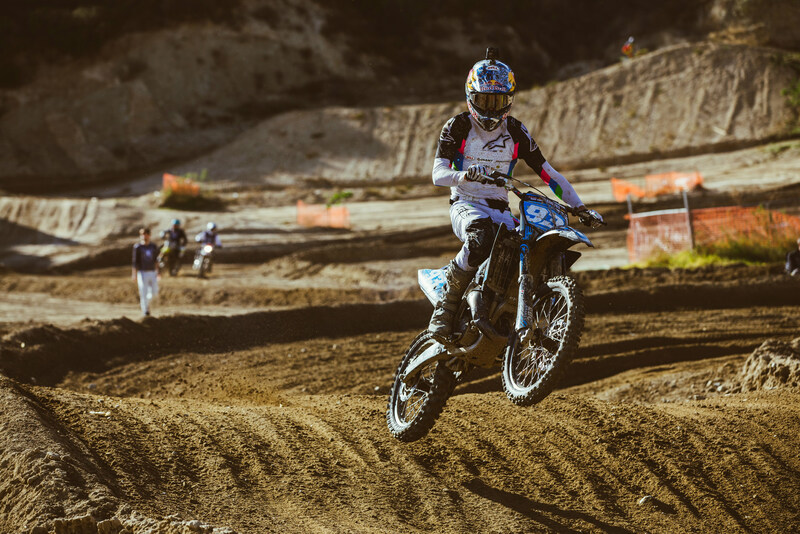 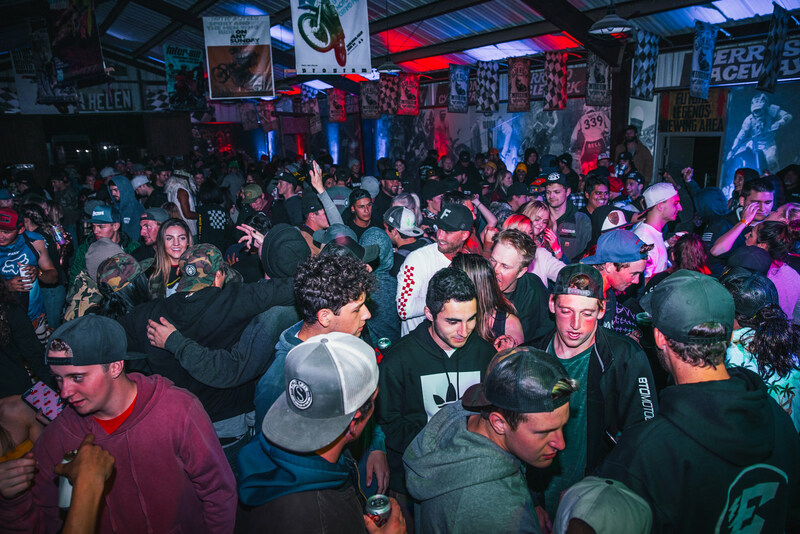 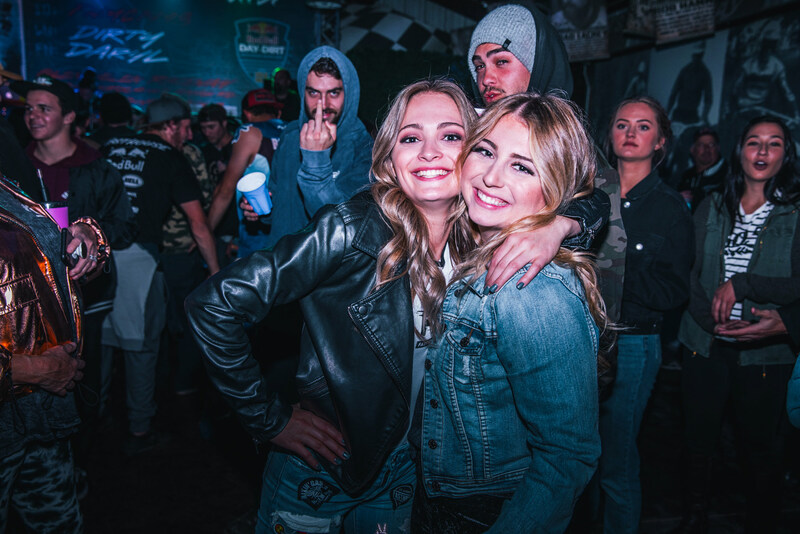 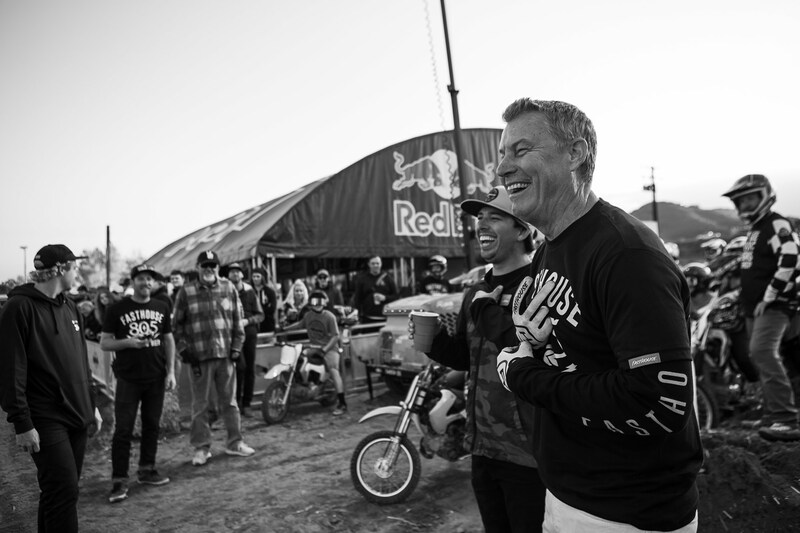 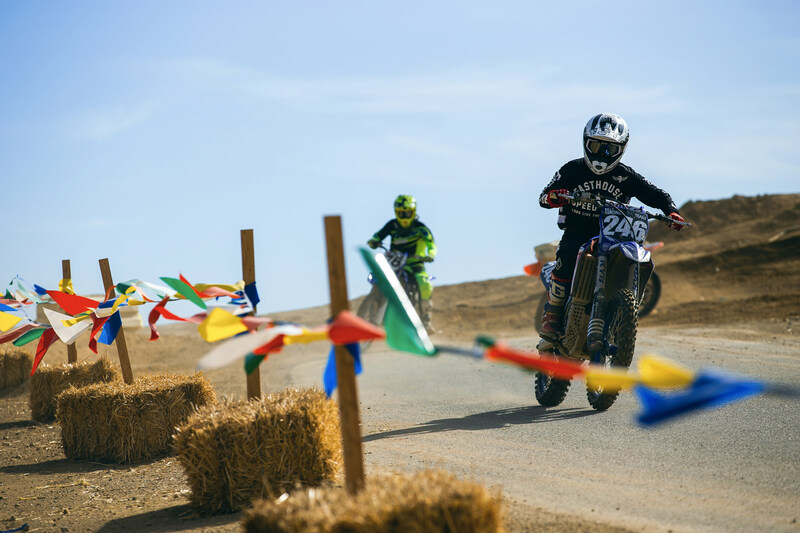 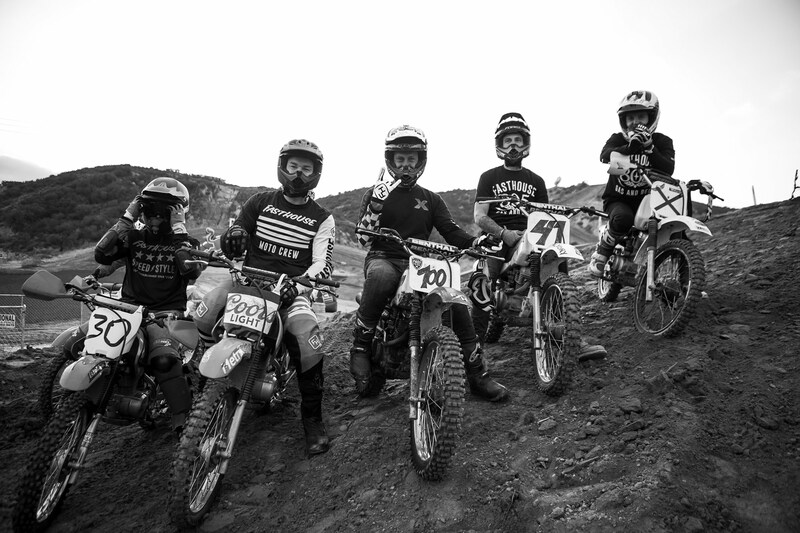 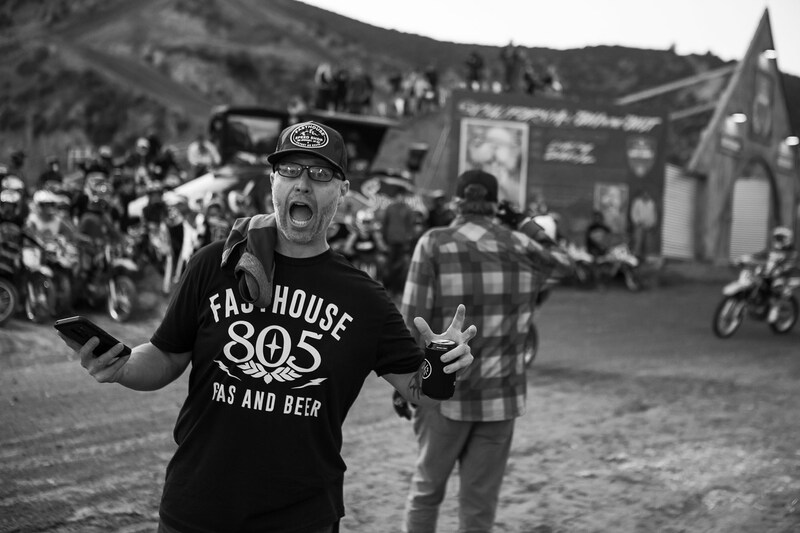 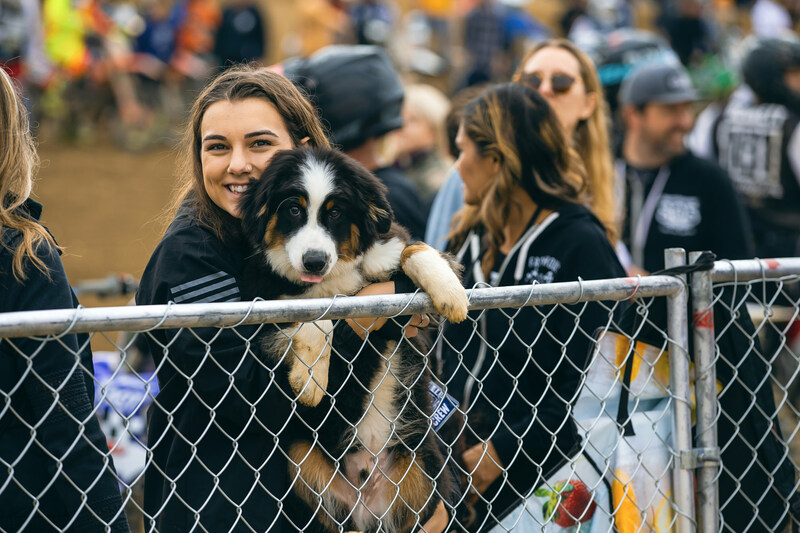 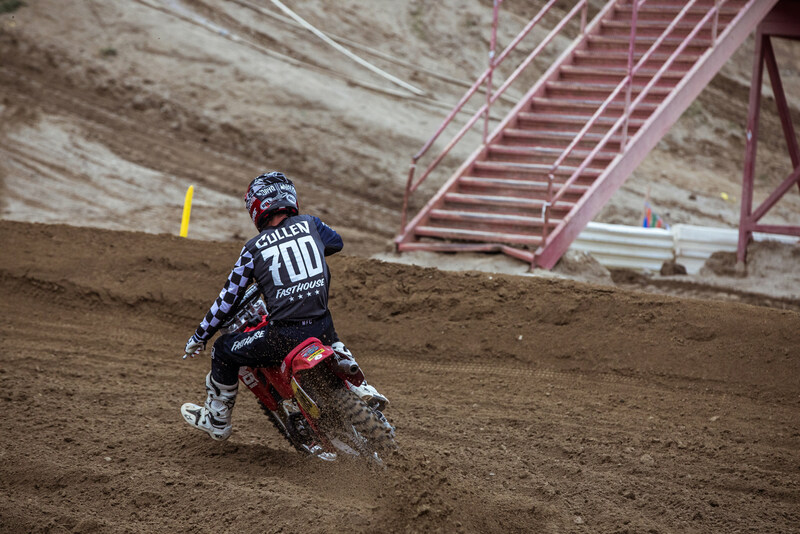 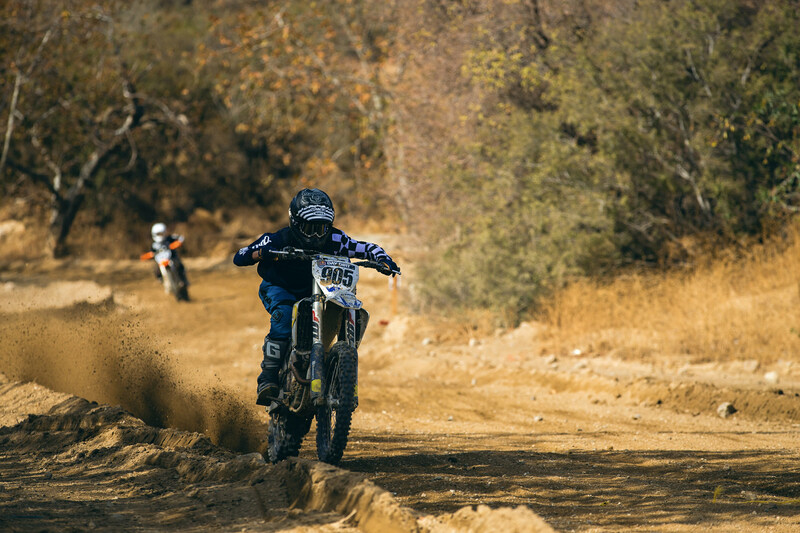 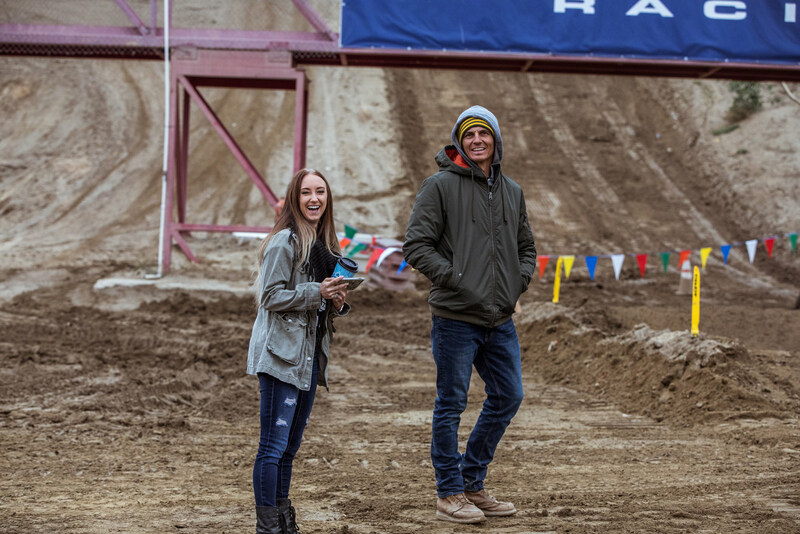 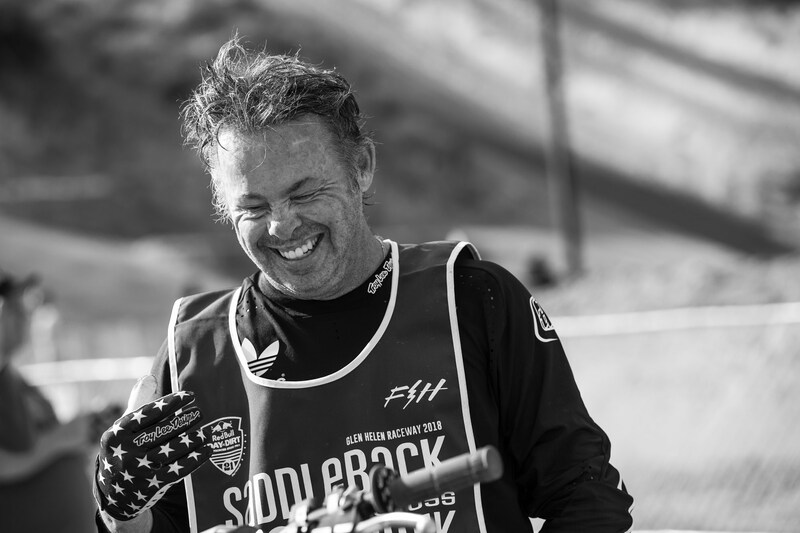 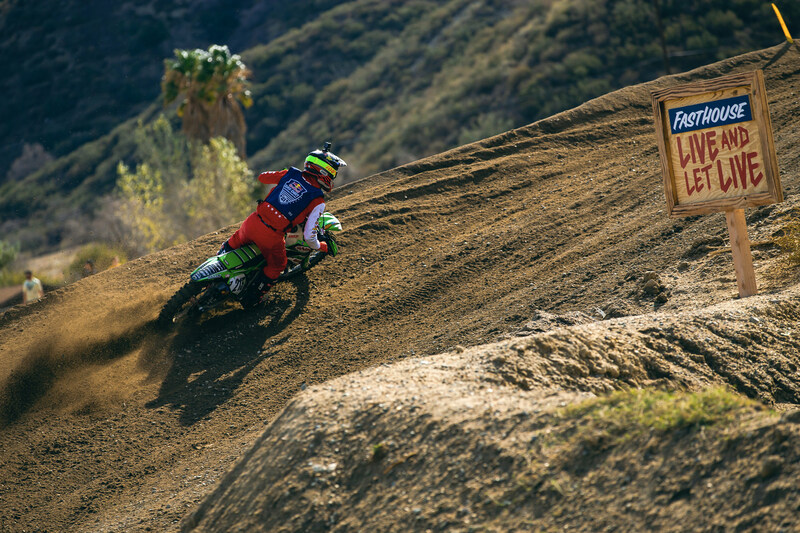 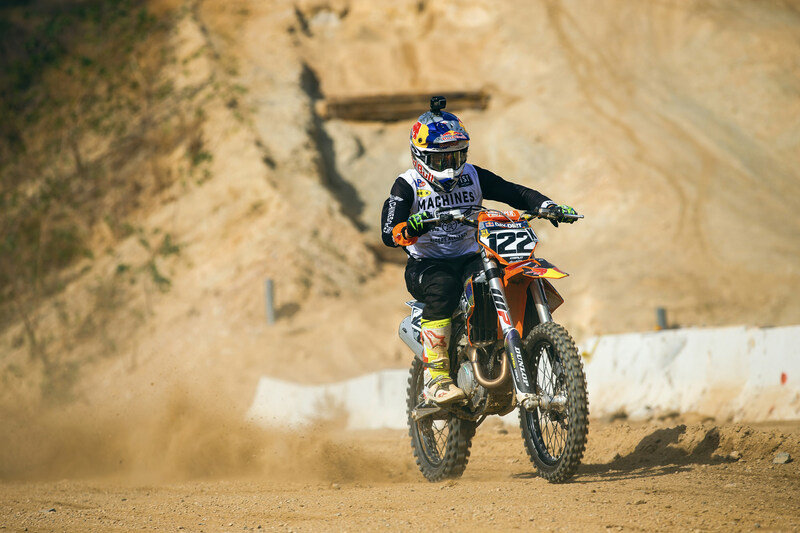 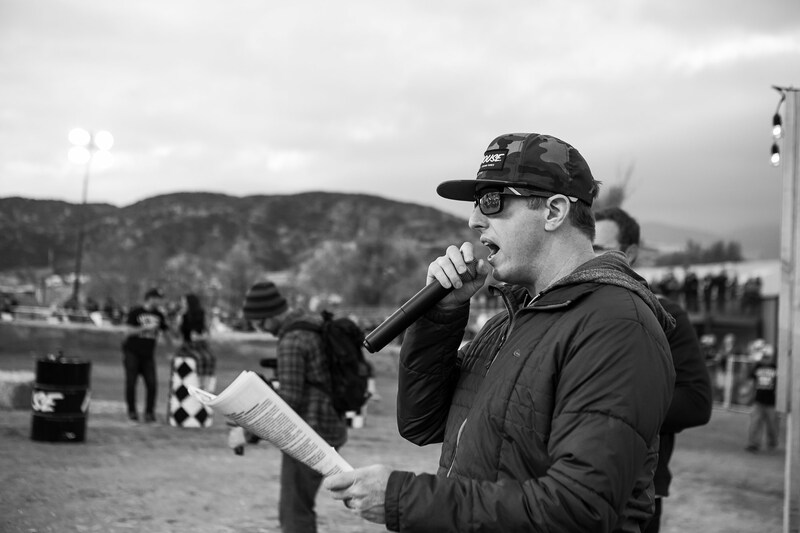 While the weekend does begin on Wednesday for some campers and their families, the on-track action doesn't technically start until Friday morning when the bikes take to the track for Happy Hour Practice and the always entertaining SoCal Reunion race. 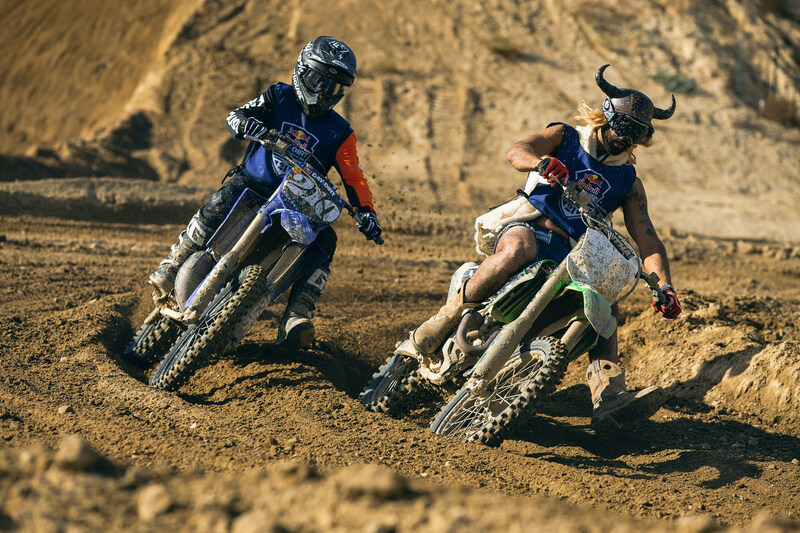 It's a day for everyone to get aquainted with the track layout, shake out the cobwebs from Thanksgiving dinner, and have some fun with friends. 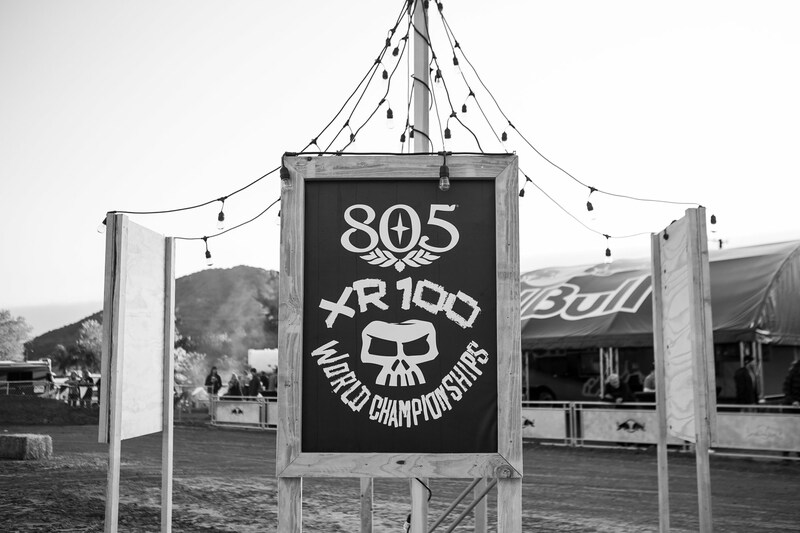 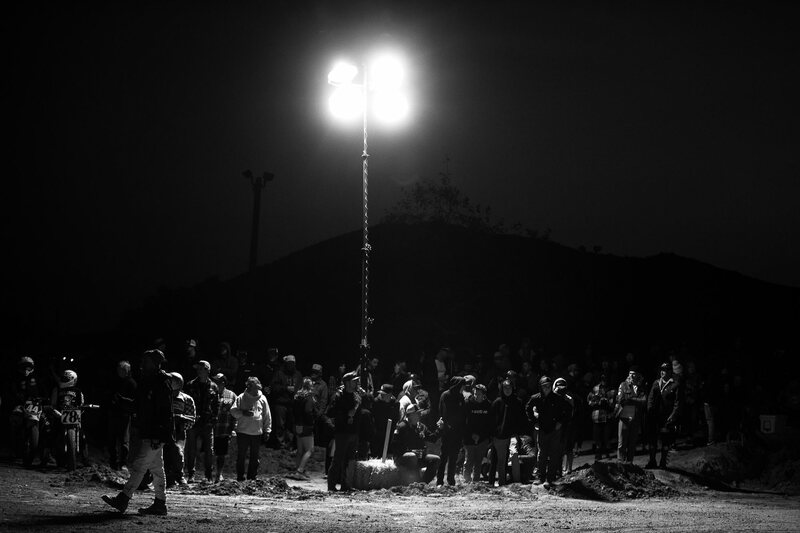 805 Beer XR100 "World Championships"
Each night is jam-packed with entertainment and on Friday night, 805 Beer played host to the inagural XR100 World Championships, a flat track race held right in the middle of the pits. 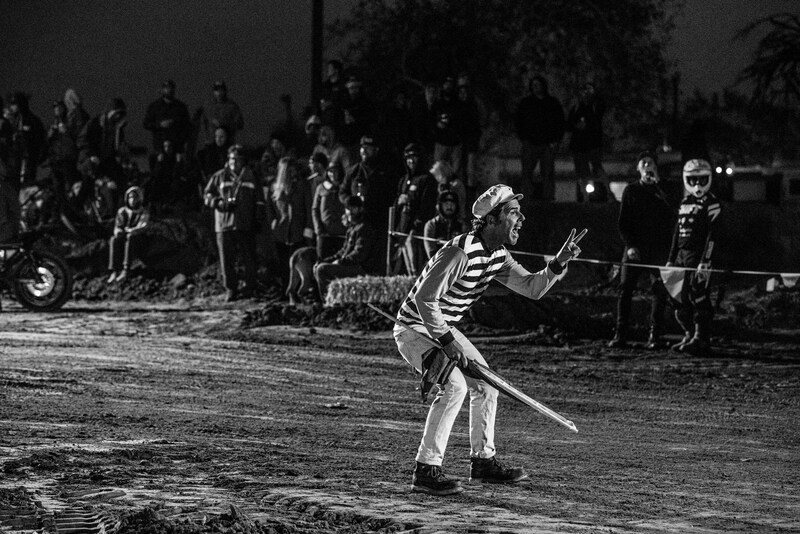 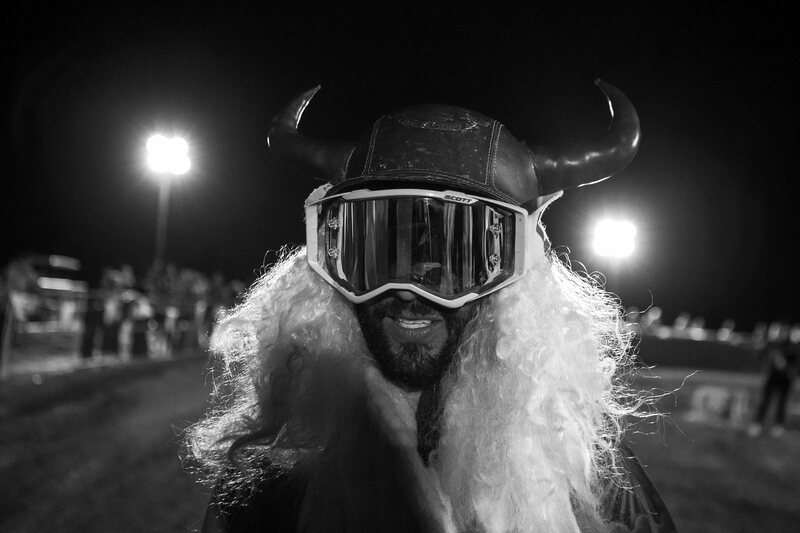 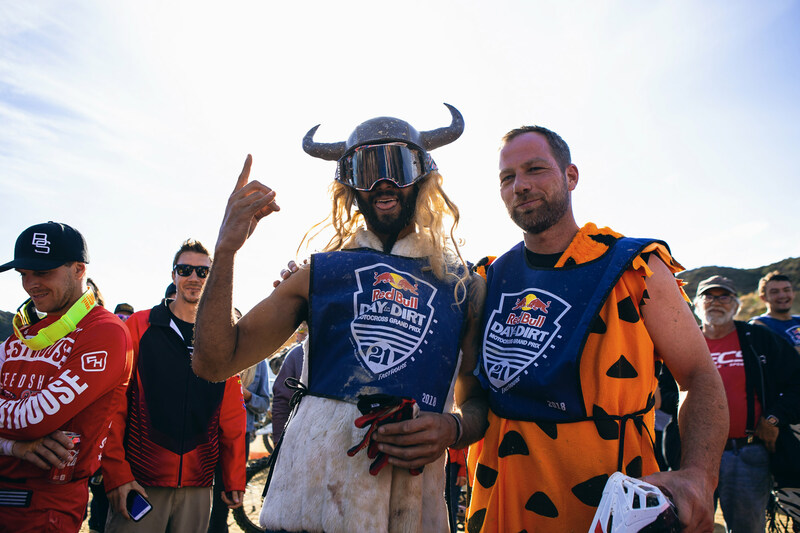 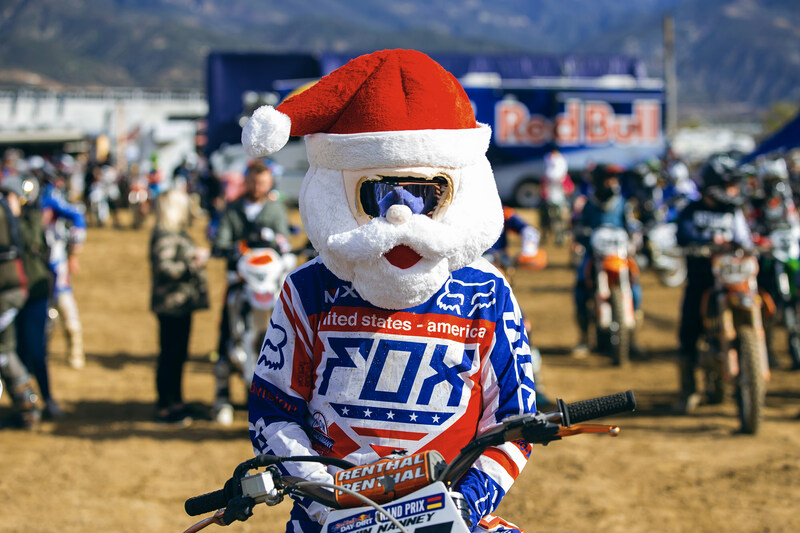 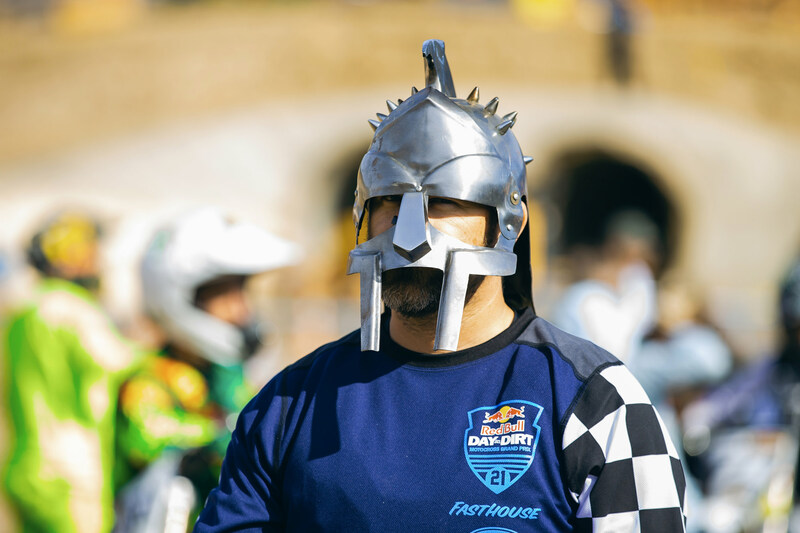 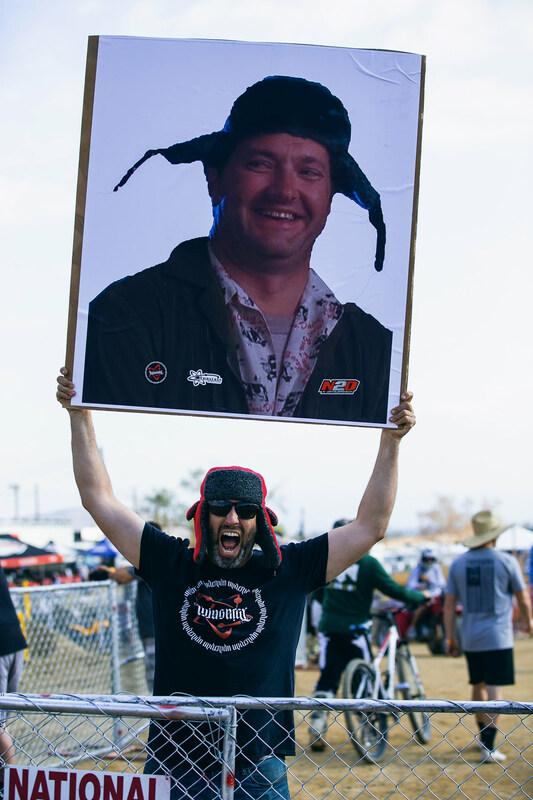 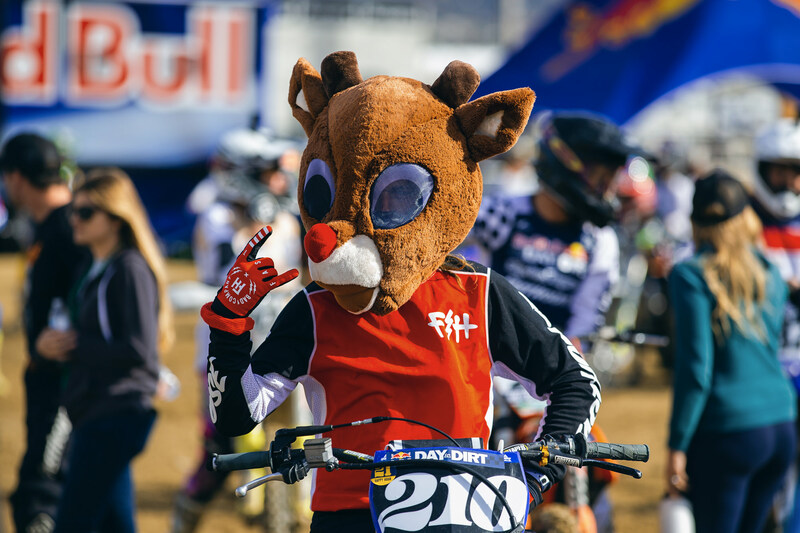 The race was chalked full of entertaining costumes, racing, and of course dumb pit bike crashes. 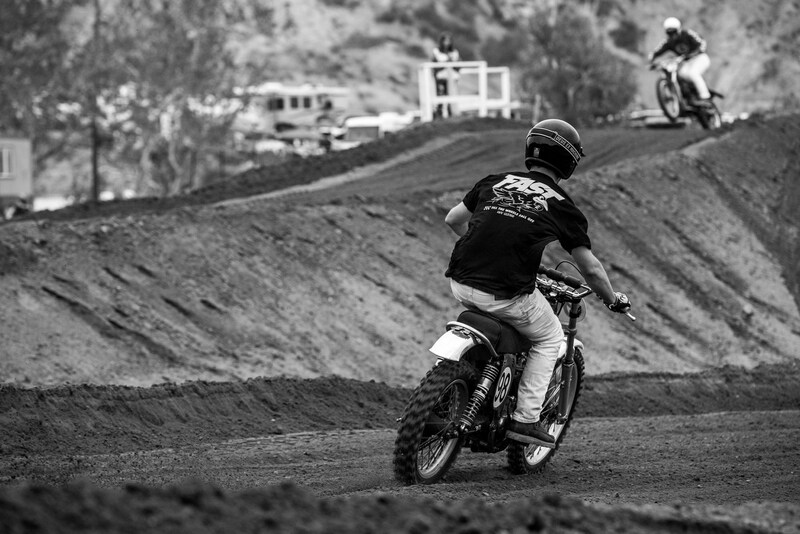 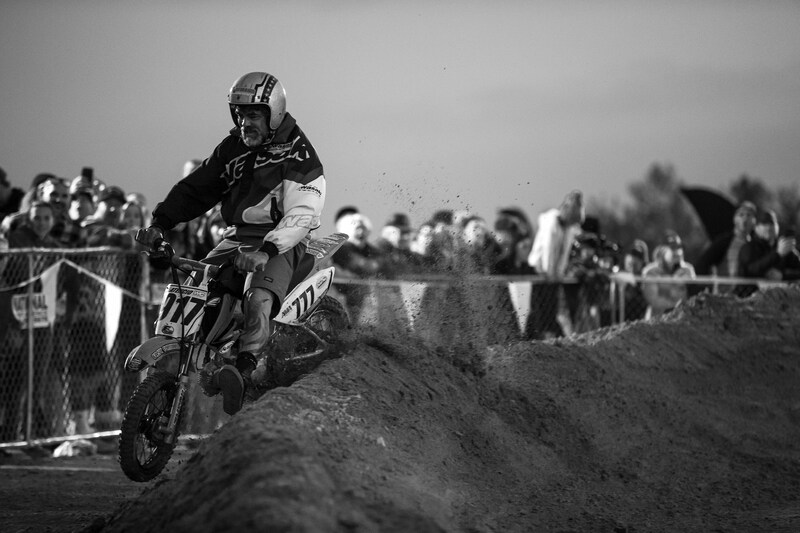 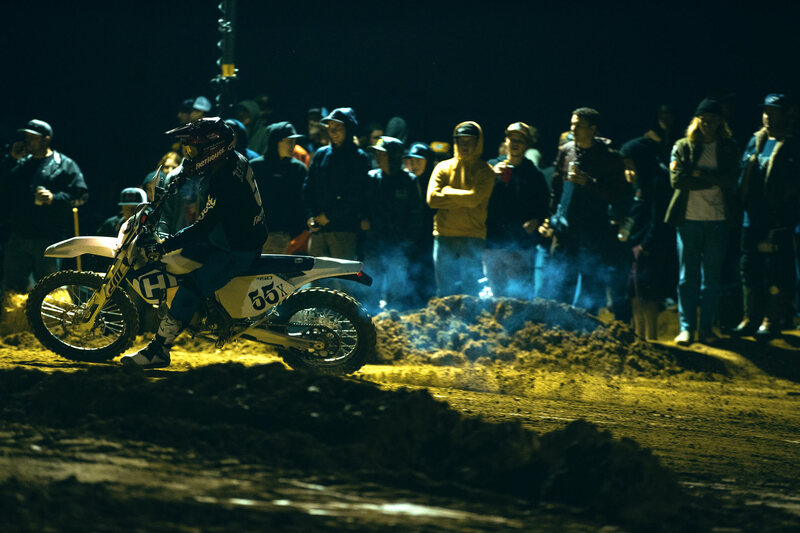 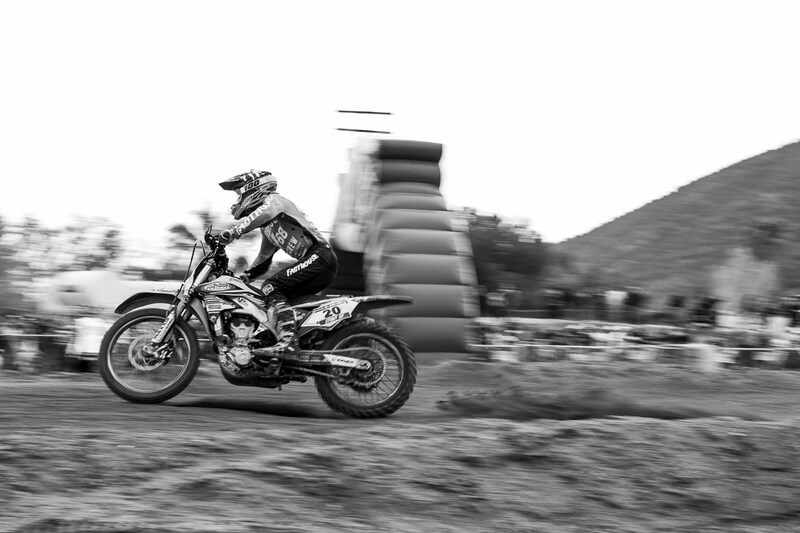 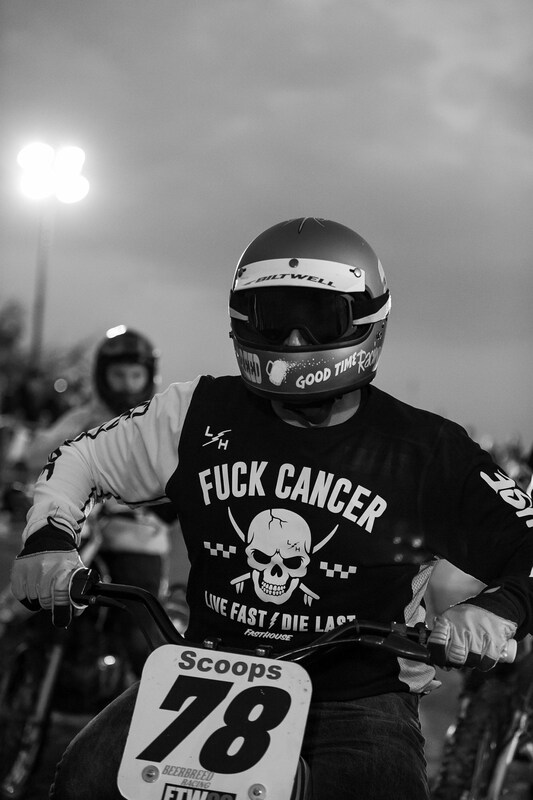 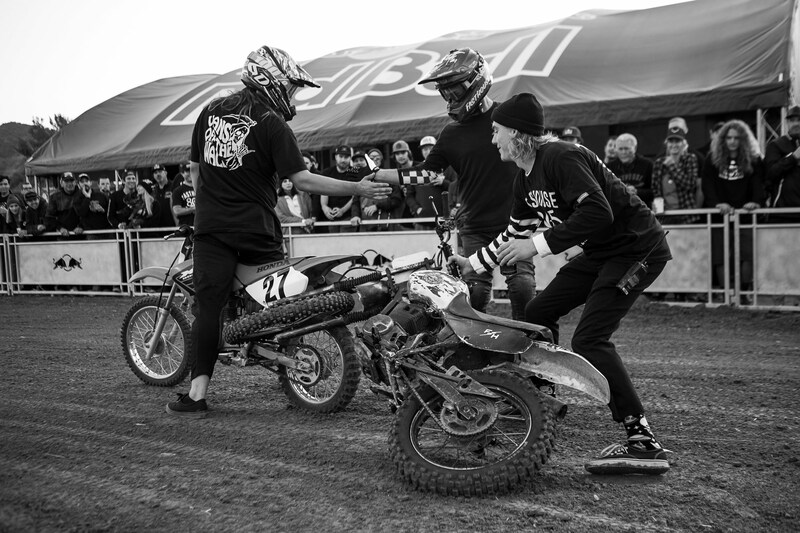 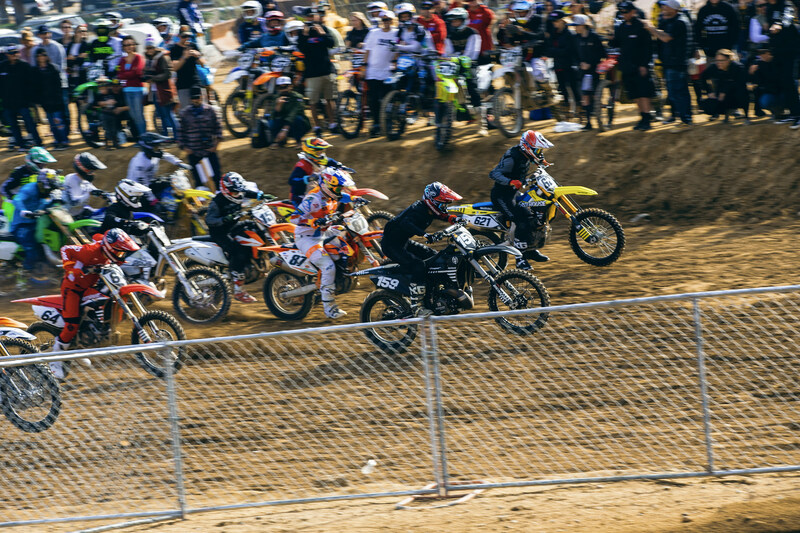 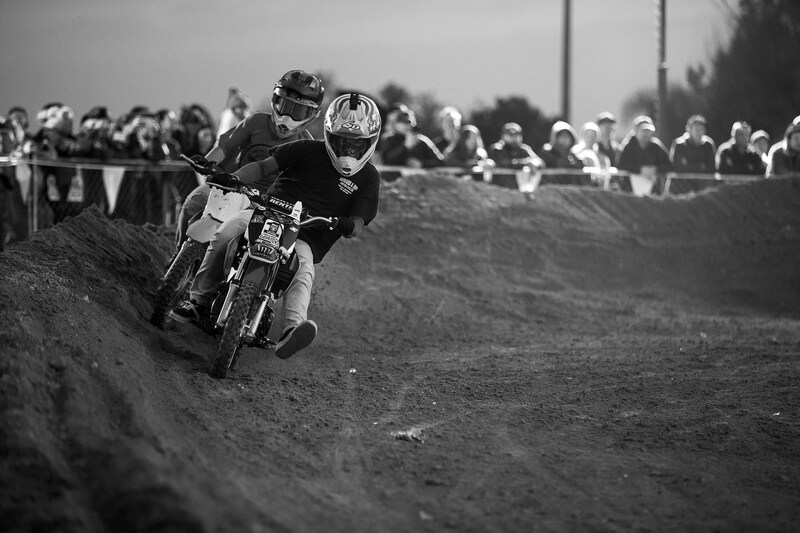 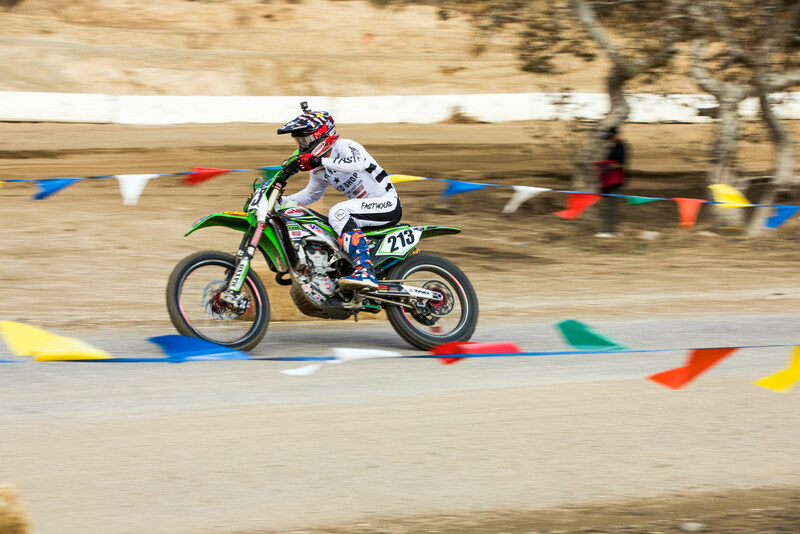 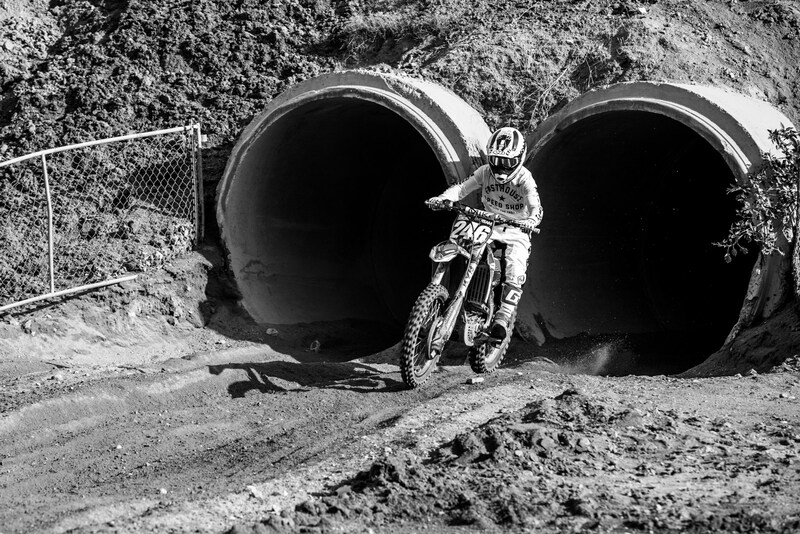 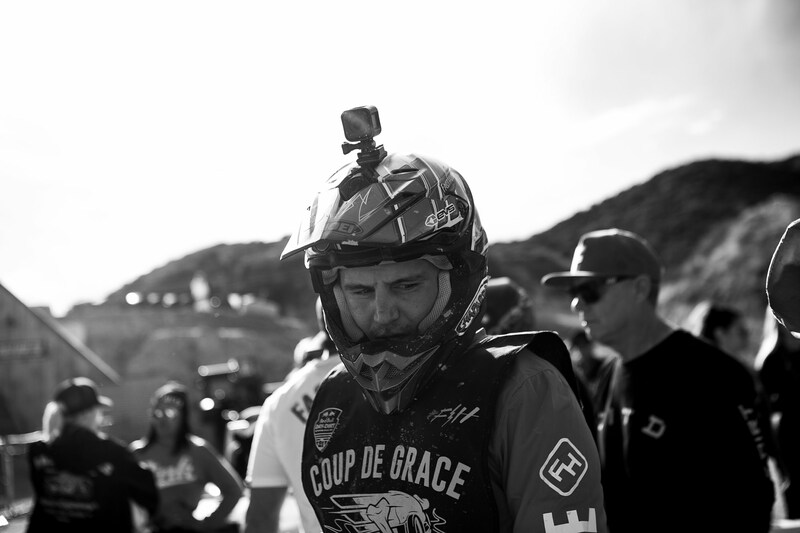 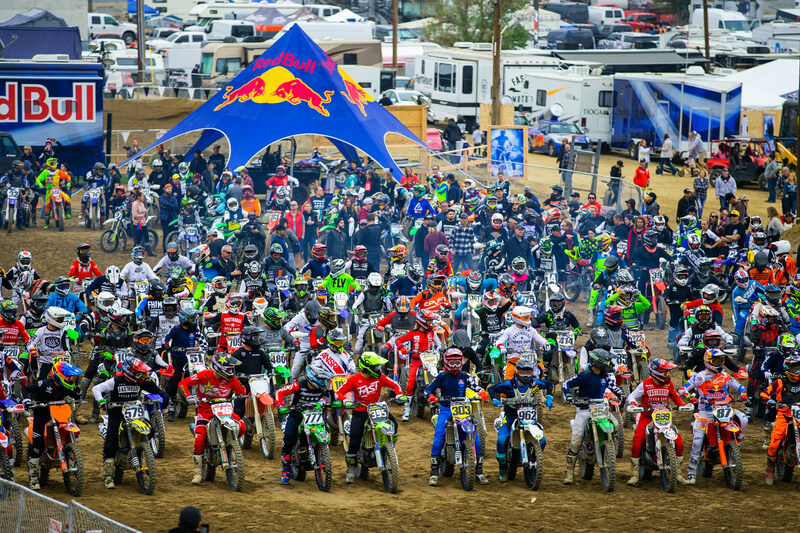 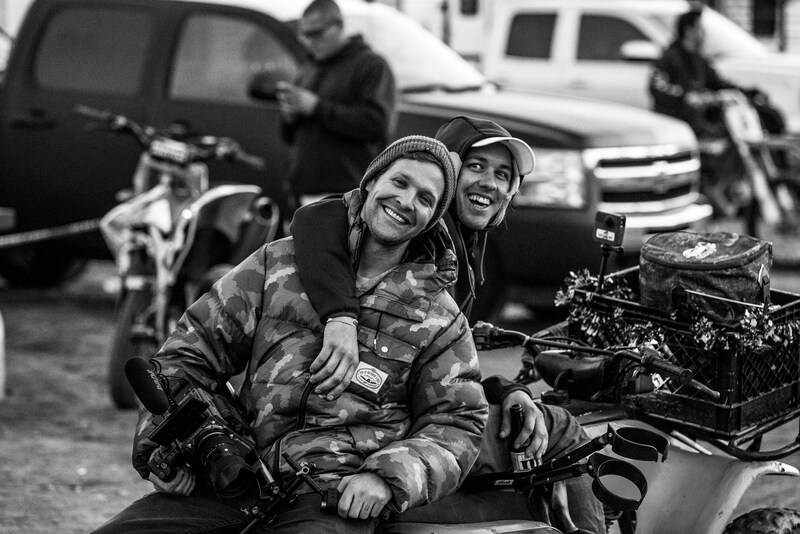 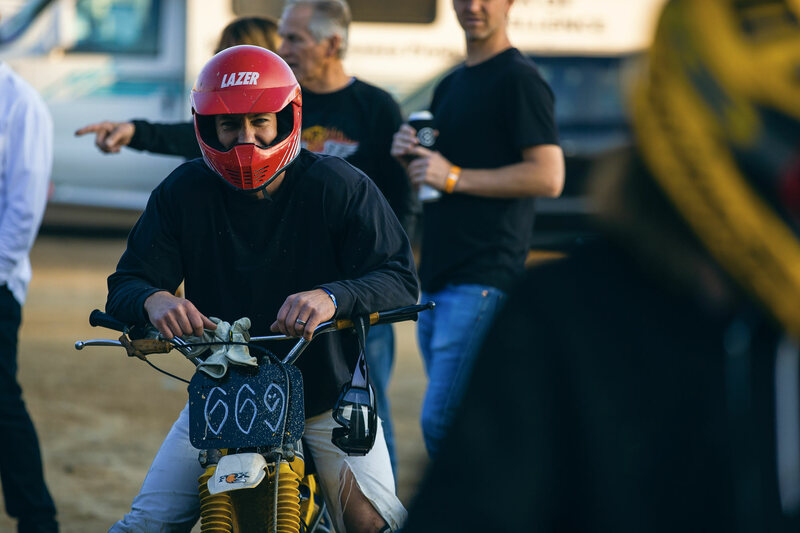 Sure, it was sketchy, but what fun would a pit bike race be if things didn't get slightly out of control? 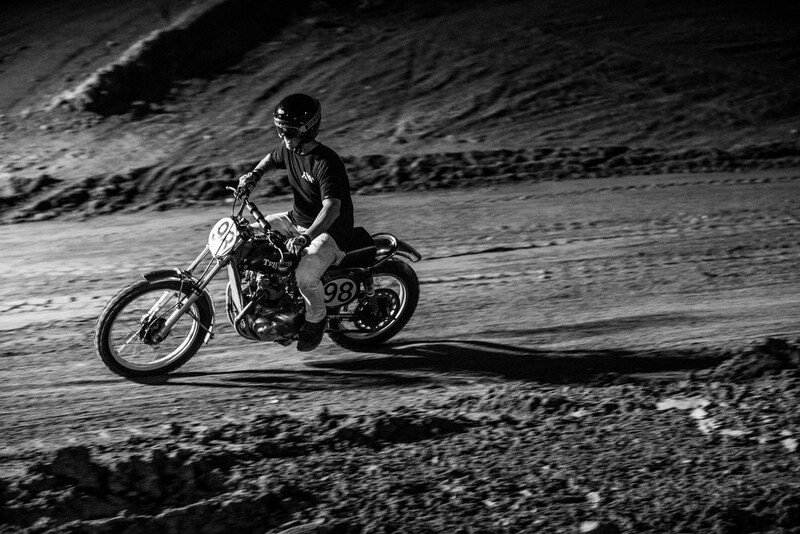 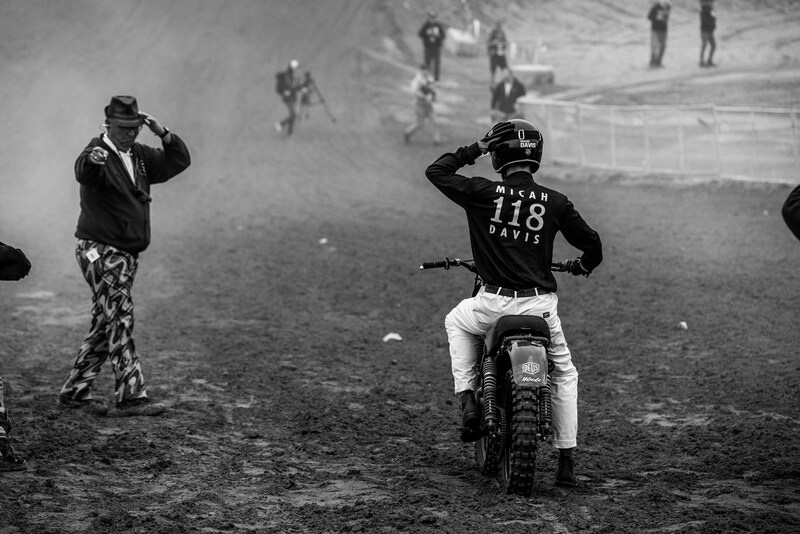 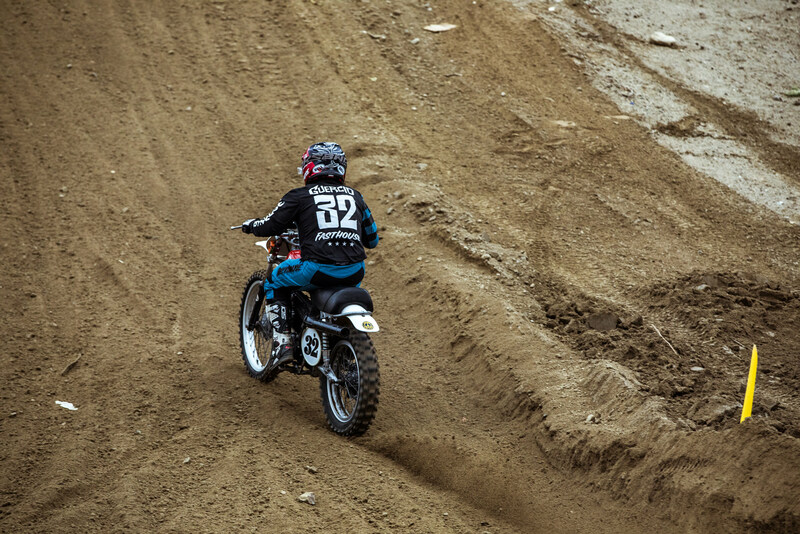 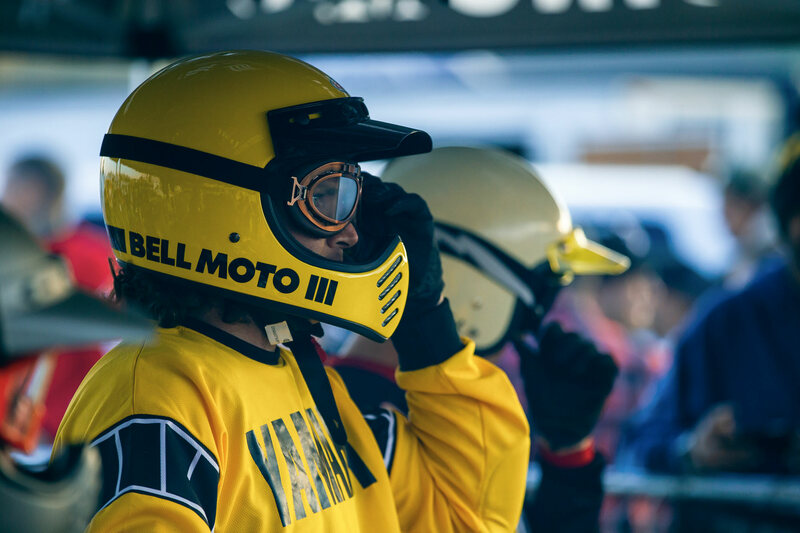 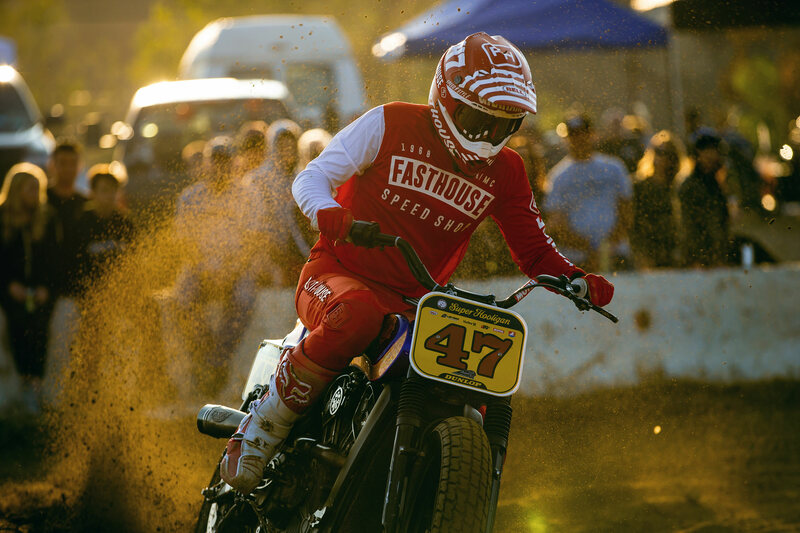 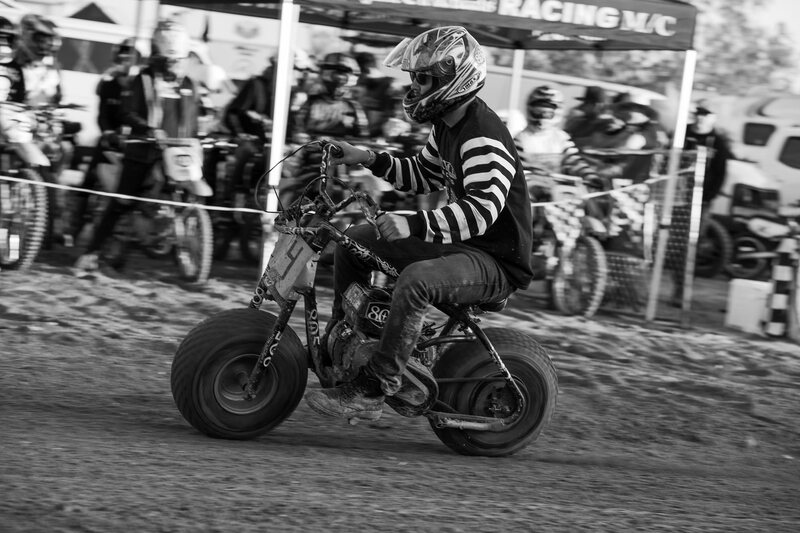 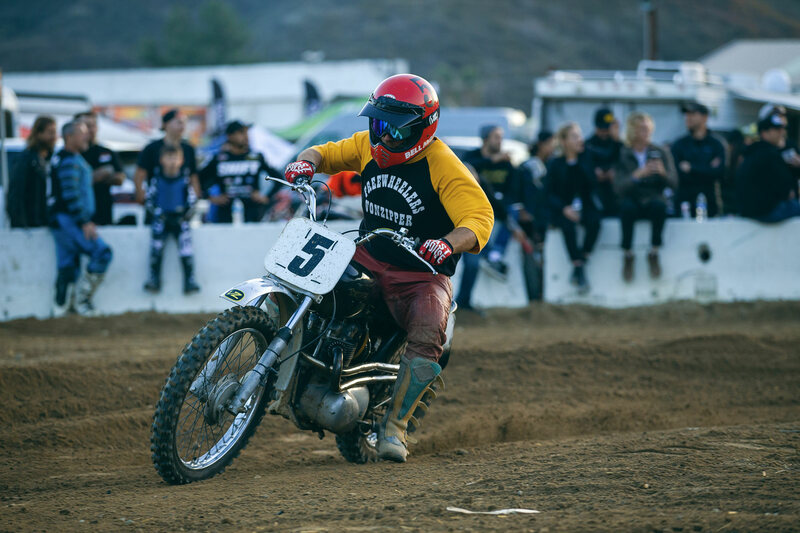 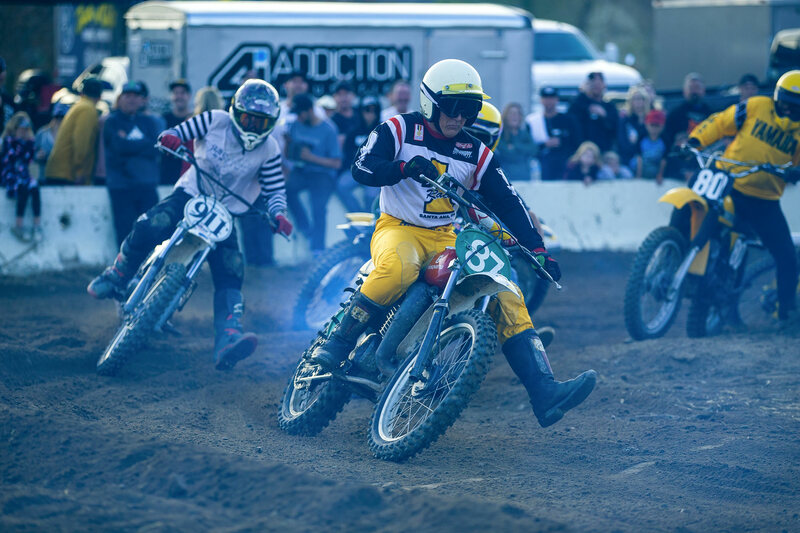 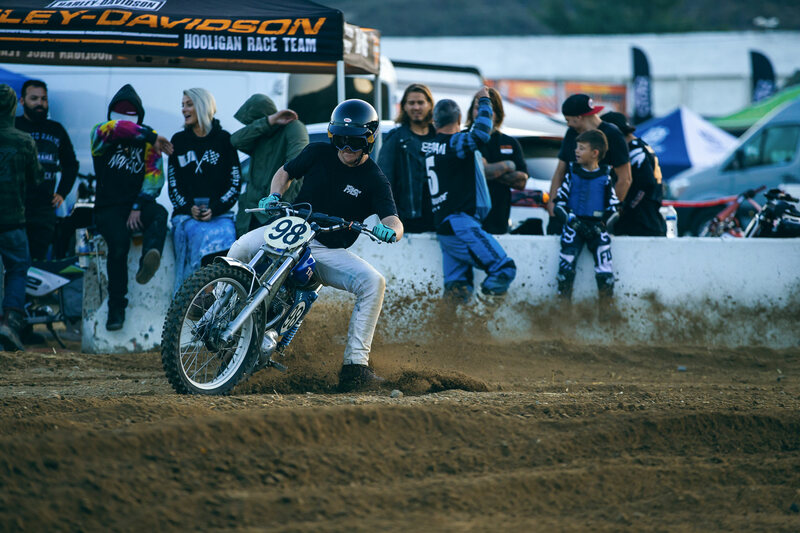 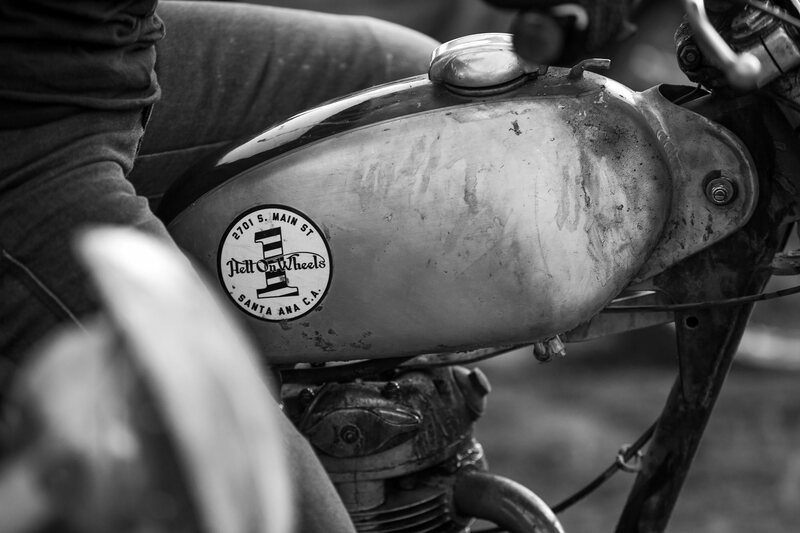 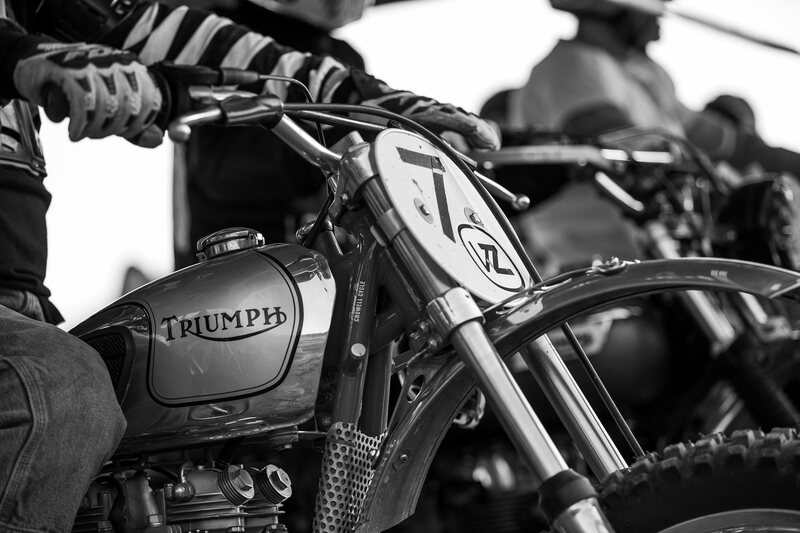 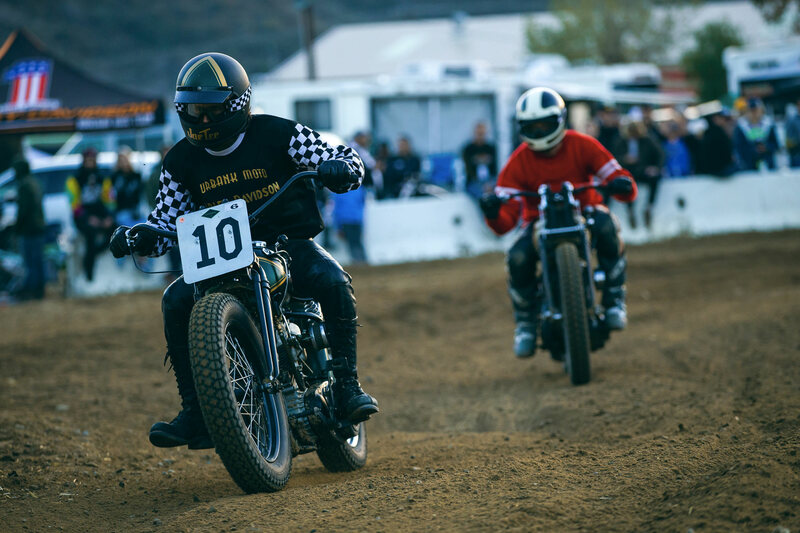 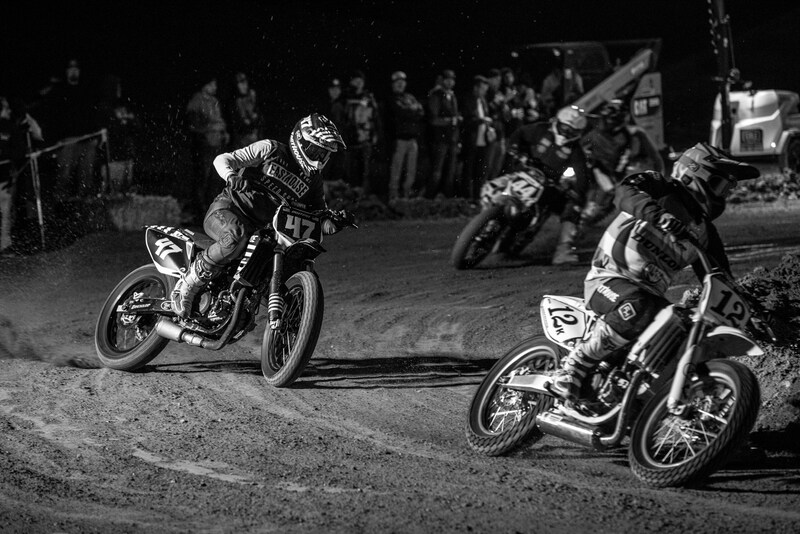 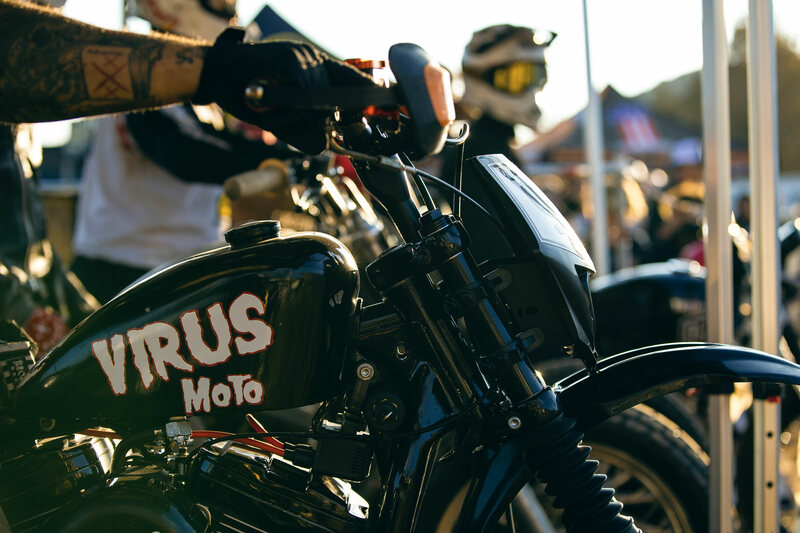 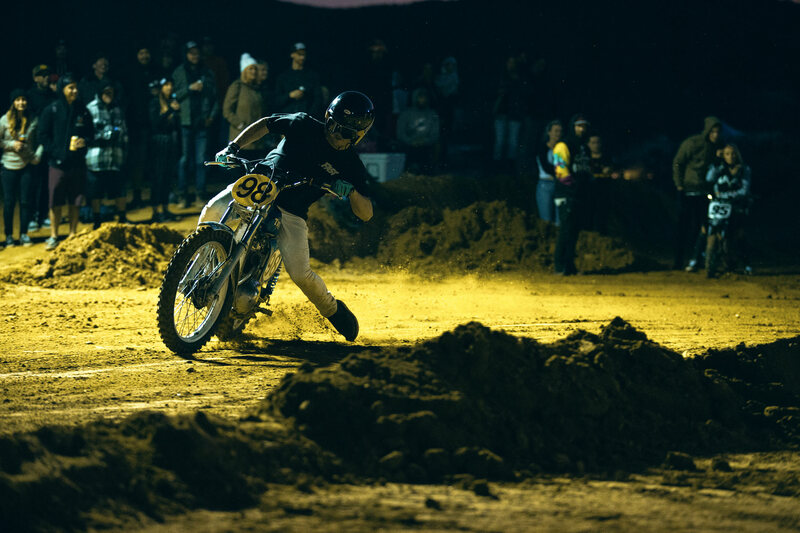 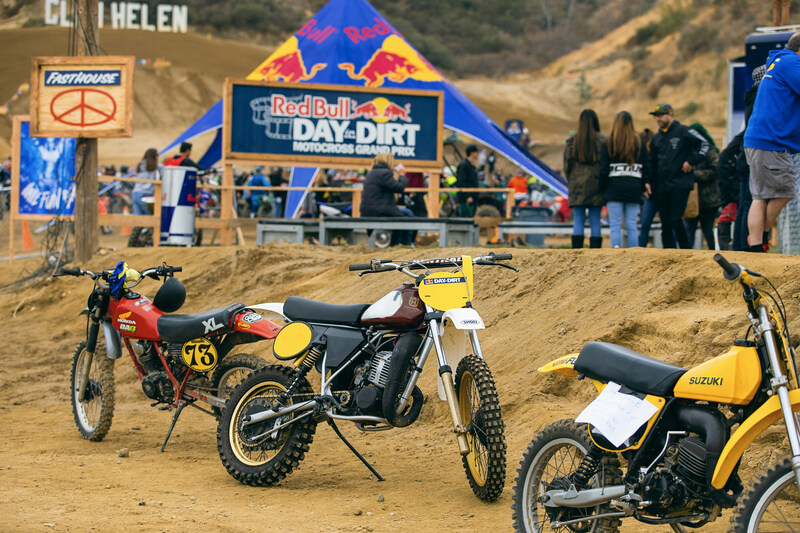 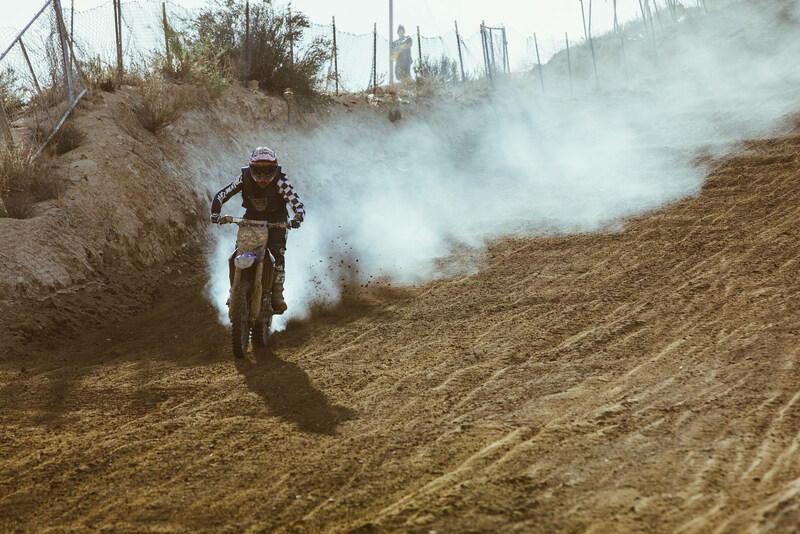 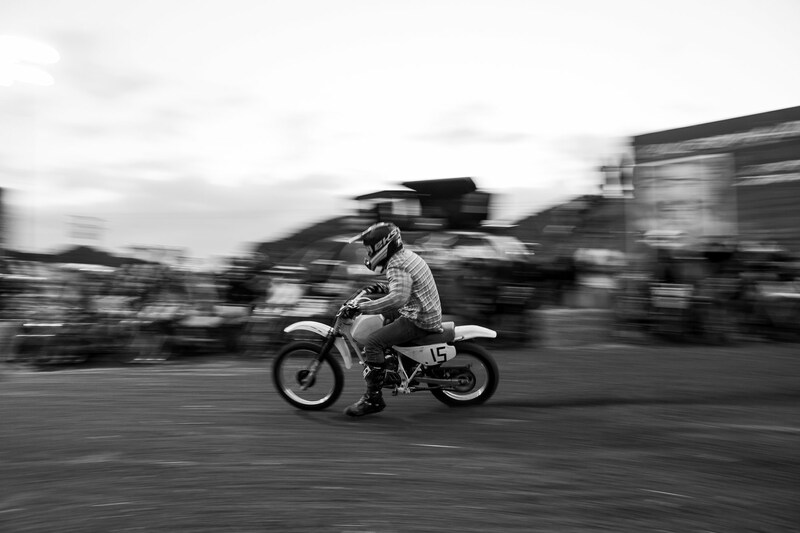 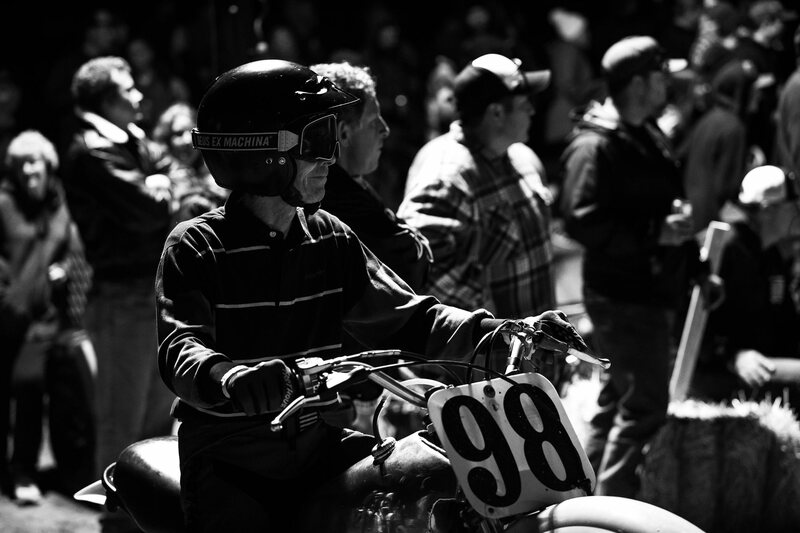 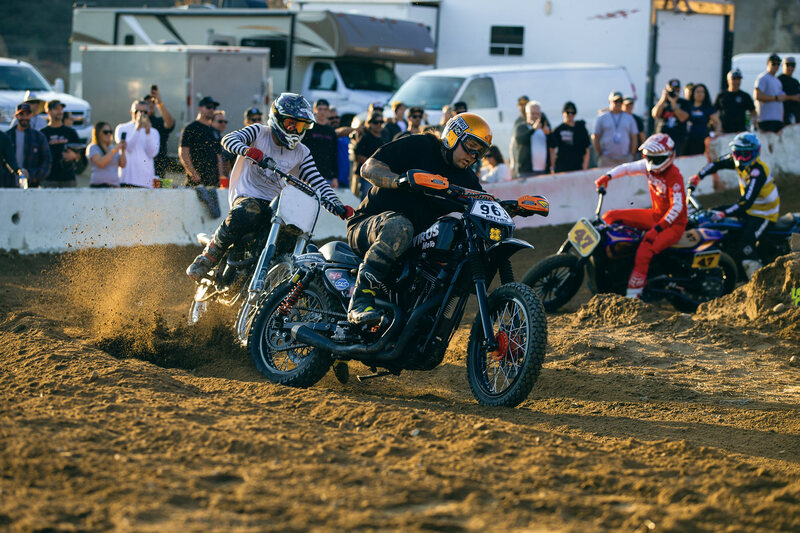 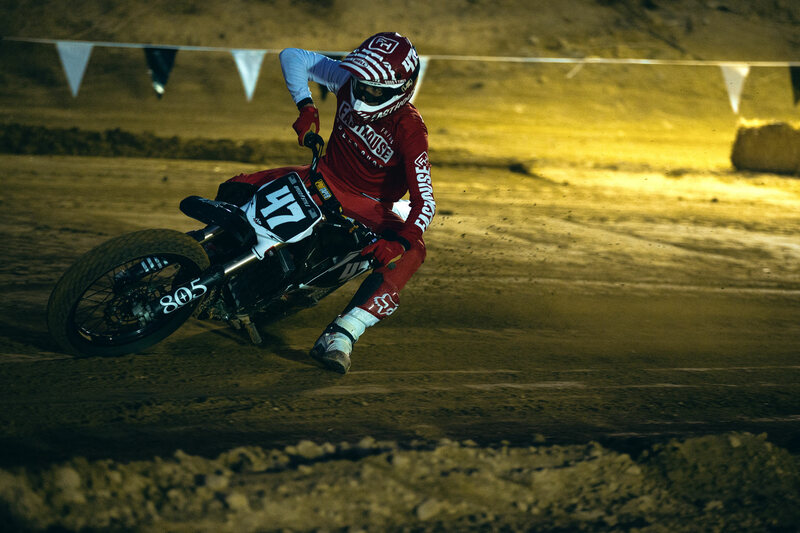 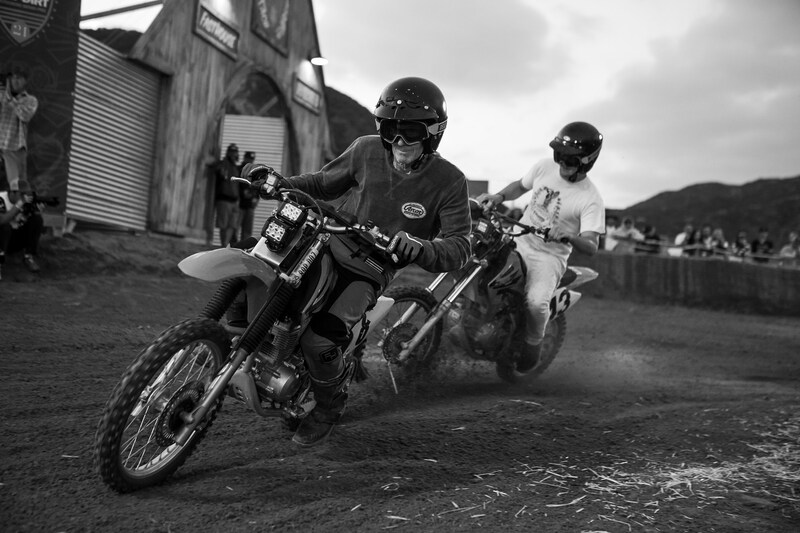 The main weekend of racing kicks off with some of the raddest bikes taking to the track—vintage machines and two-smokers. 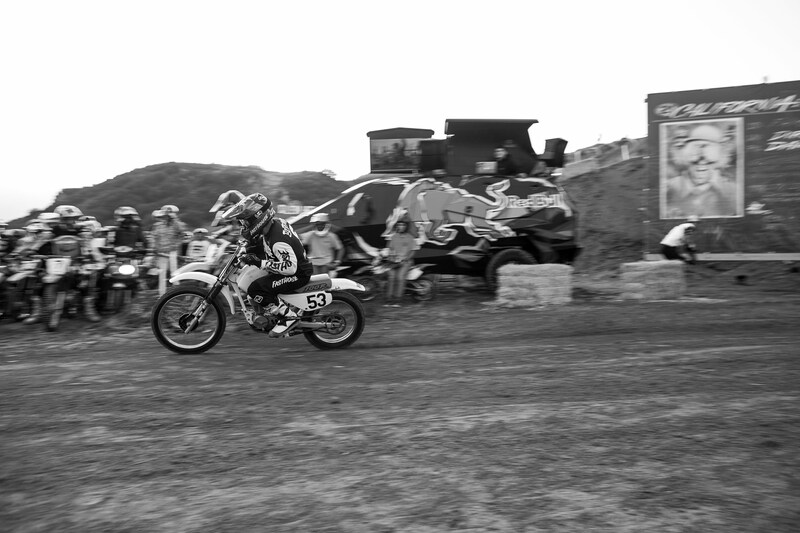 First up is are the vintage racers, showcasing everything from early 1970s steel to mid-'80s era big bores, and no the track isn't abbreviated. 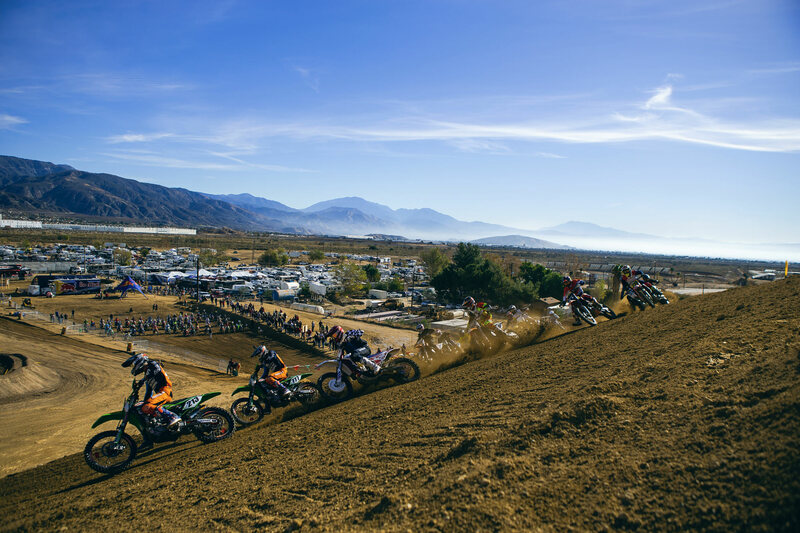 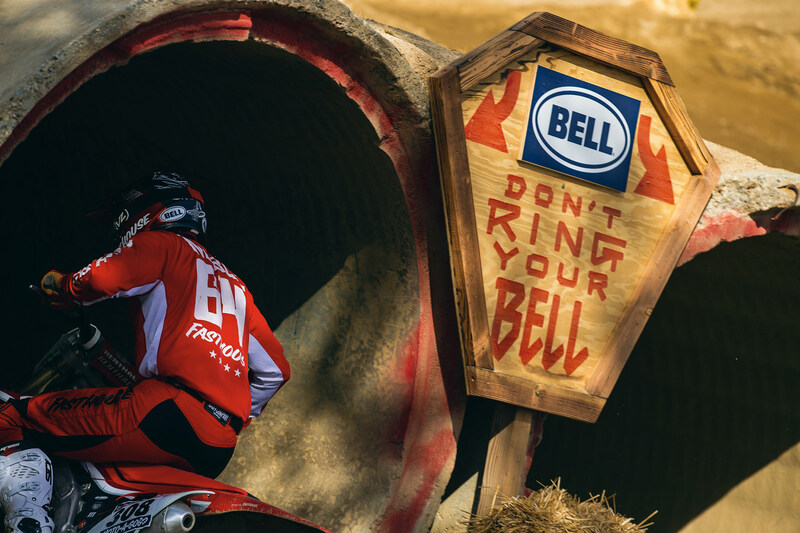 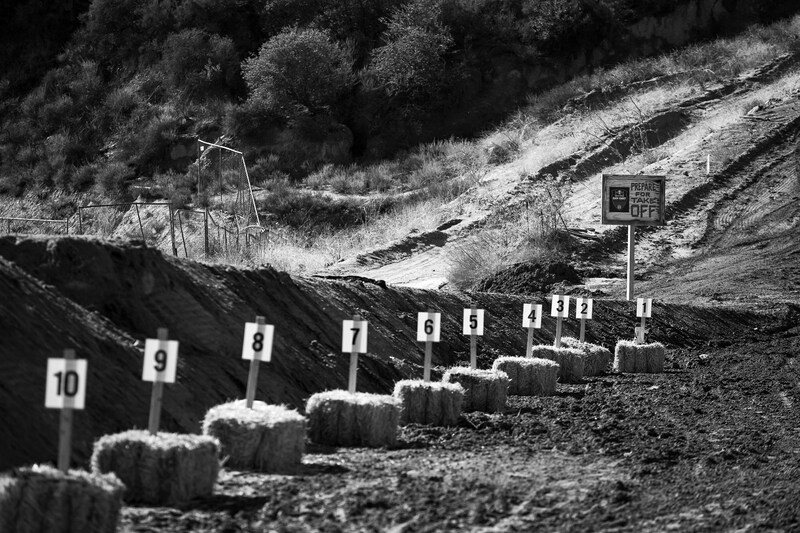 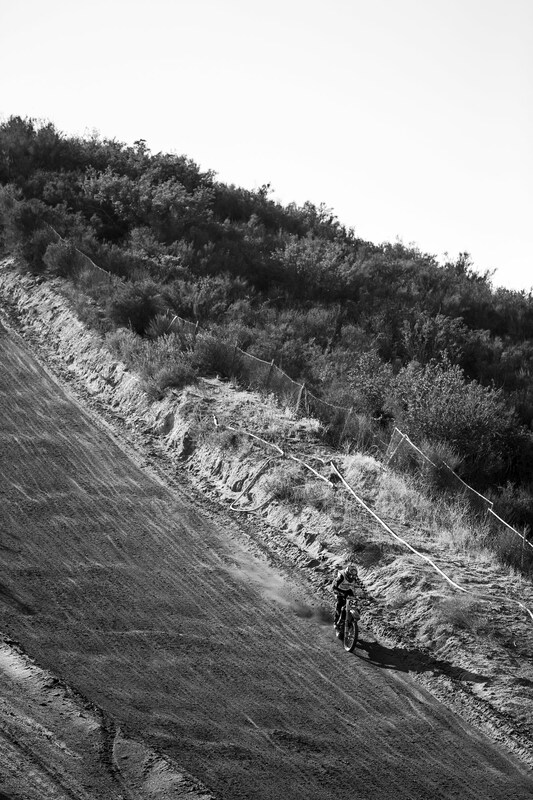 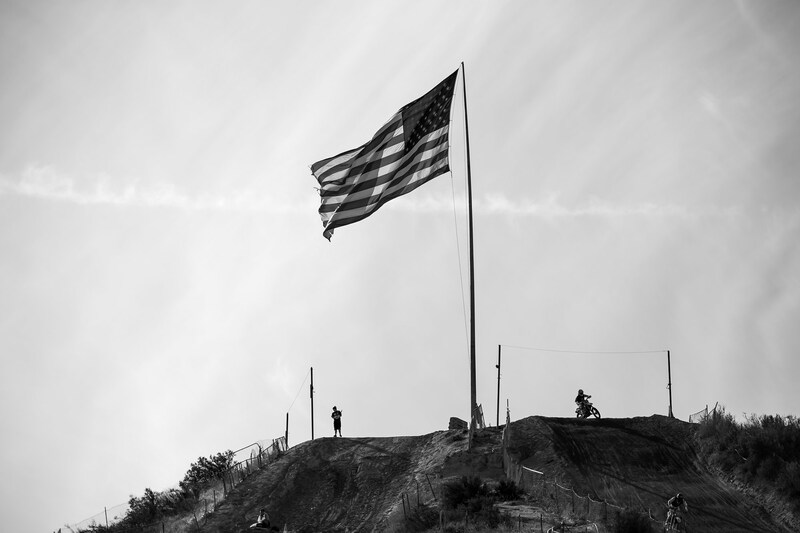 All the old bikes have to contend with Glen Helen's massive Mt Saint Helen. 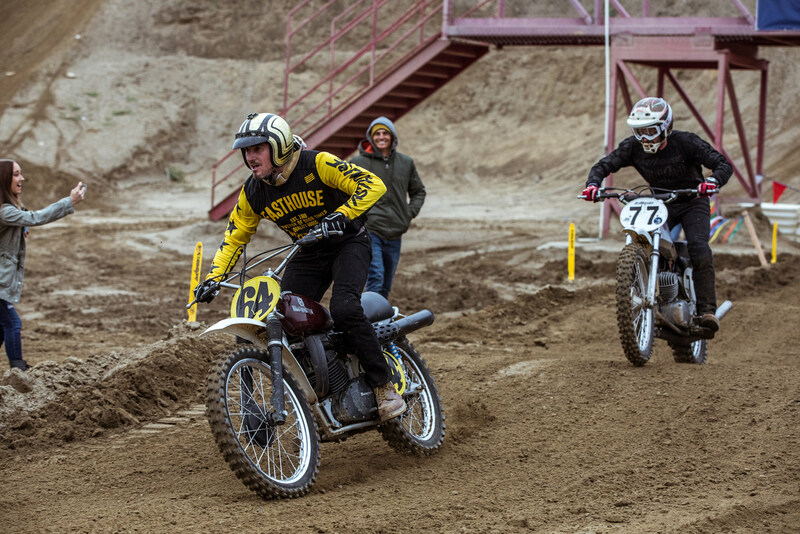 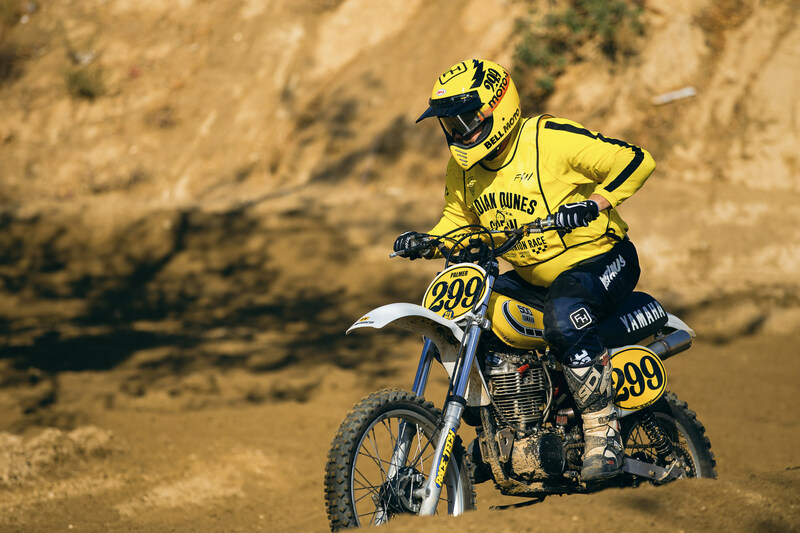 Following the vintage race, the Two-Stroke Revival event kicks off, as the sweet smell of premix permeates the air. 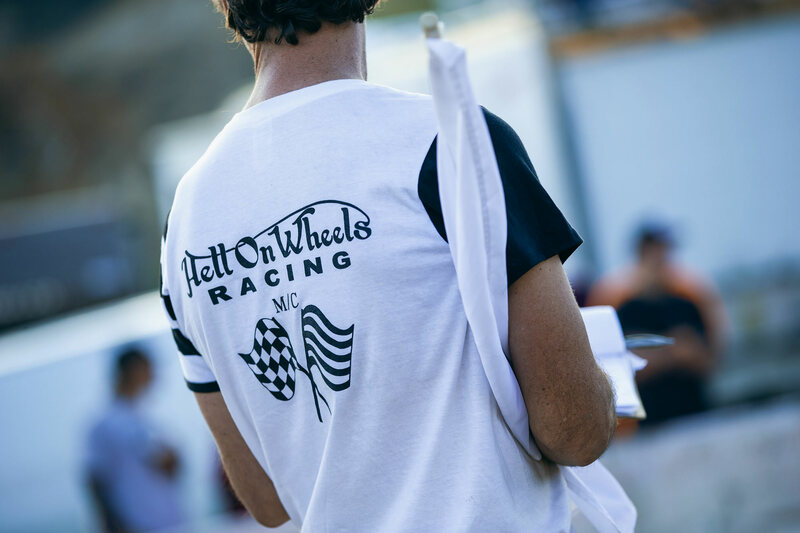 Saturday night is reserved for Hell On Wheels. 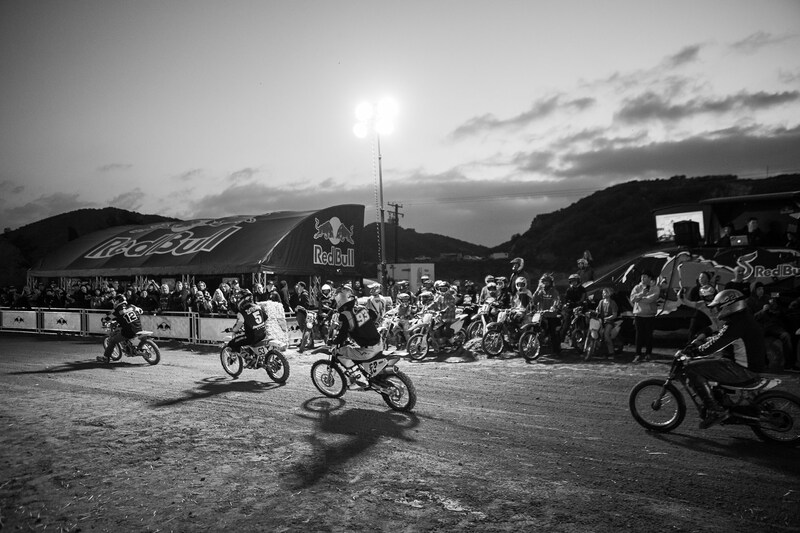 A -run-what-ya-brung extravaganza that offers classes for just about any bike ever made. 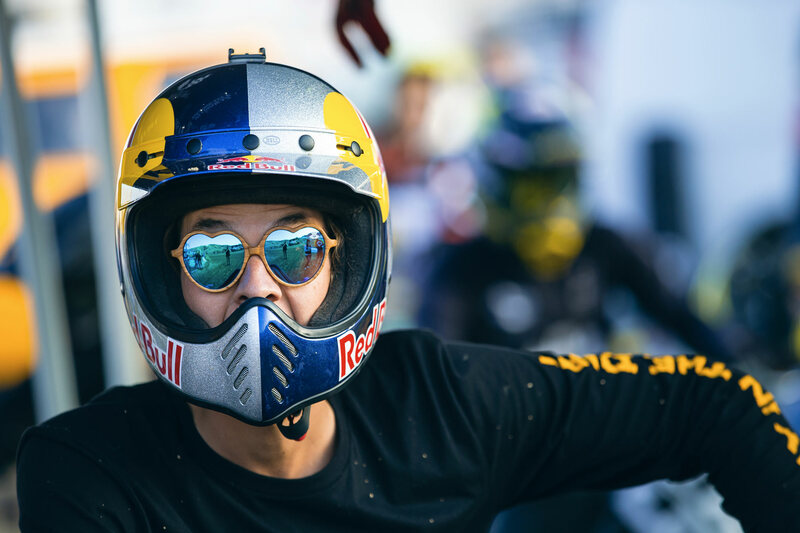 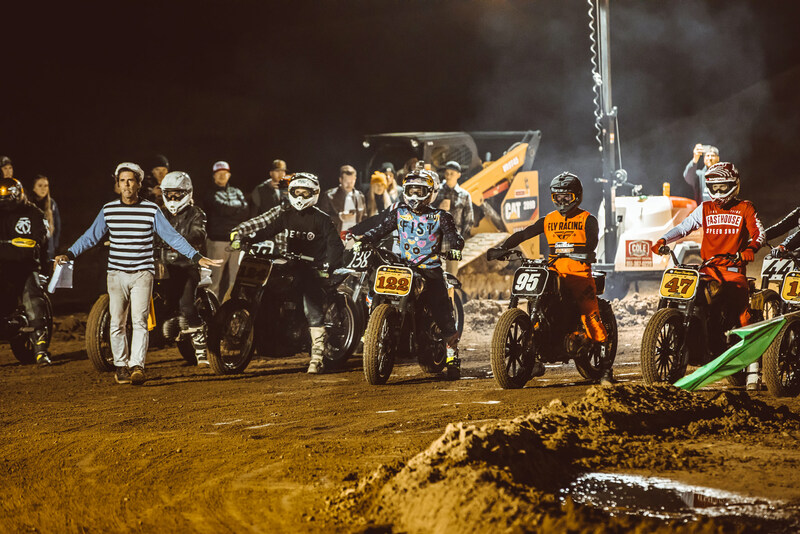 Held on a small TT style track, the HOW race is arguably one of the most entertaining of the weekend, especially considering the broad spectrum of bikes and rider skill levels. 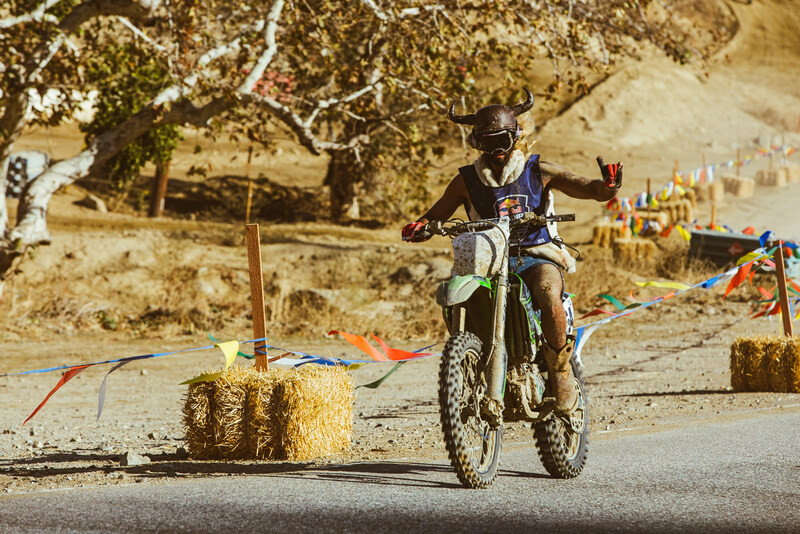 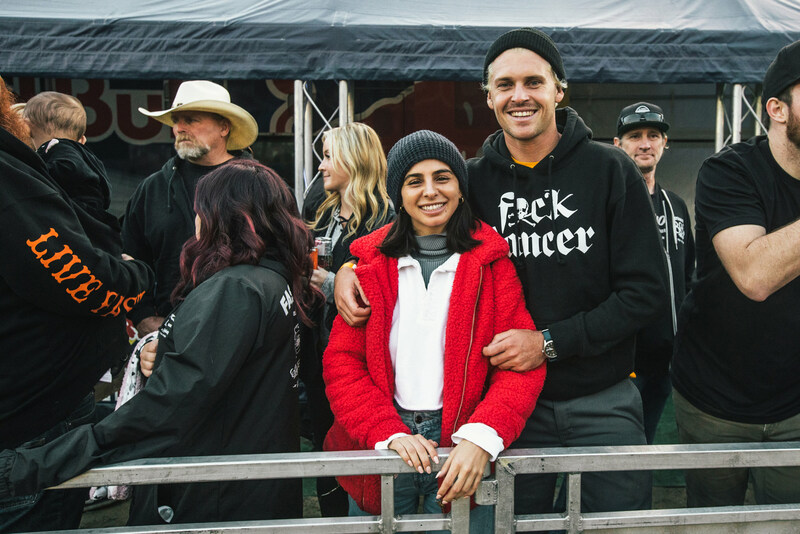 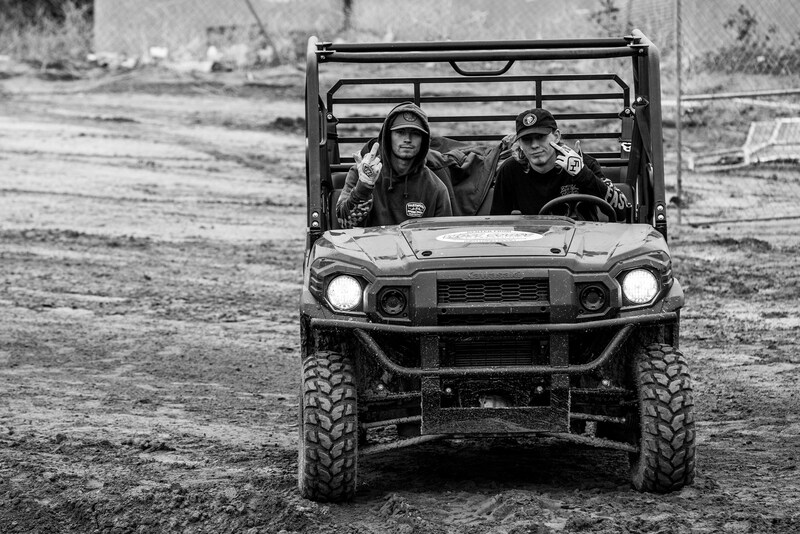 Meatball and his Hell On Wheels crew put on one hell of a show for everyone to enjoy. 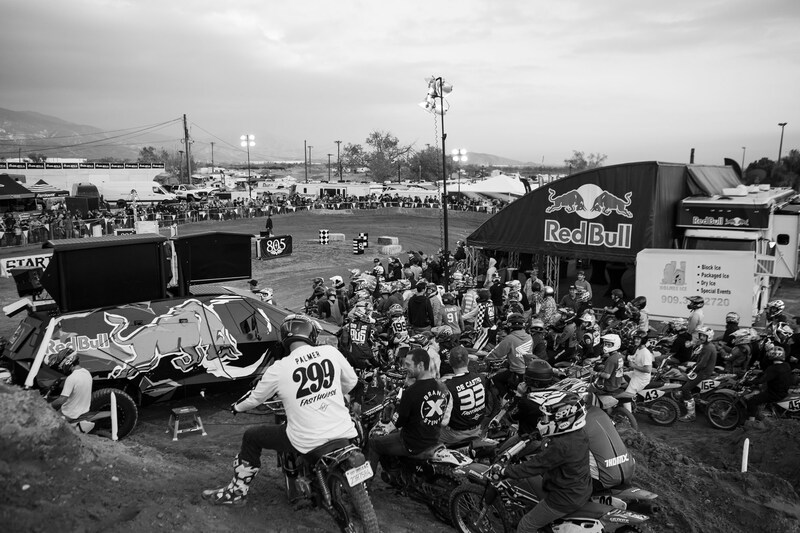 Day In The Dirt didn't get the moniker "Fastest Party In Town" for no reason. 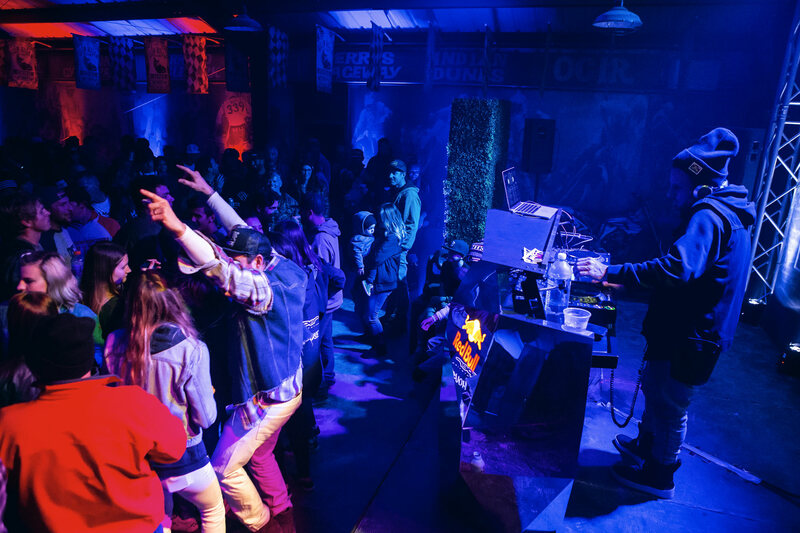 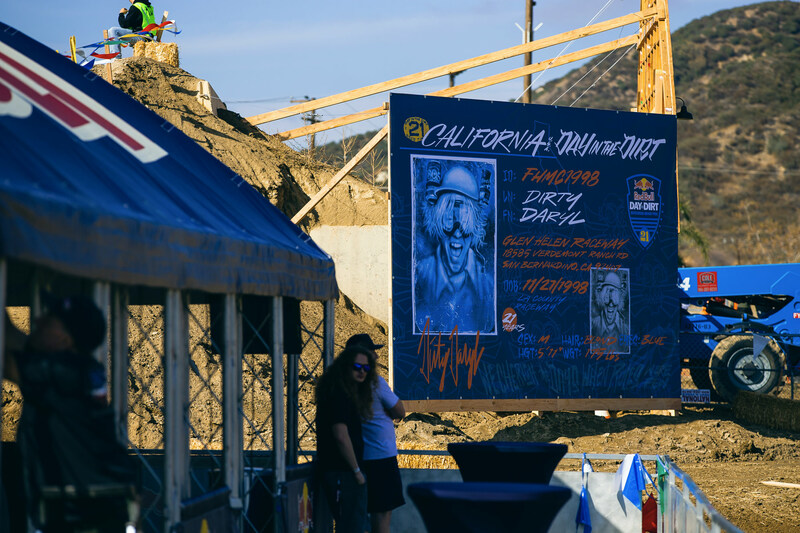 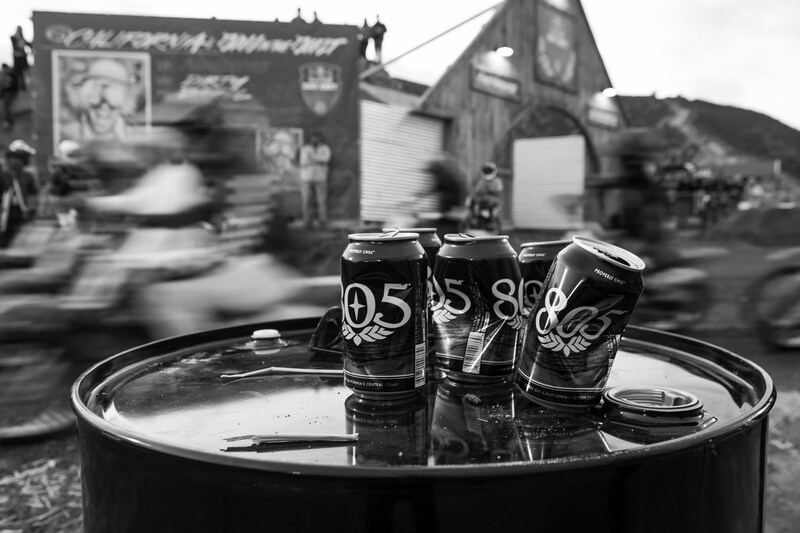 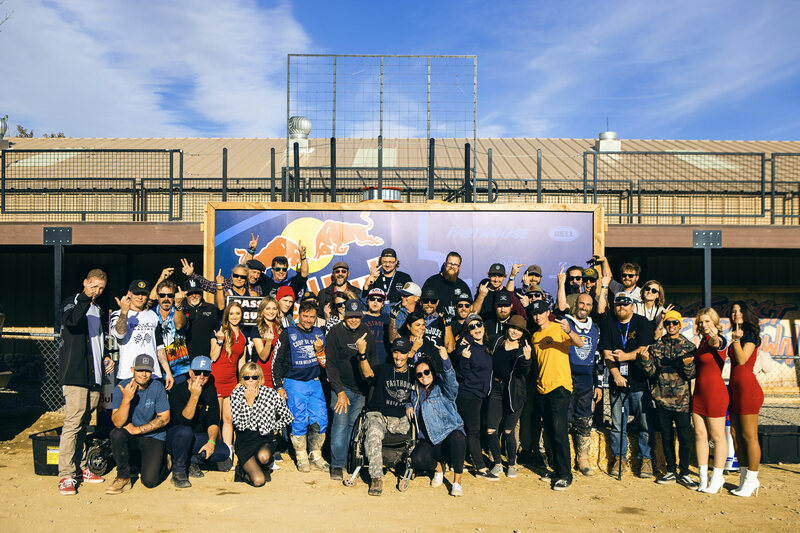 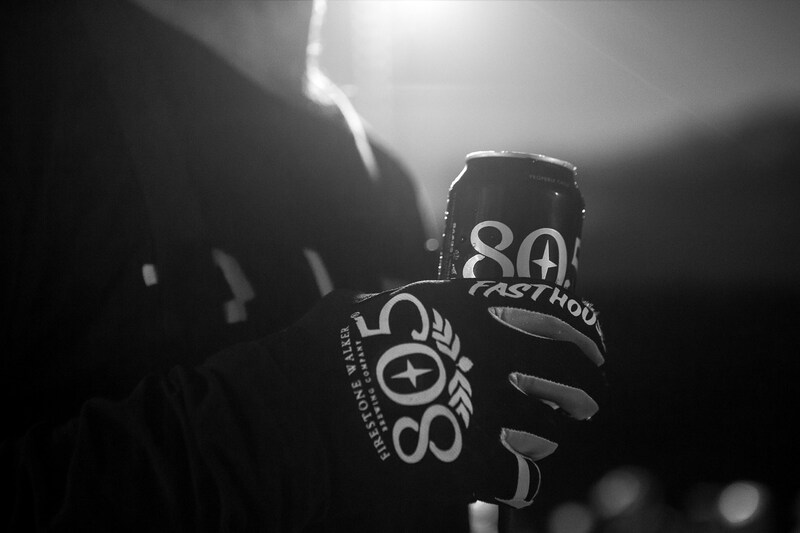 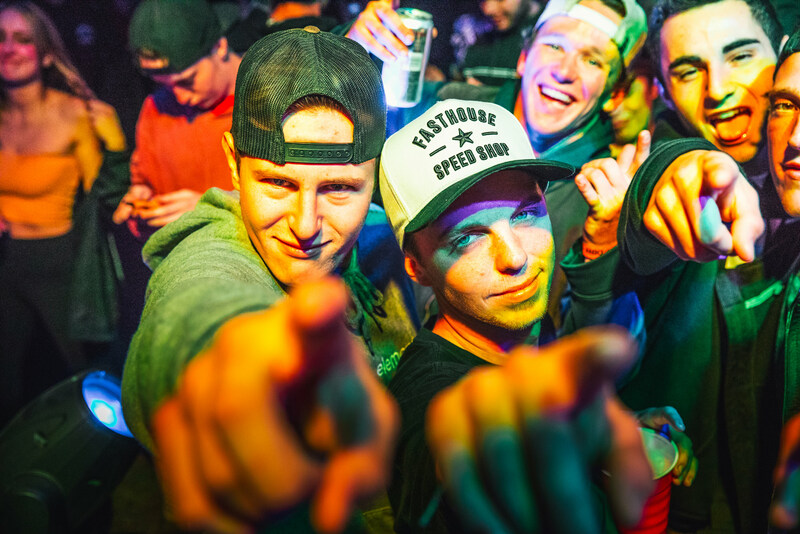 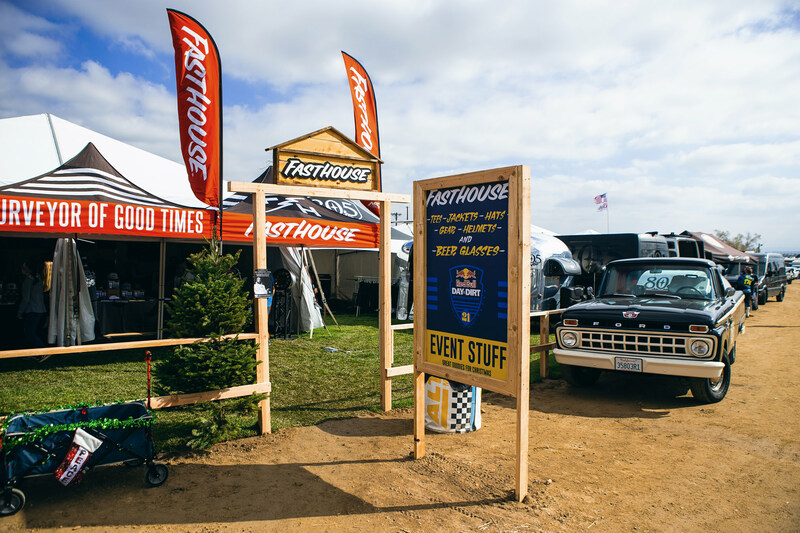 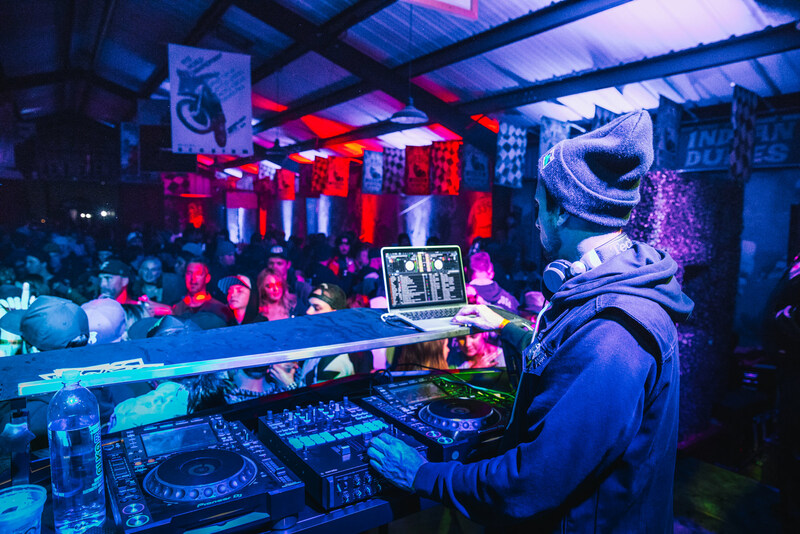 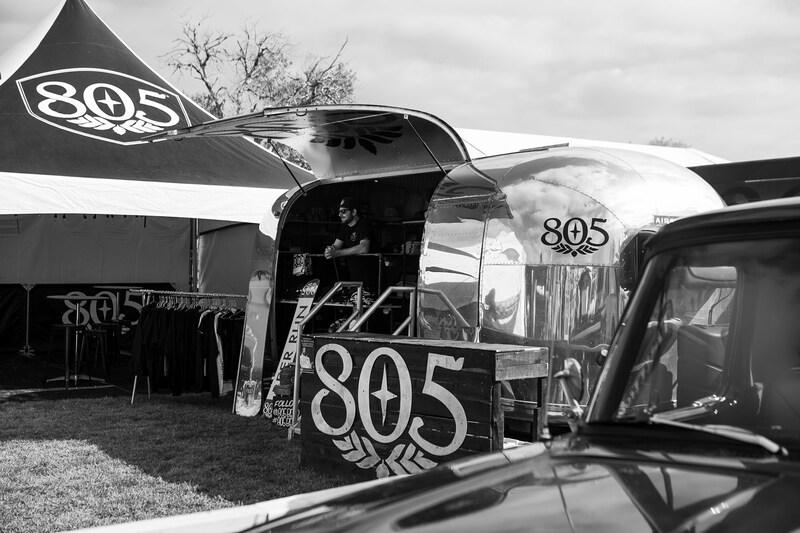 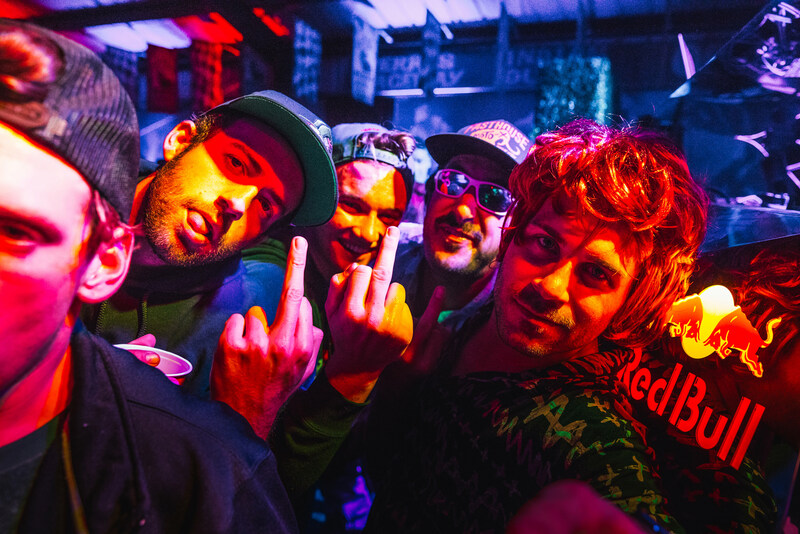 Last year, for the 20th DITD, Fasthouse and Red Bull hosted a live band. 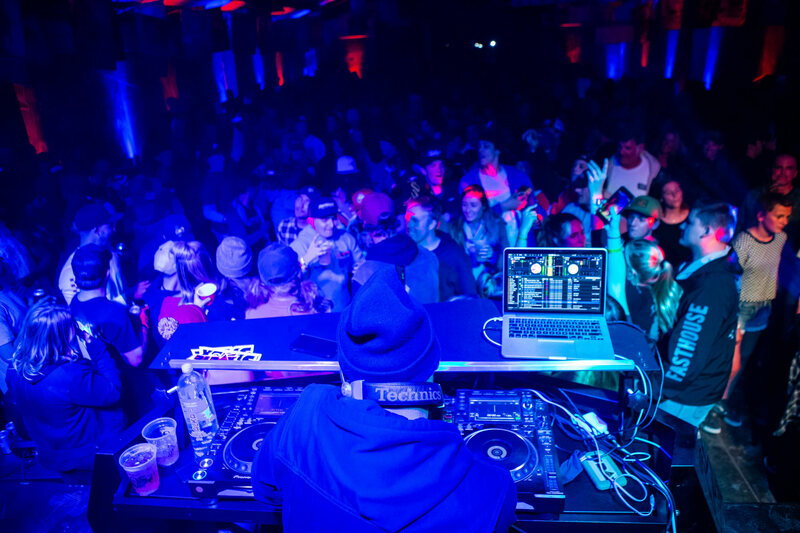 This year, a DJ came out to spin the turntables and provide everyone with the right tunes to groove to. 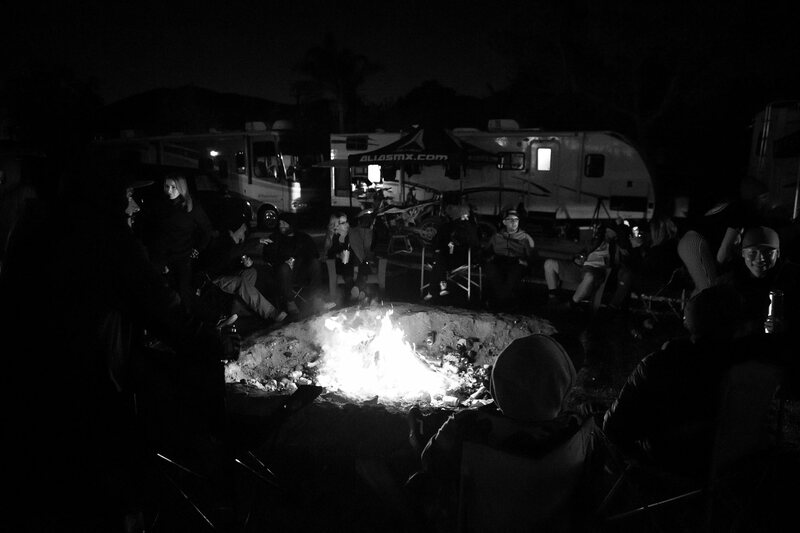 It was an unforgettable evening. 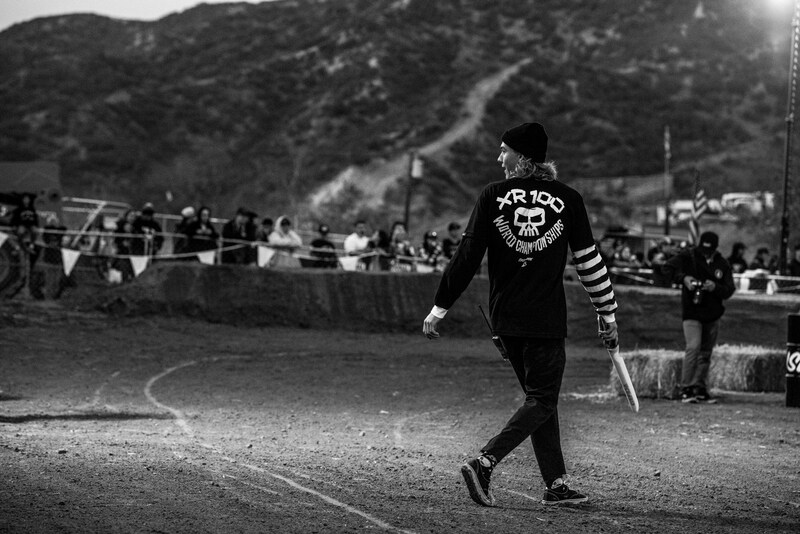 The final death blow... 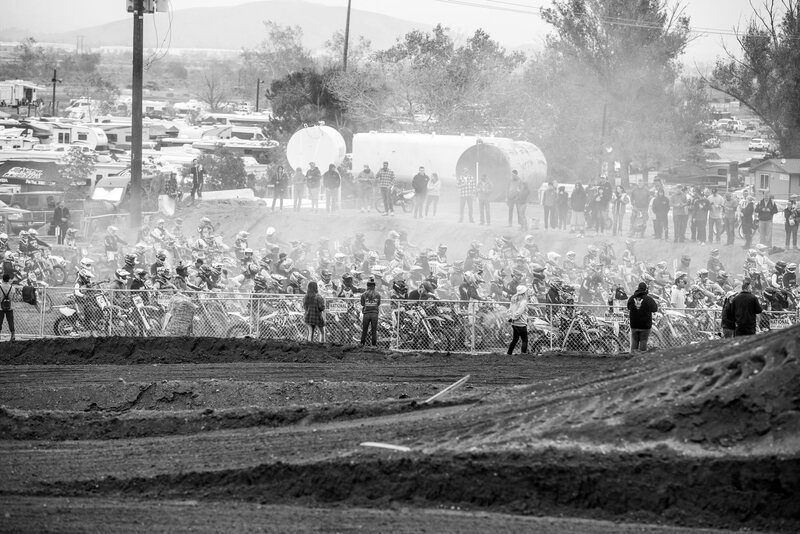 The Coup de Grace has, and always will be, the final race of the weekend. 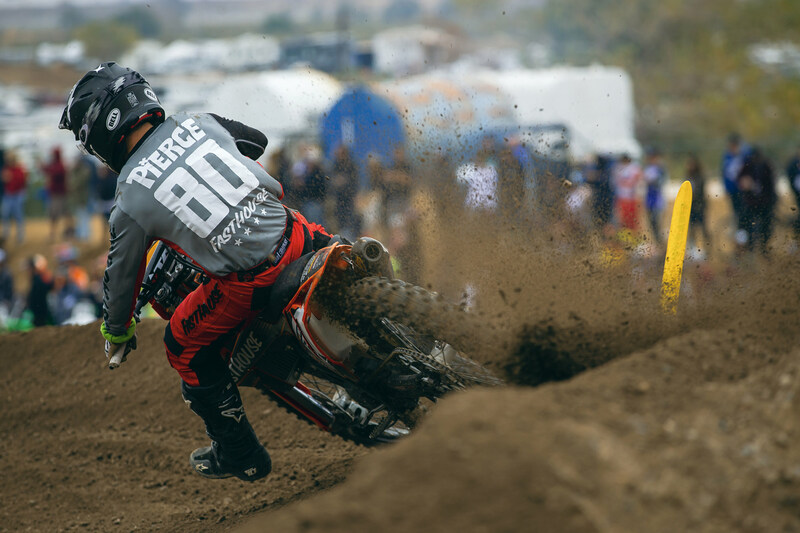 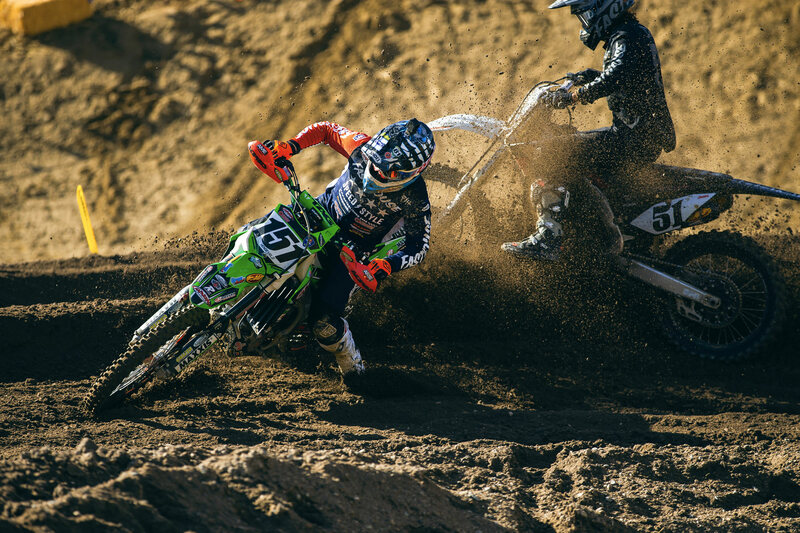 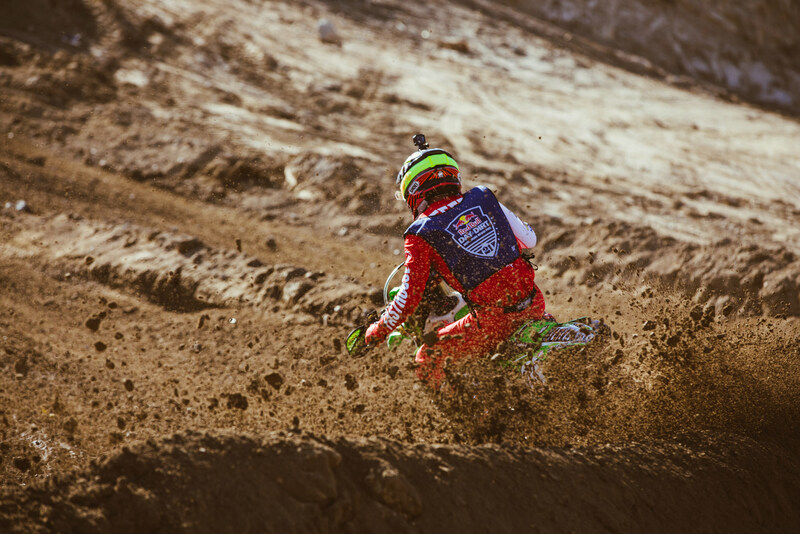 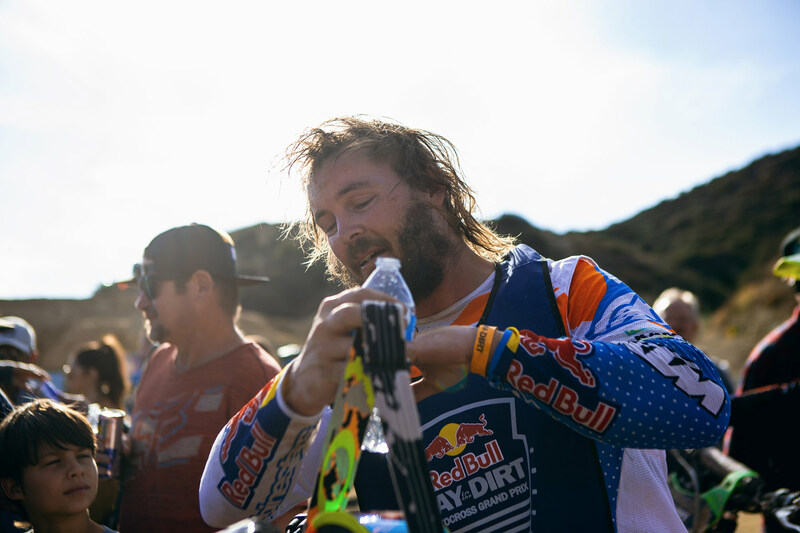 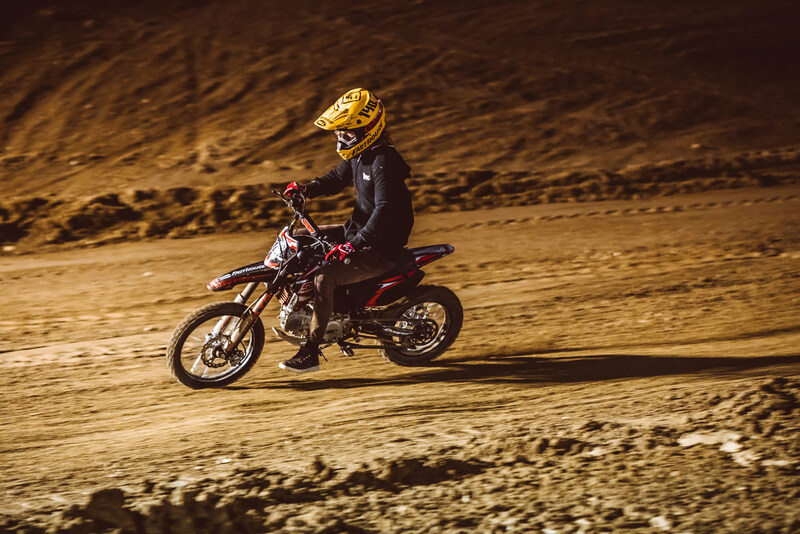 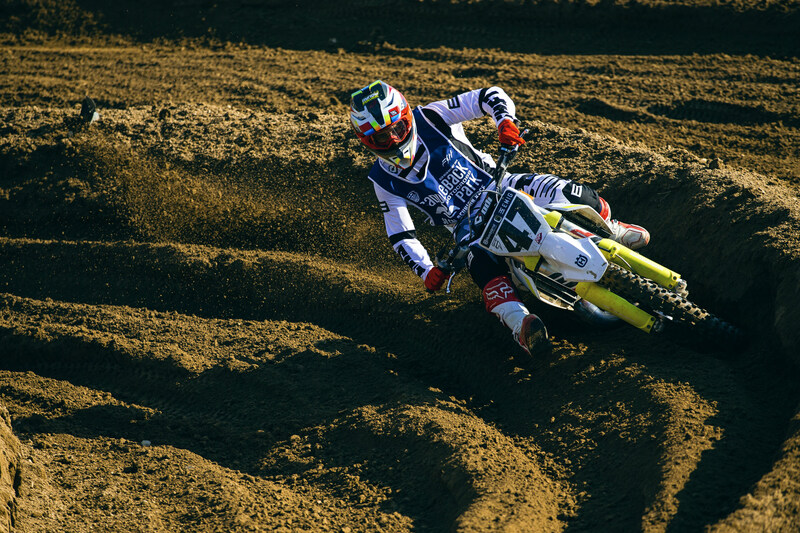 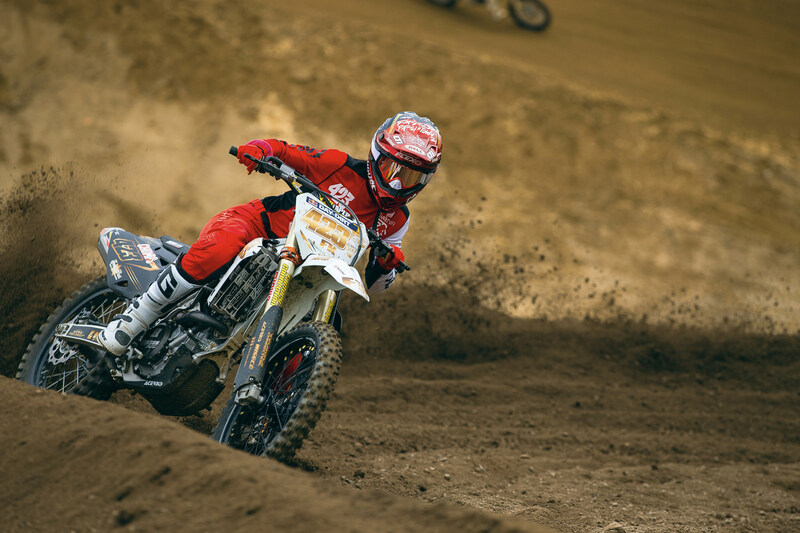 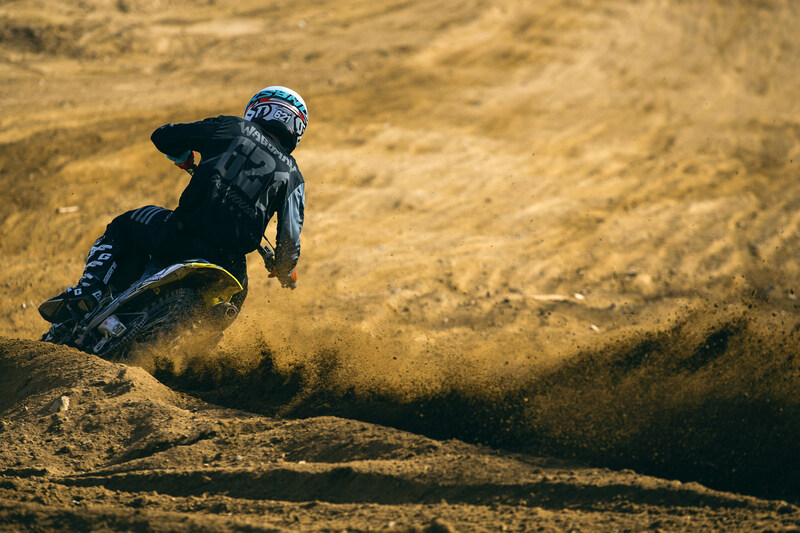 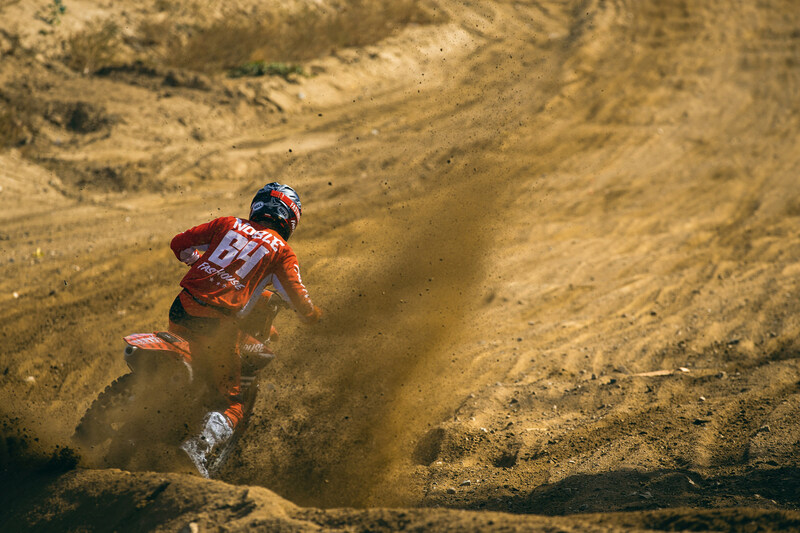 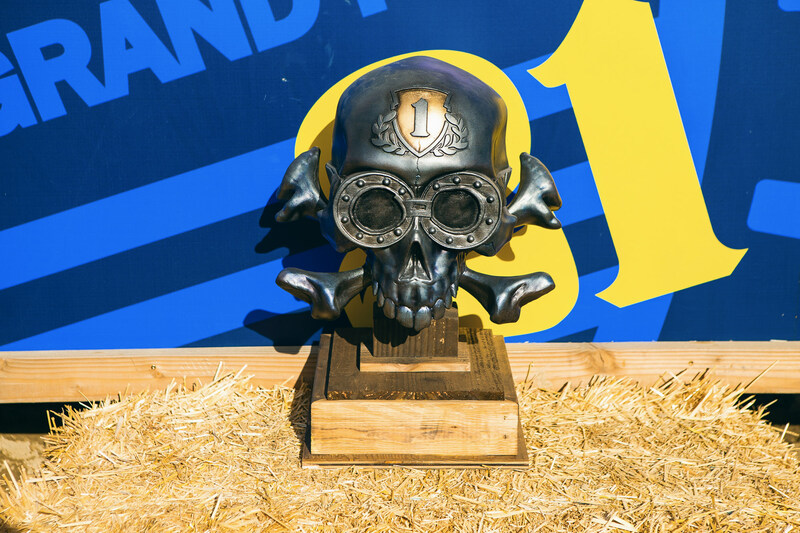 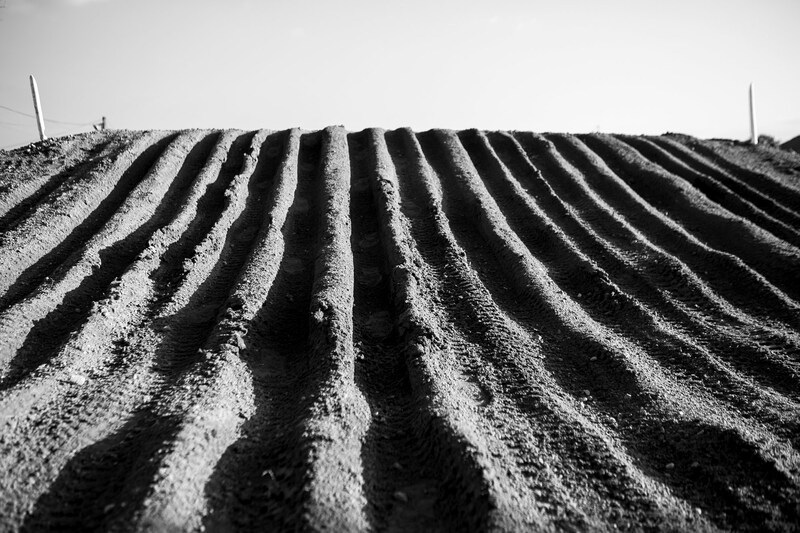 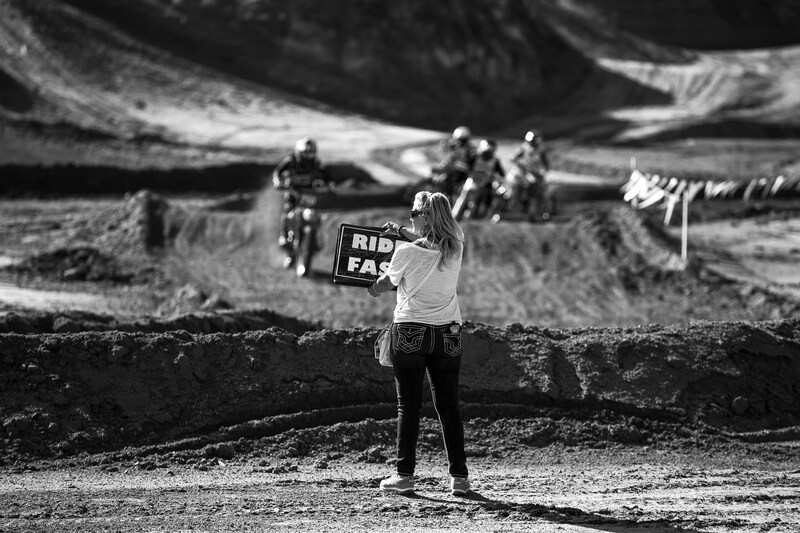 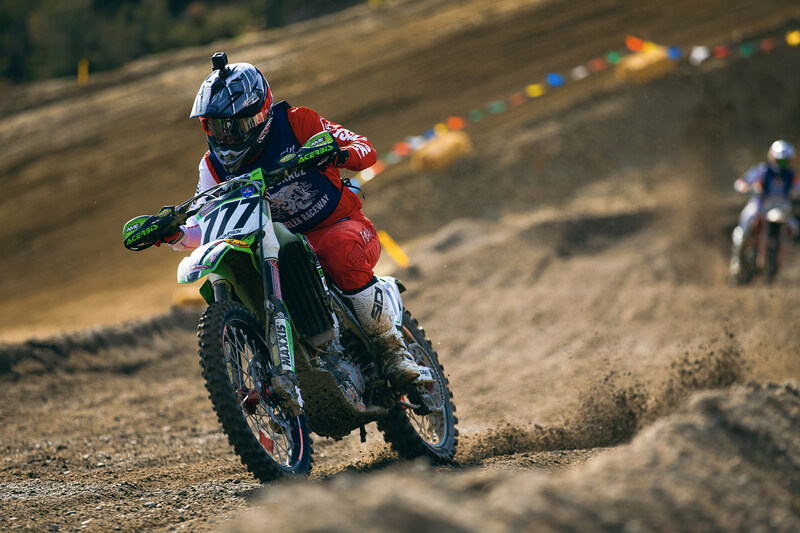 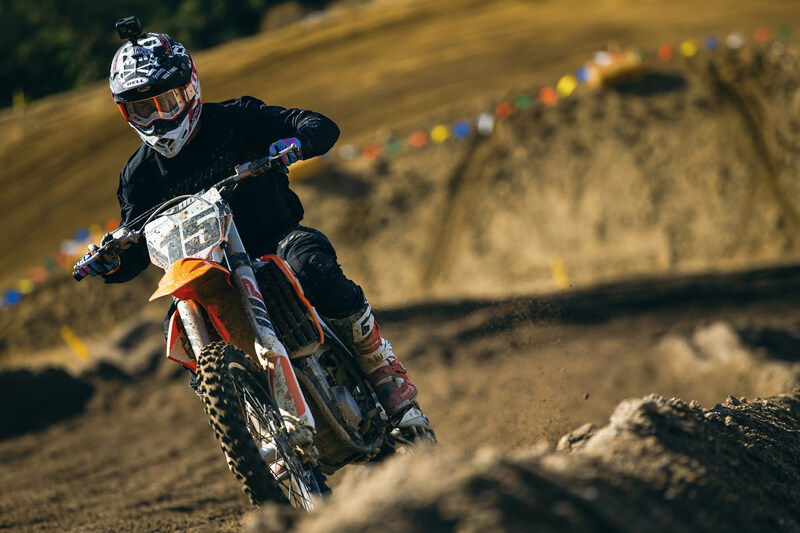 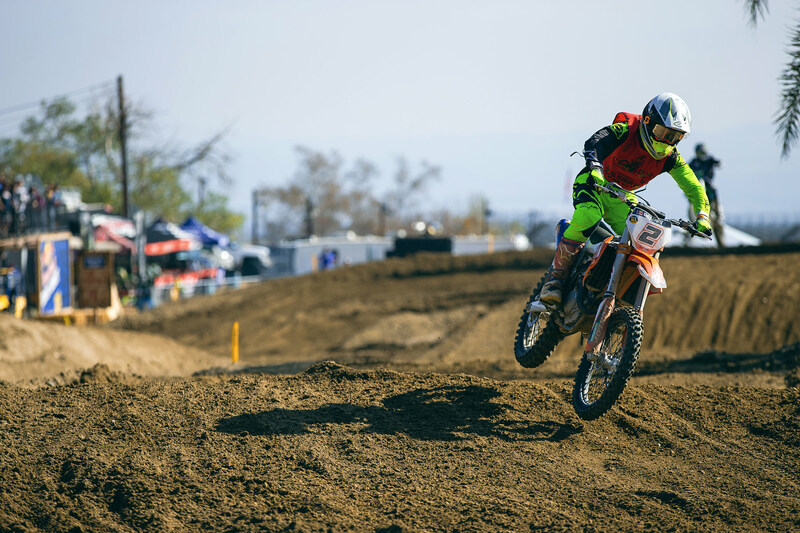 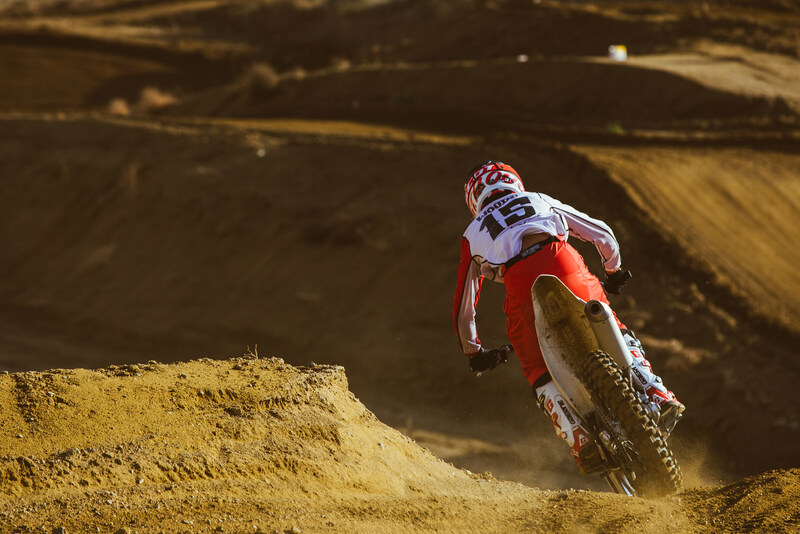 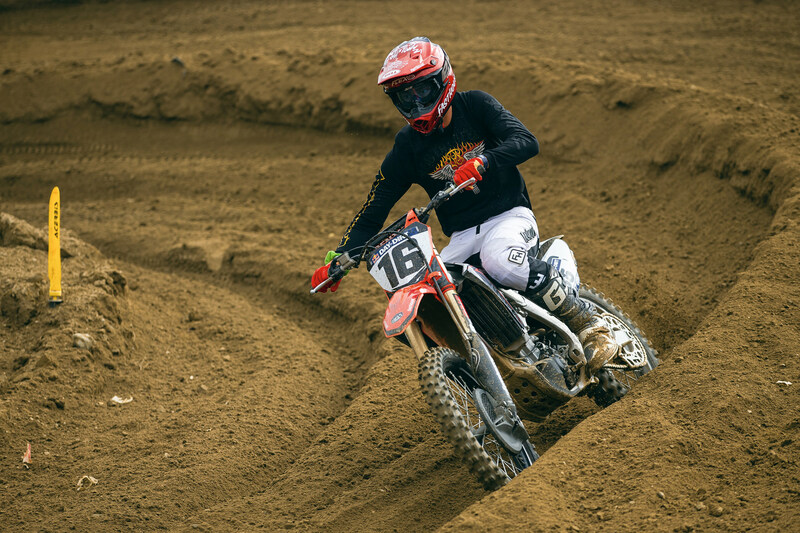 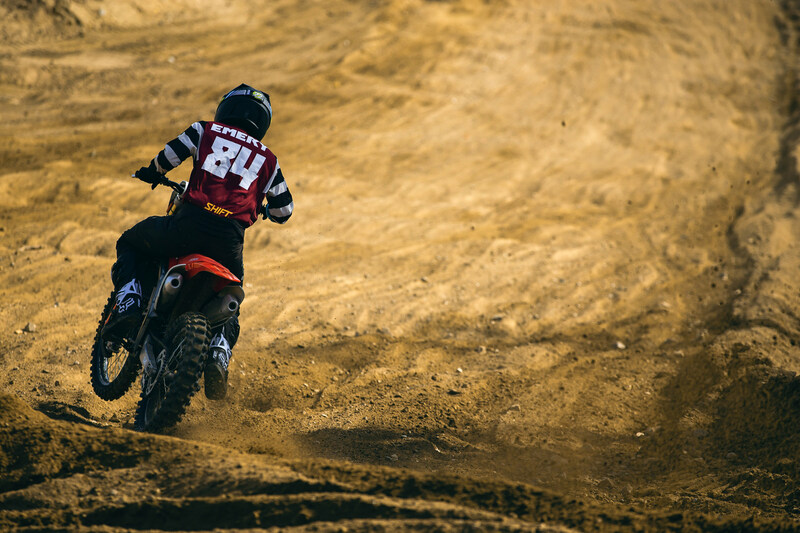 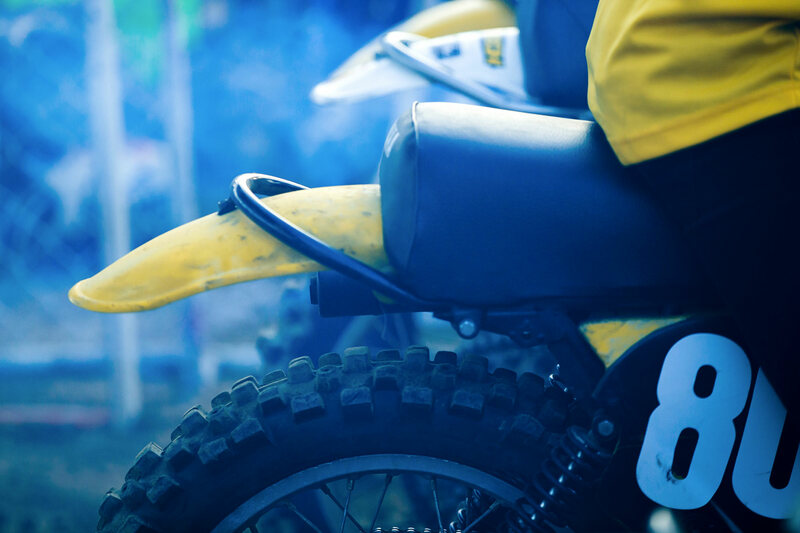 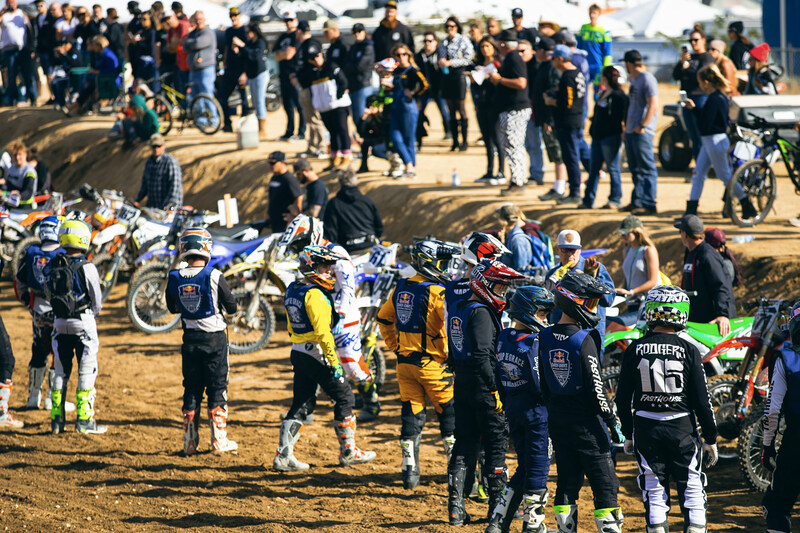 With no time limit, a Lemans start, and hundreds of riders, it's easily the toughest race of the weekend and usually attracts some of the sport's top riders, both in motocross and off-road. 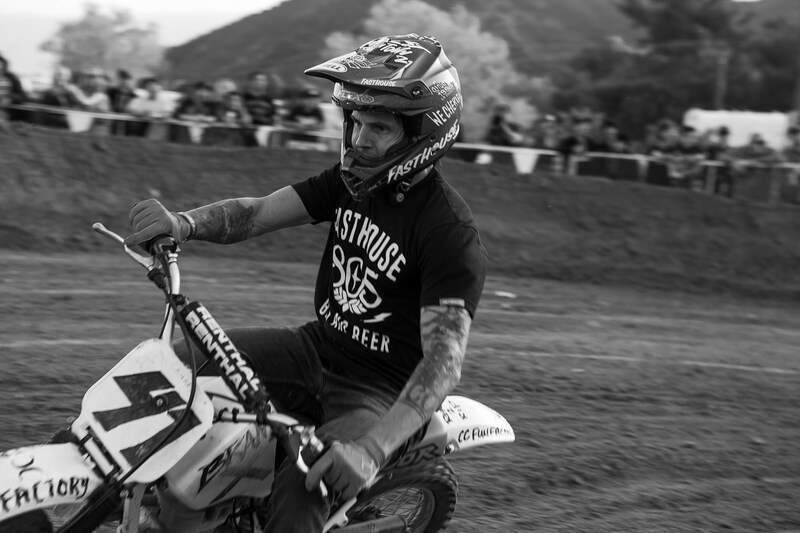 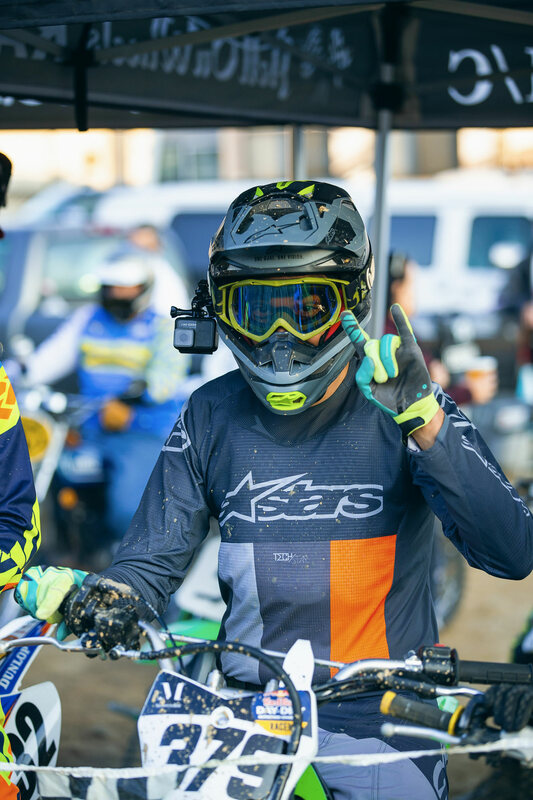 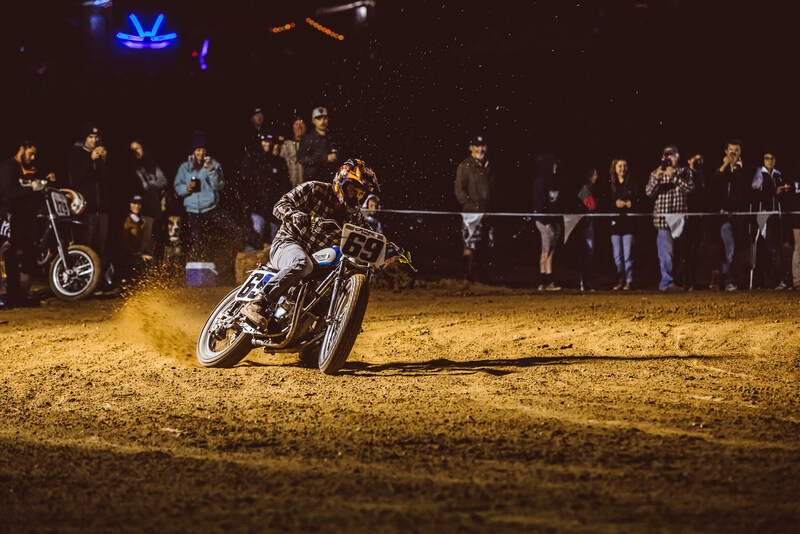 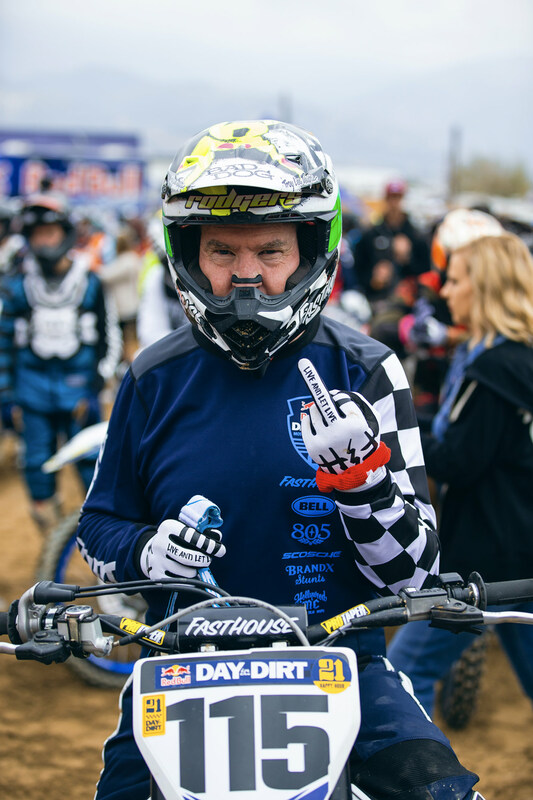 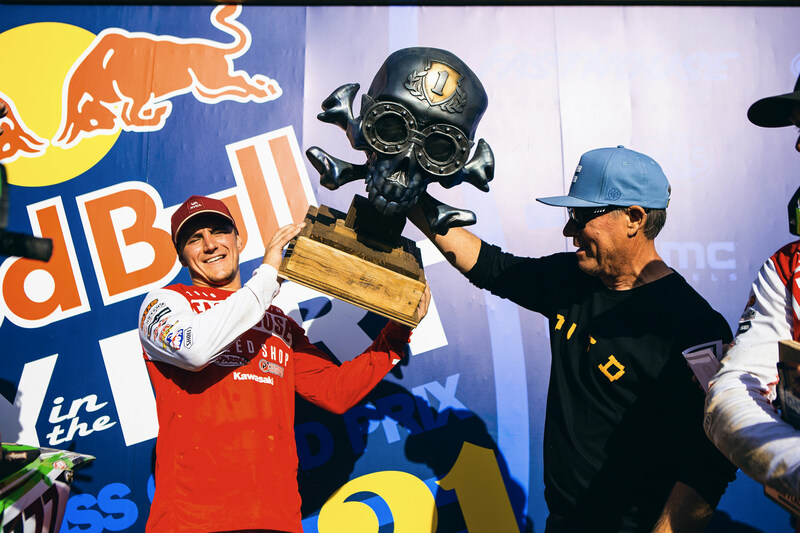 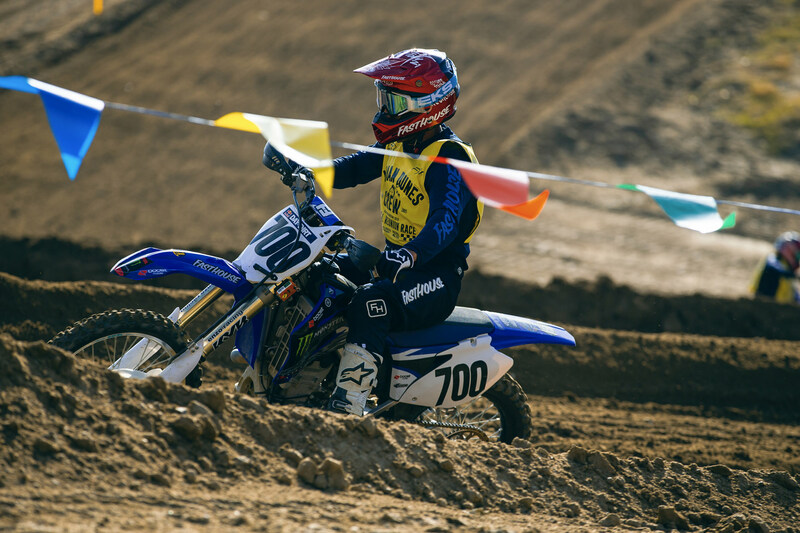 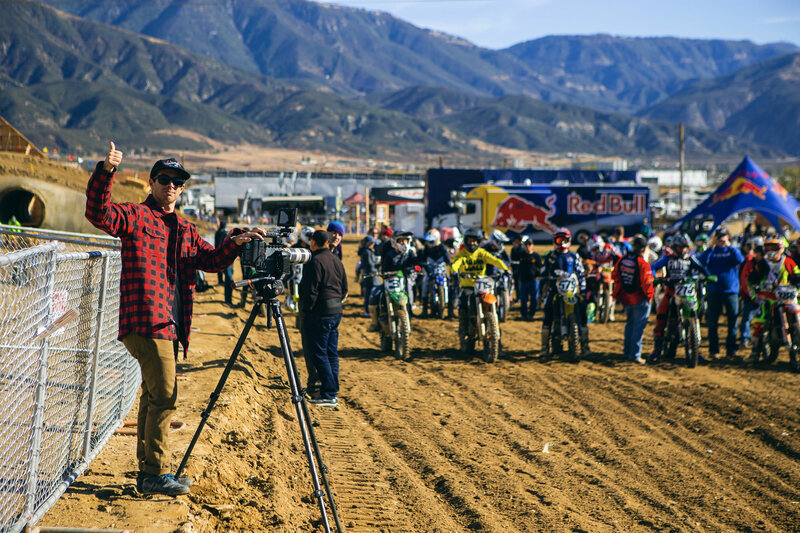 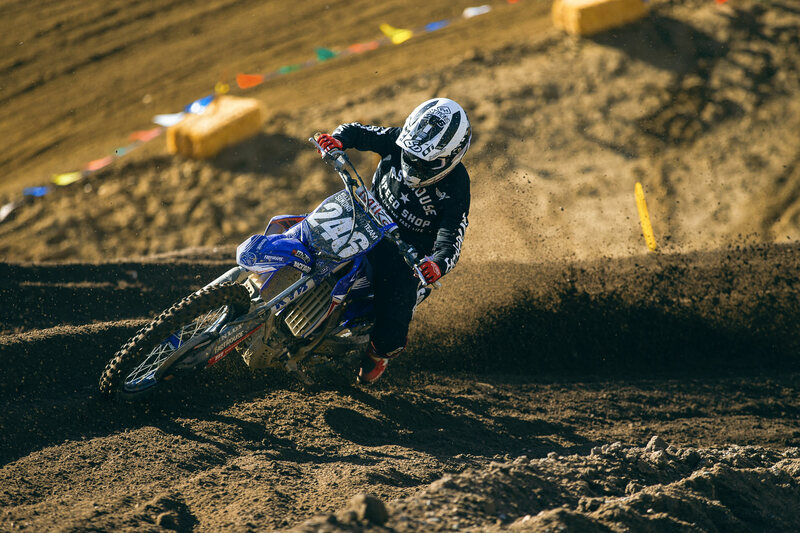 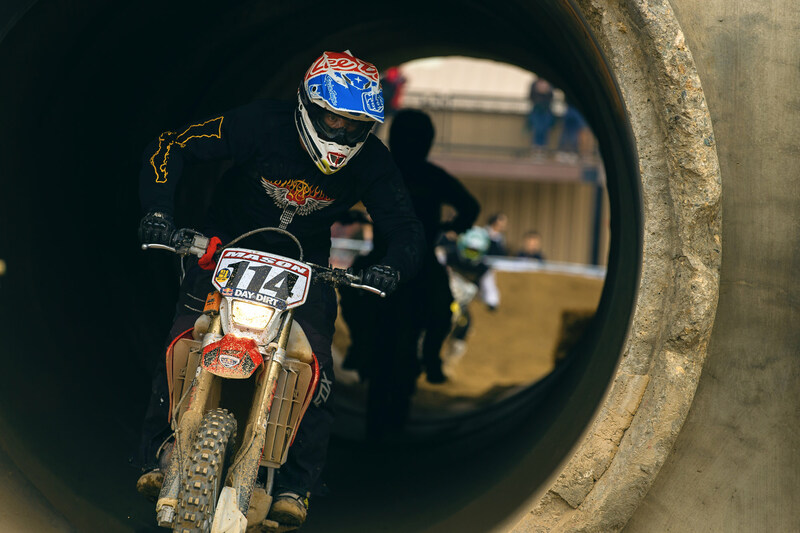 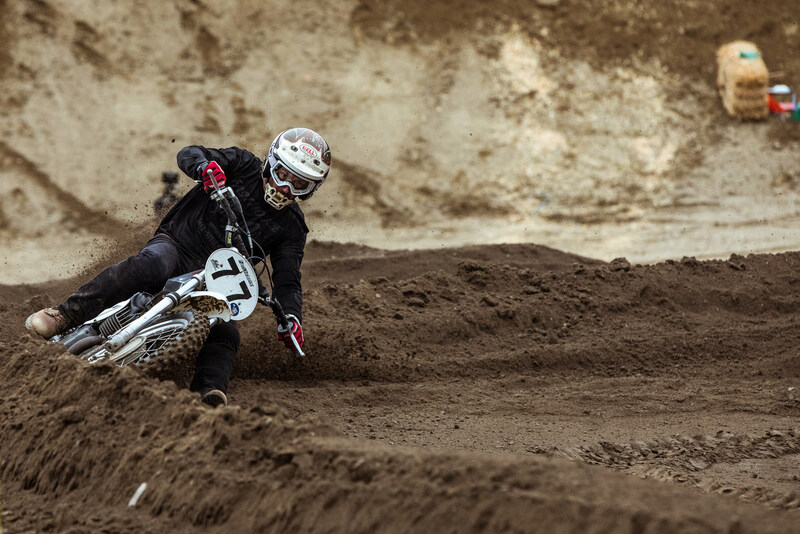 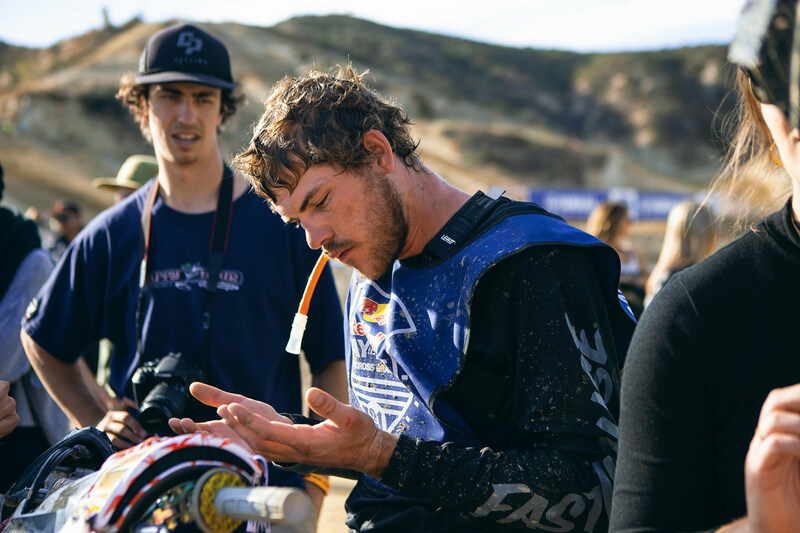 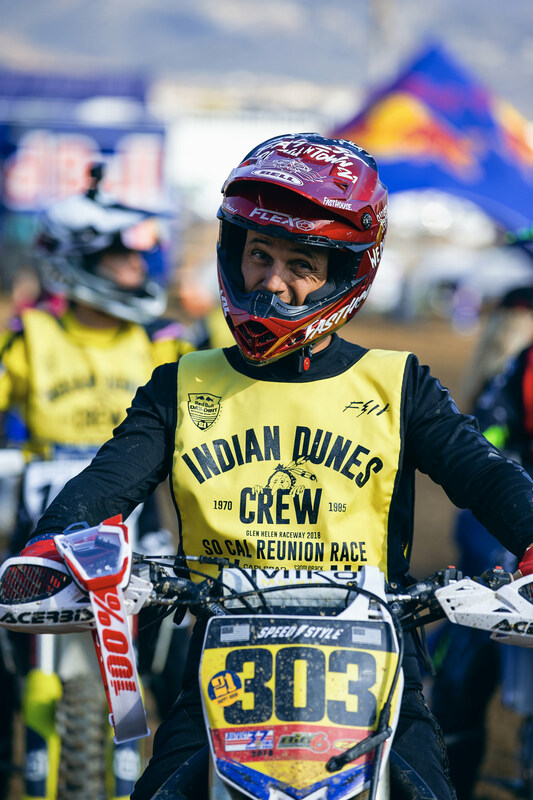 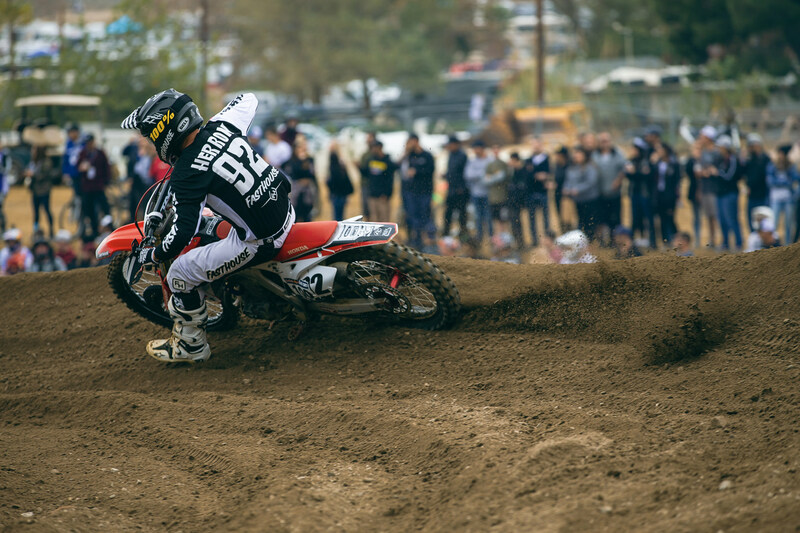 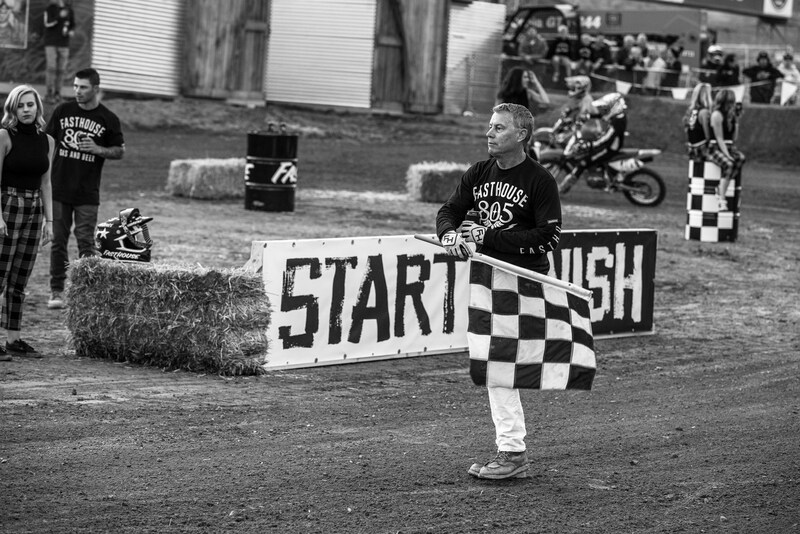 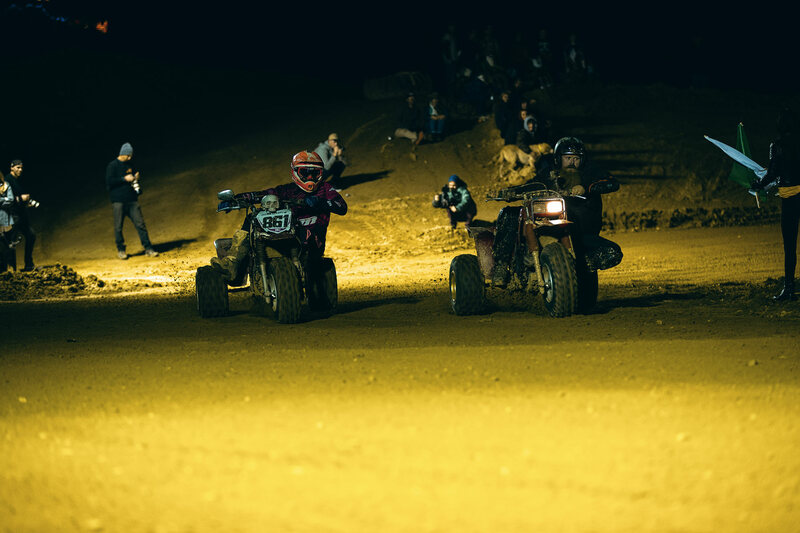 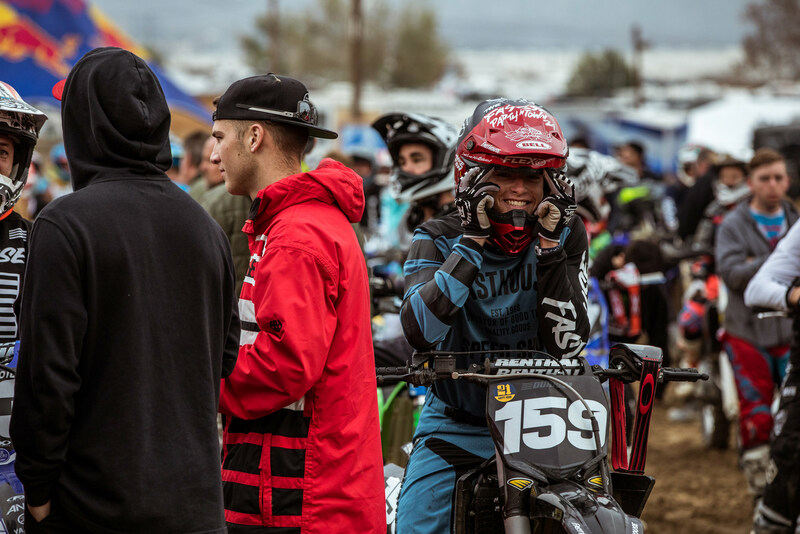 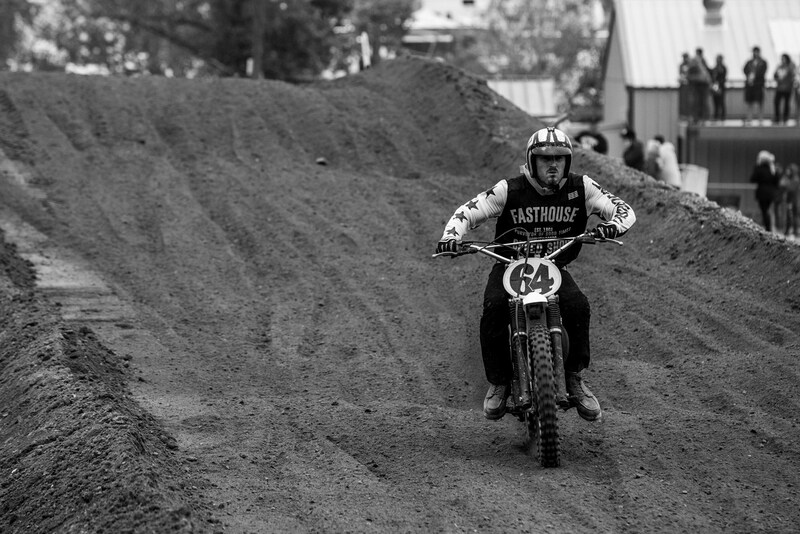 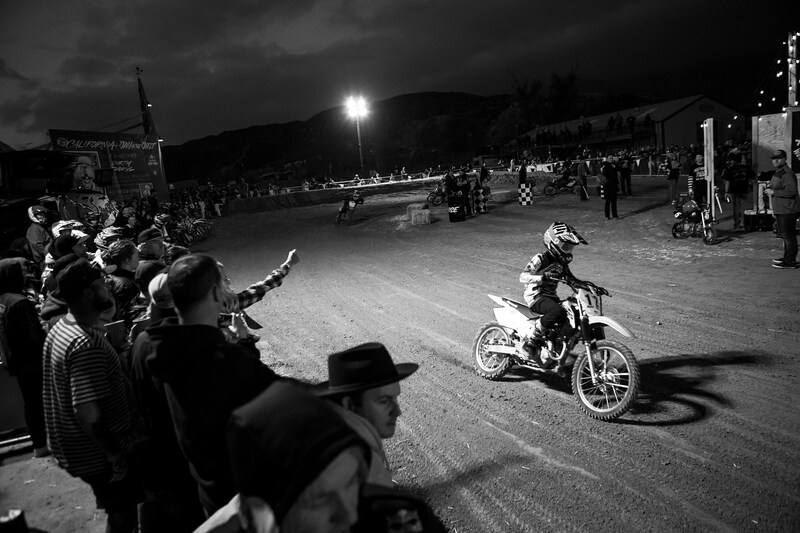 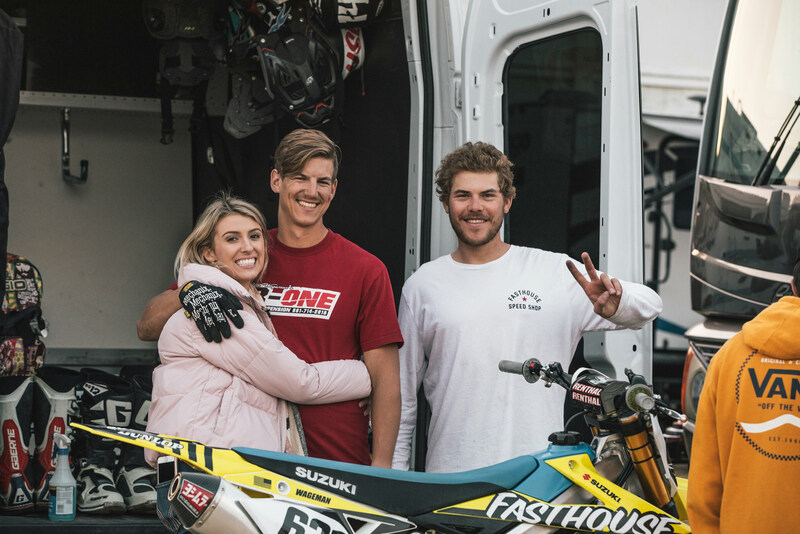 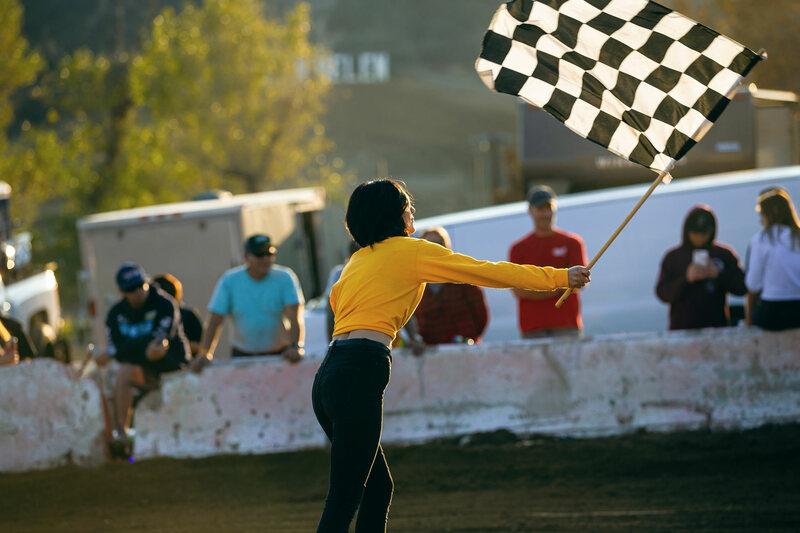 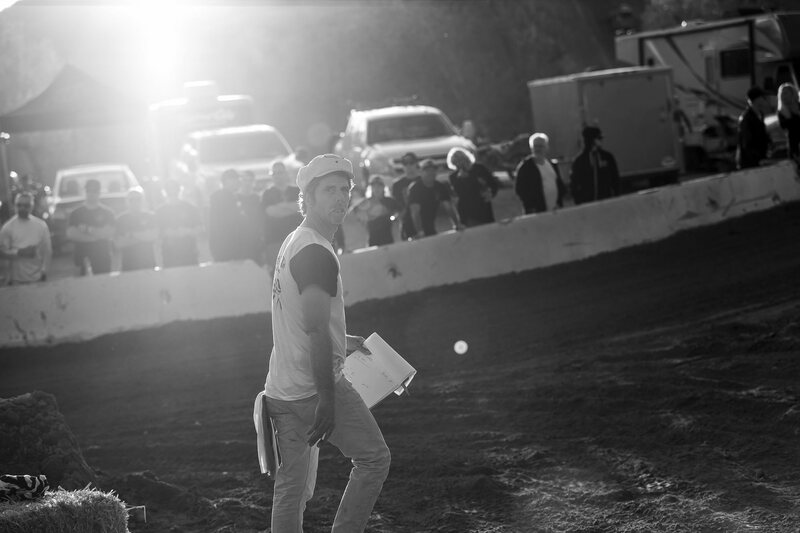 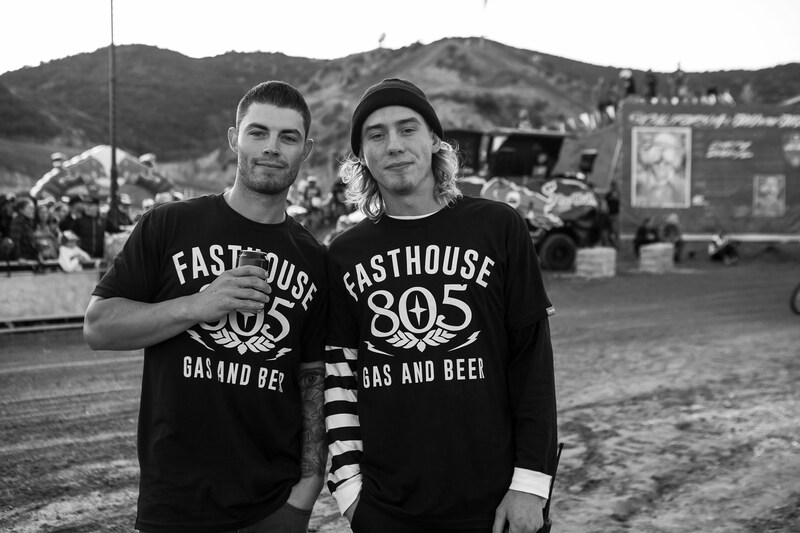 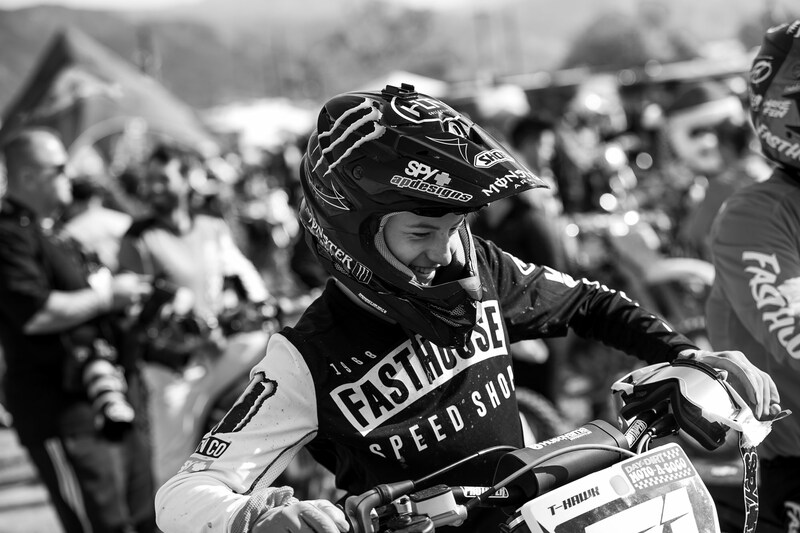 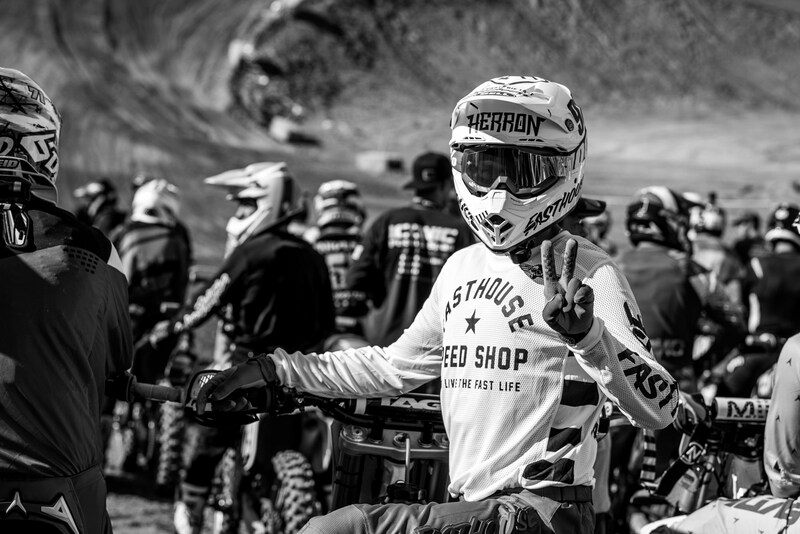 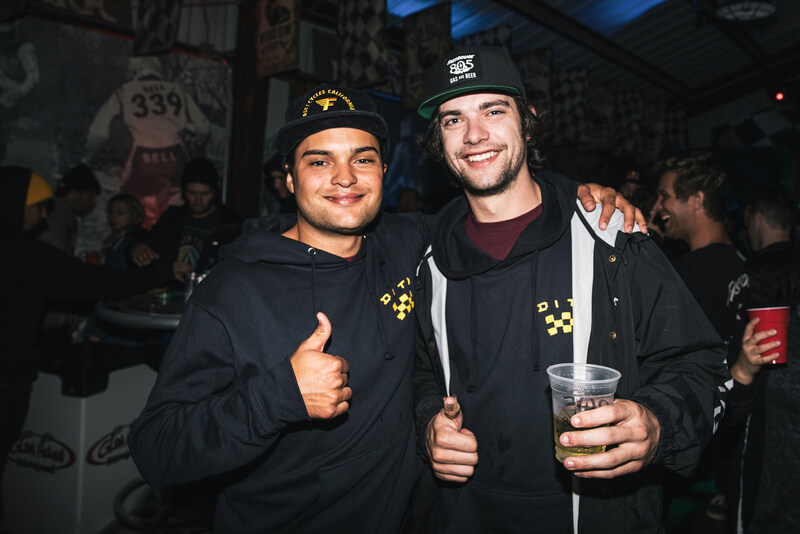 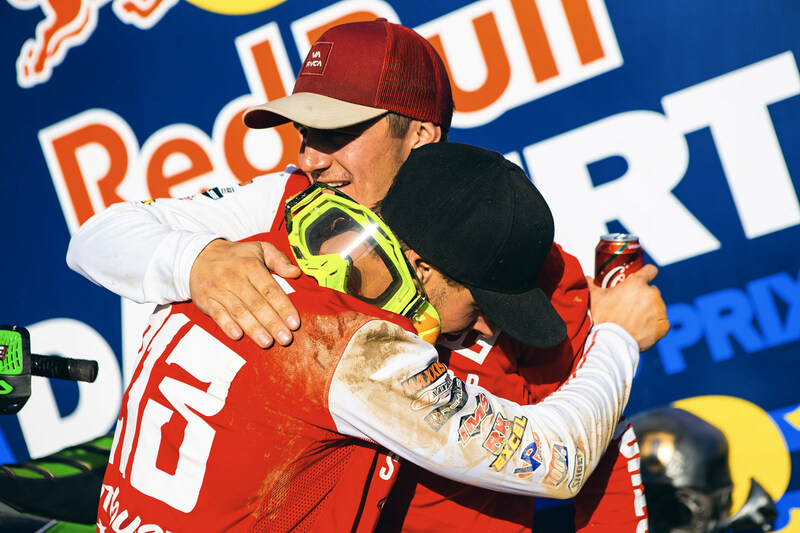 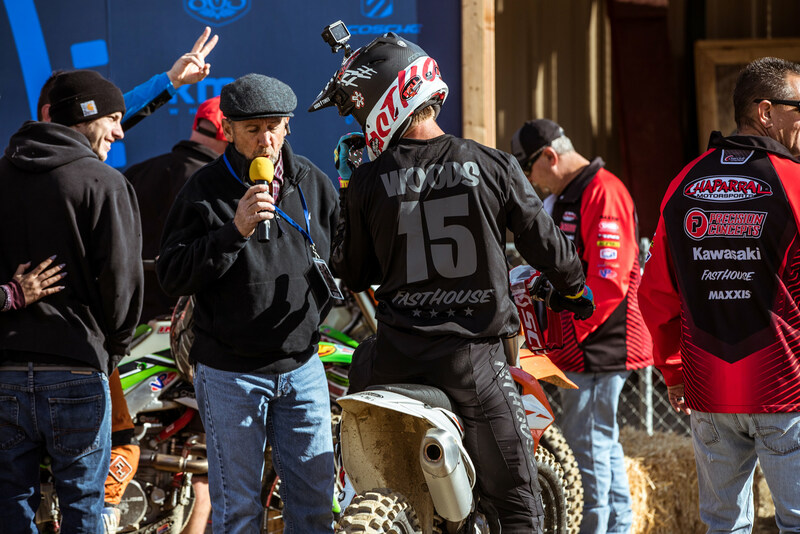 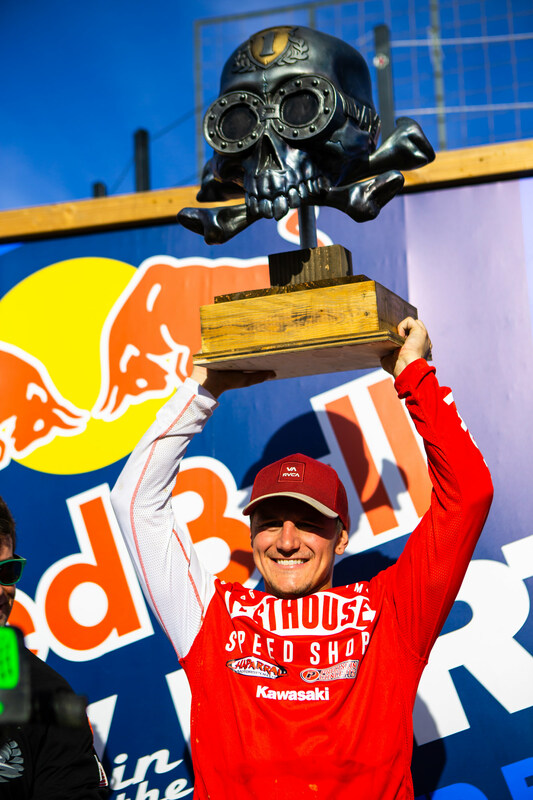 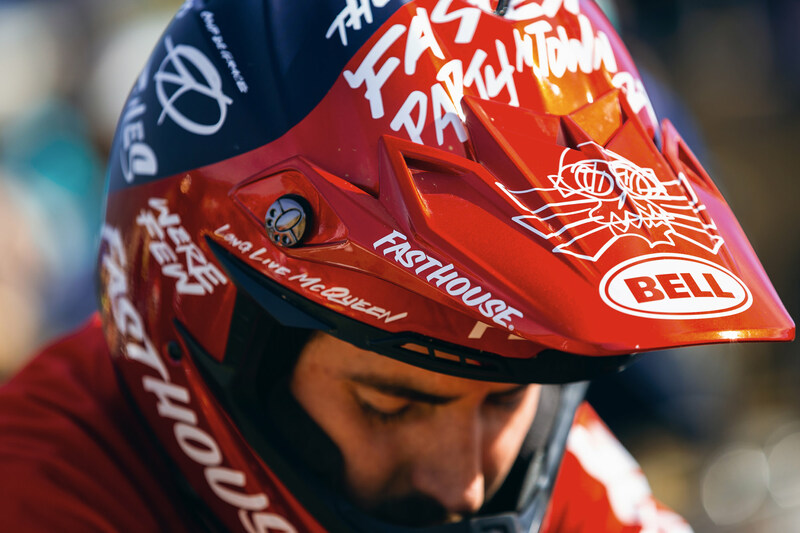 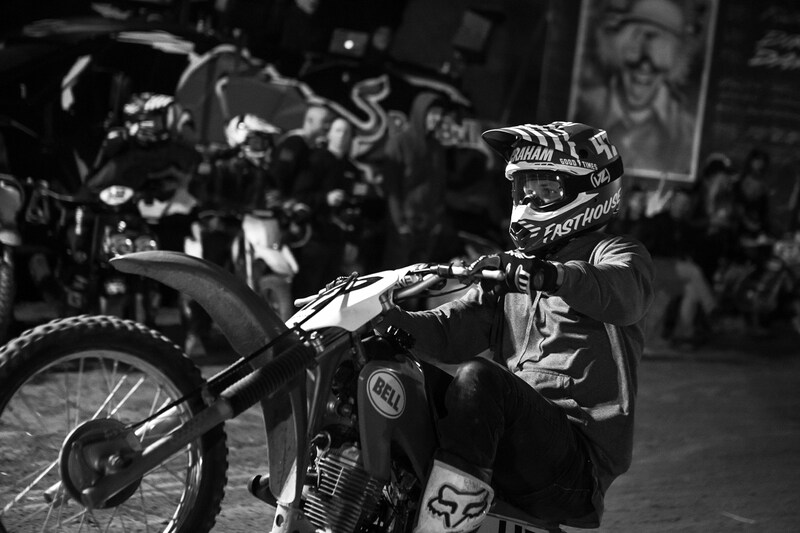 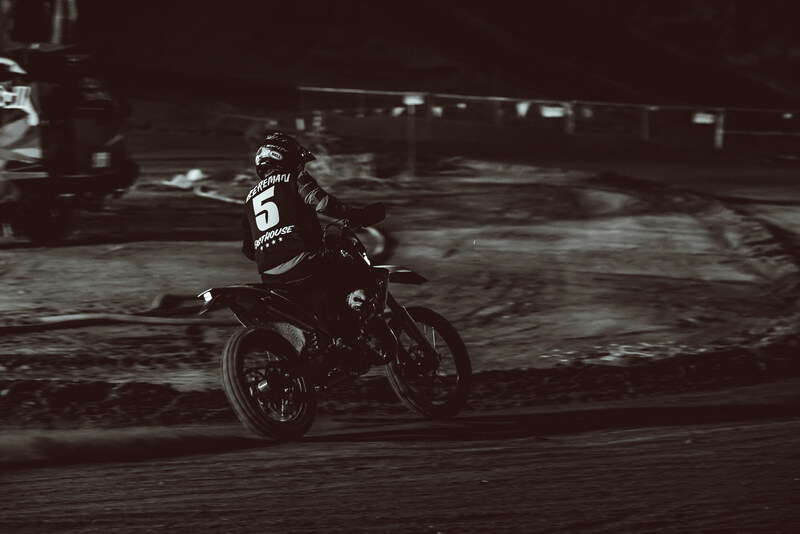 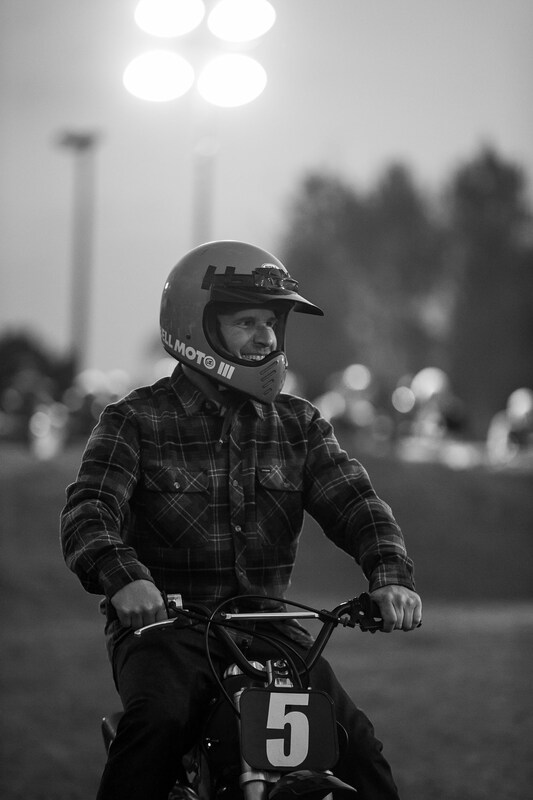 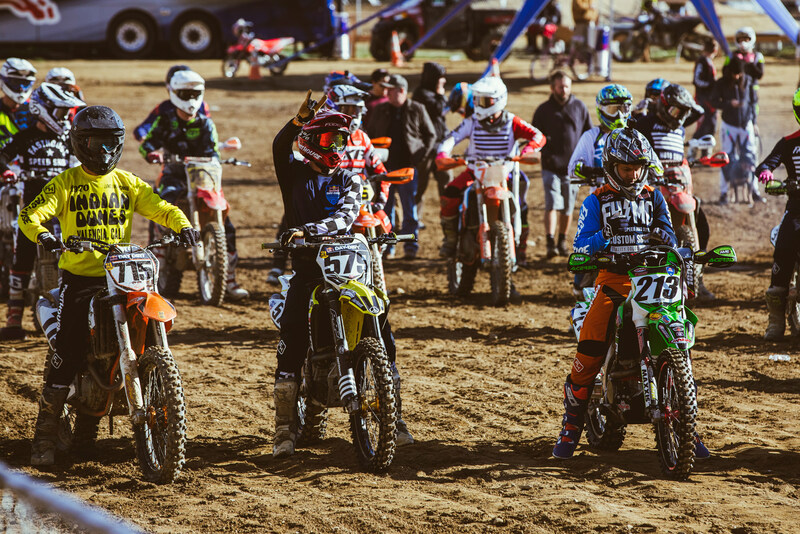 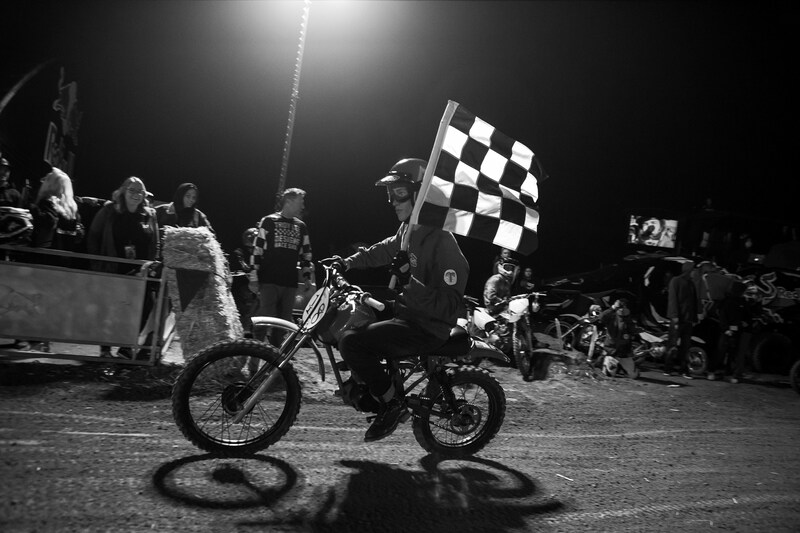 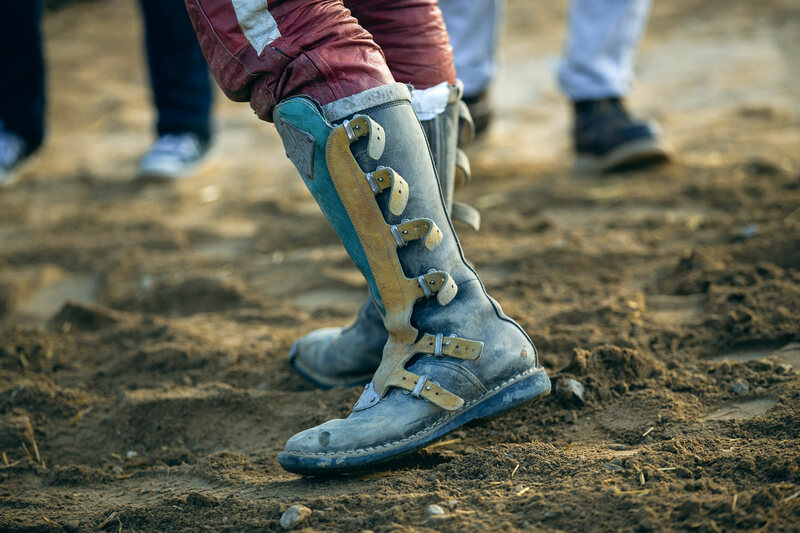 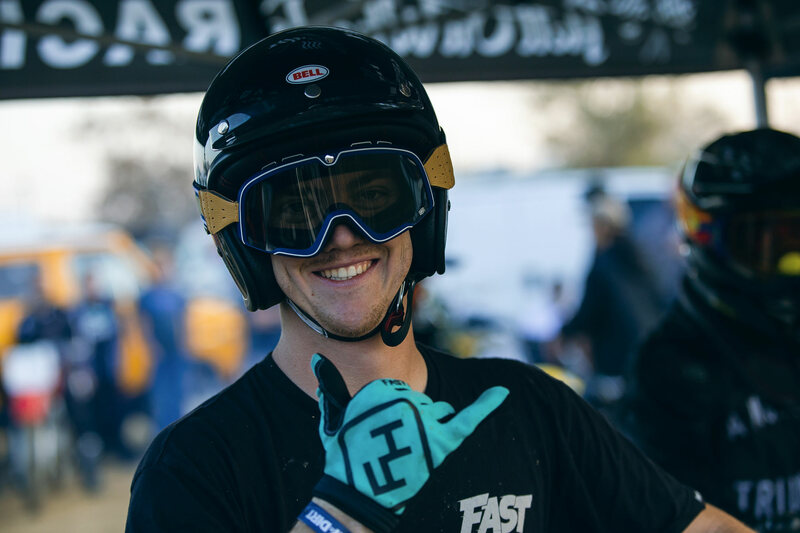 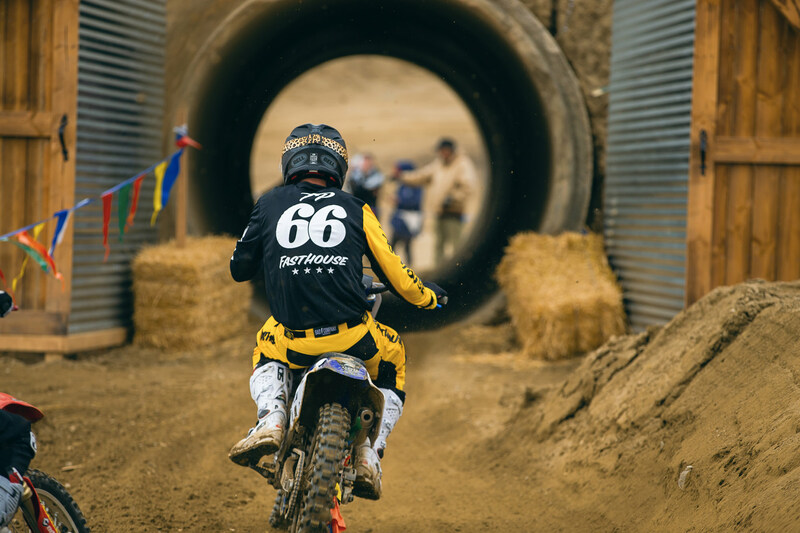 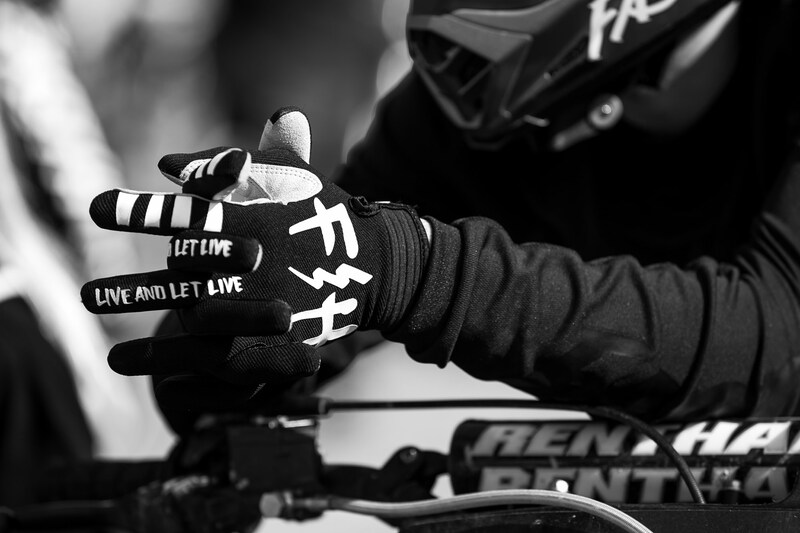 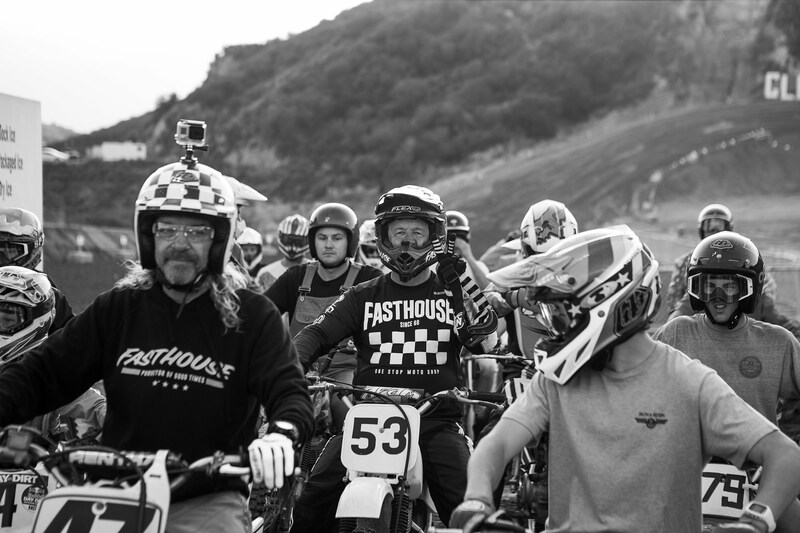 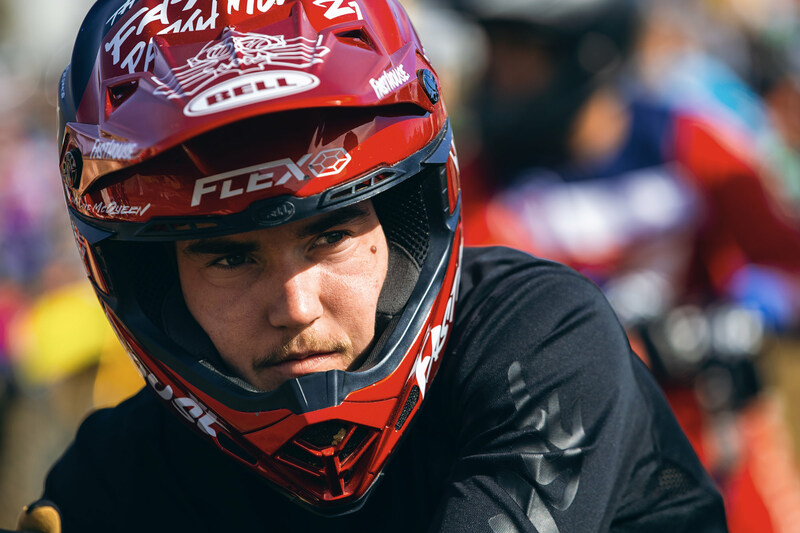 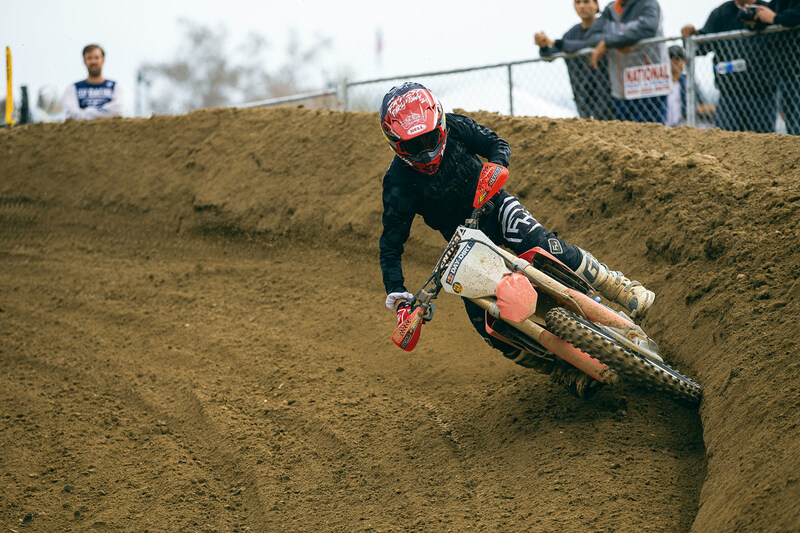 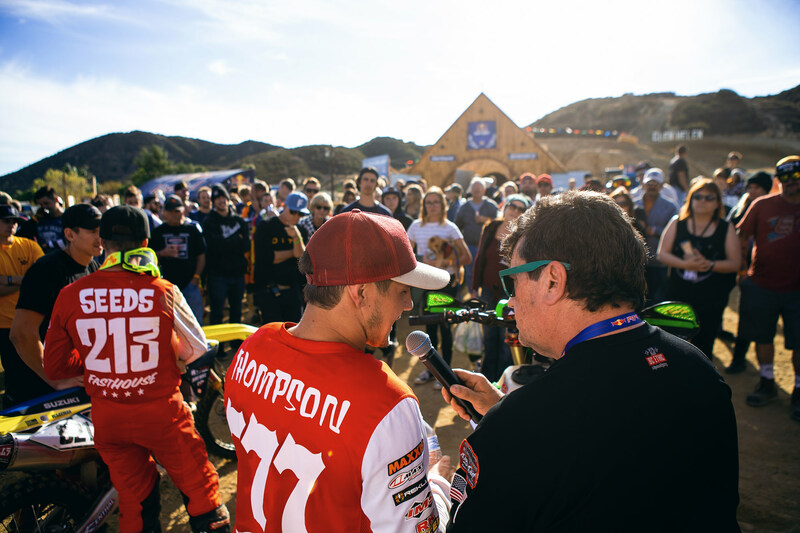 This year was no different, and when the dust settled after nearly two hours of racing, Fasthouse riders swept the podium with Blayne Thompson leading from start to finish followed closely by Justin Seeds and RJ Wageman. 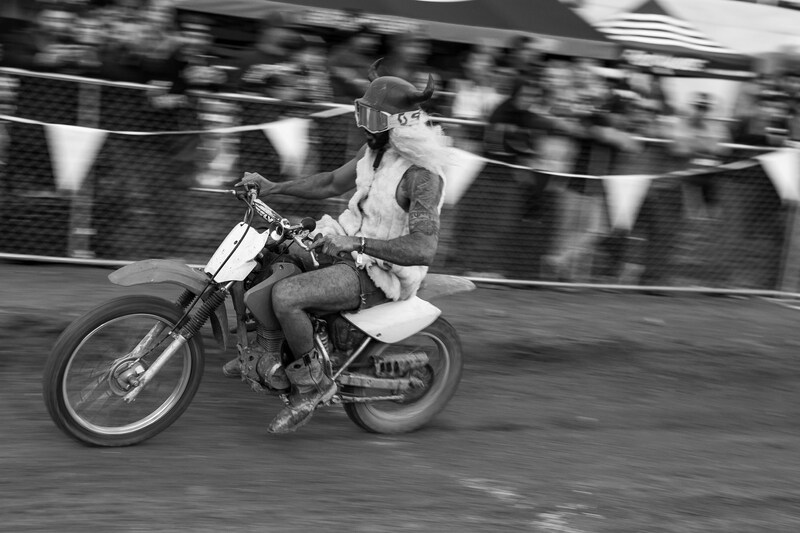 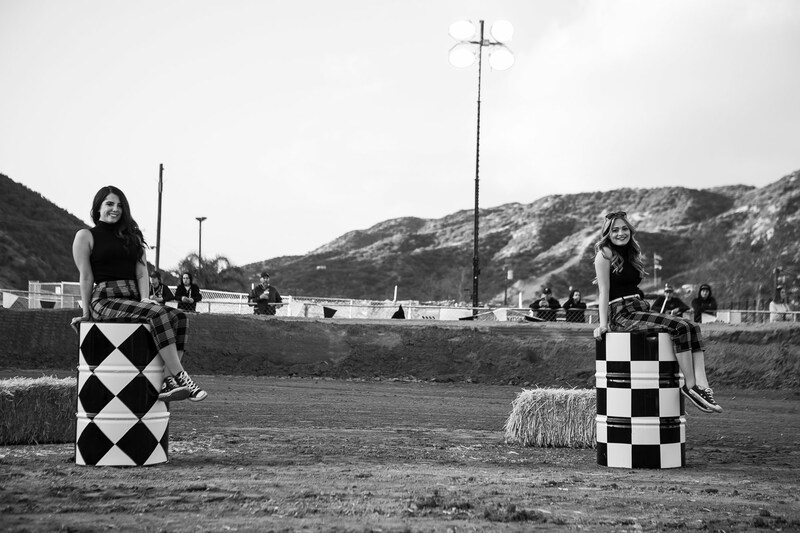 Prior to the Coup de Grace, though, was the Moto-A-Go-Go team race, as well as other events. 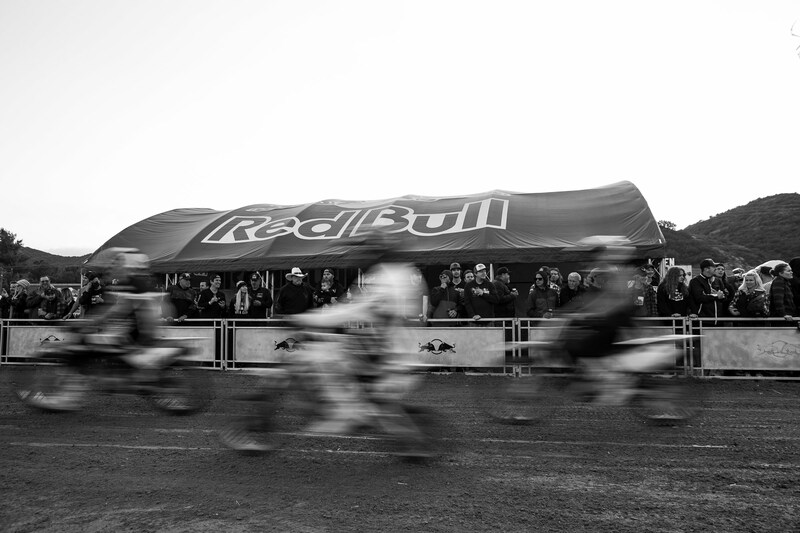 Simply put, Sunday is the day if you want to see close racing from some of the fastest riders around.